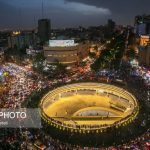 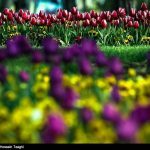 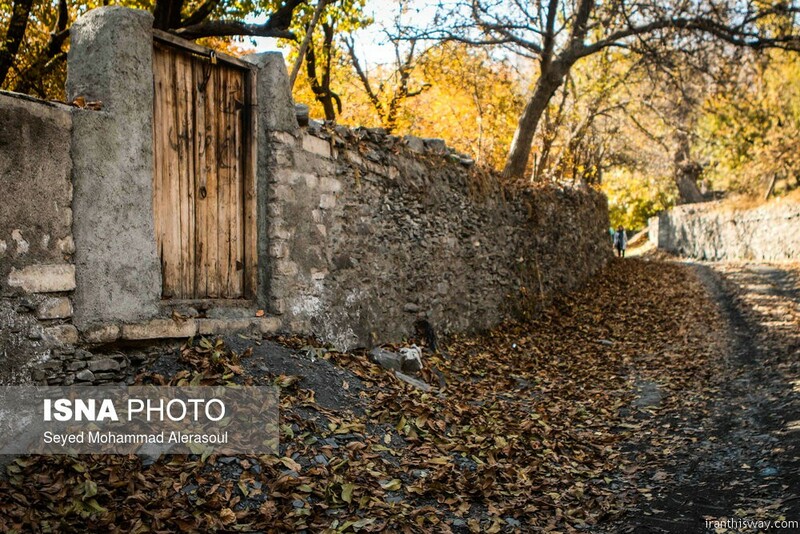 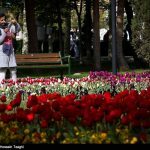 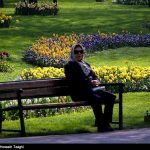 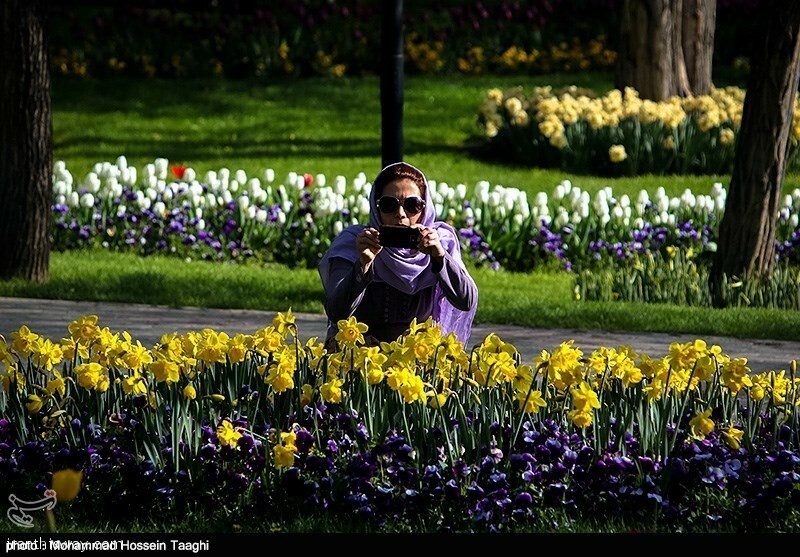 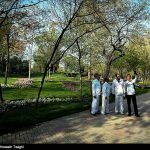 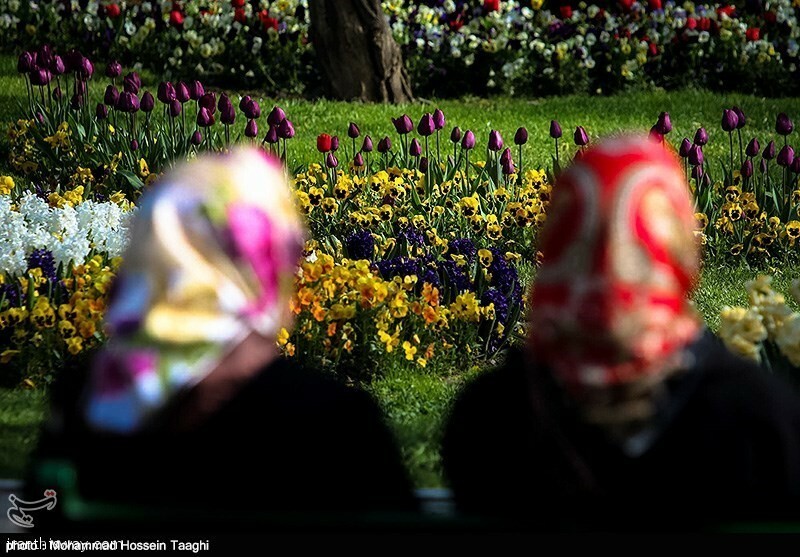 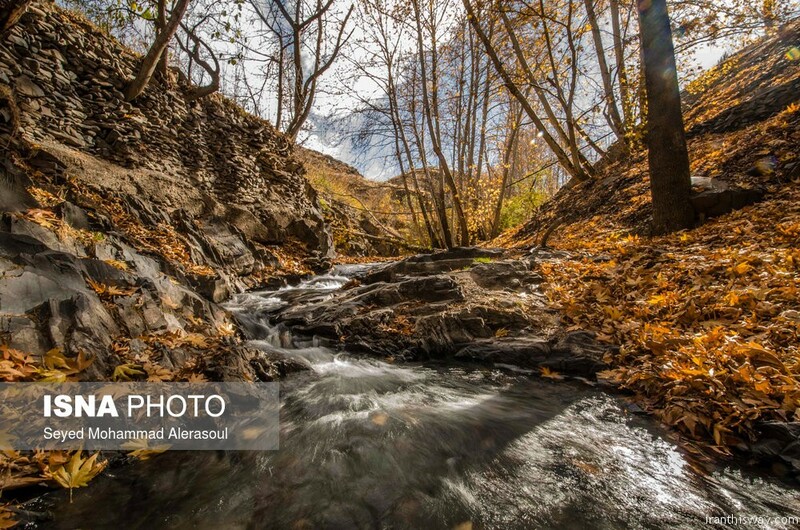 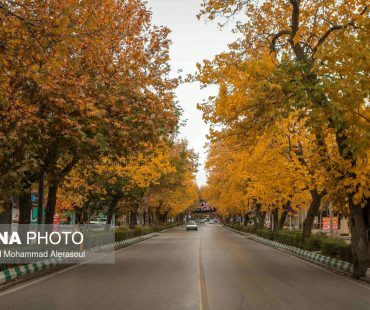 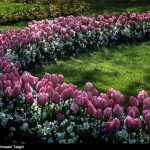 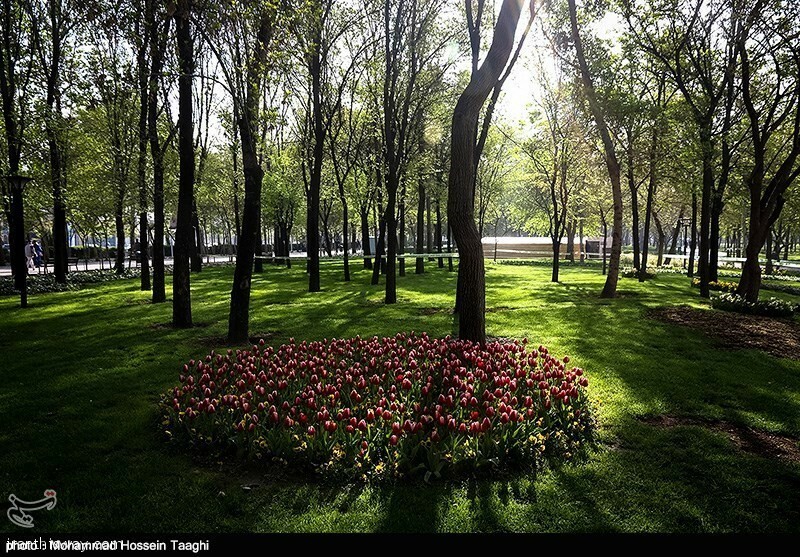 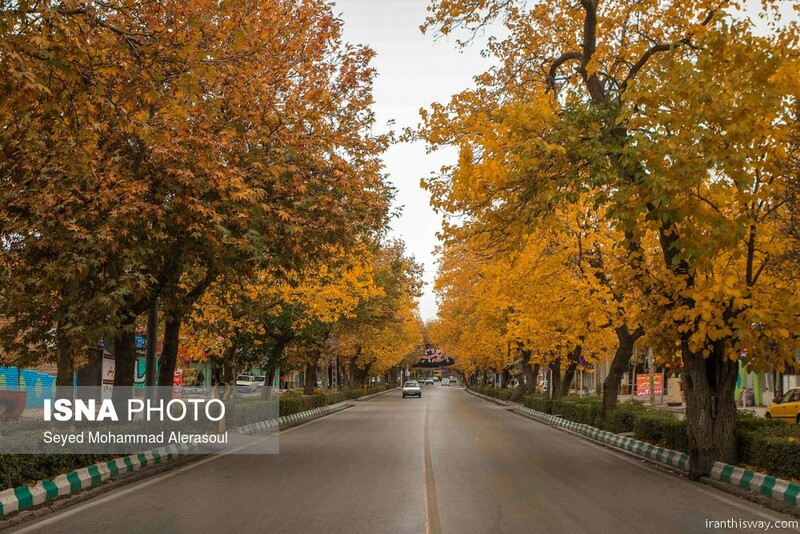 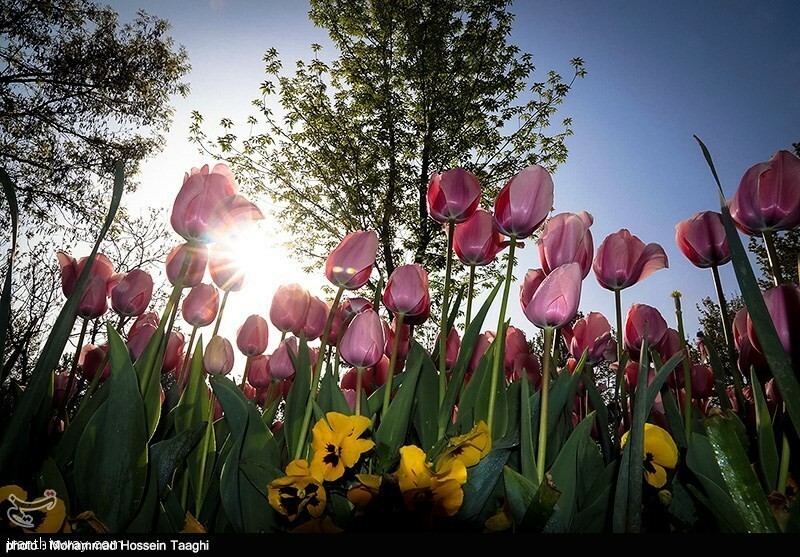 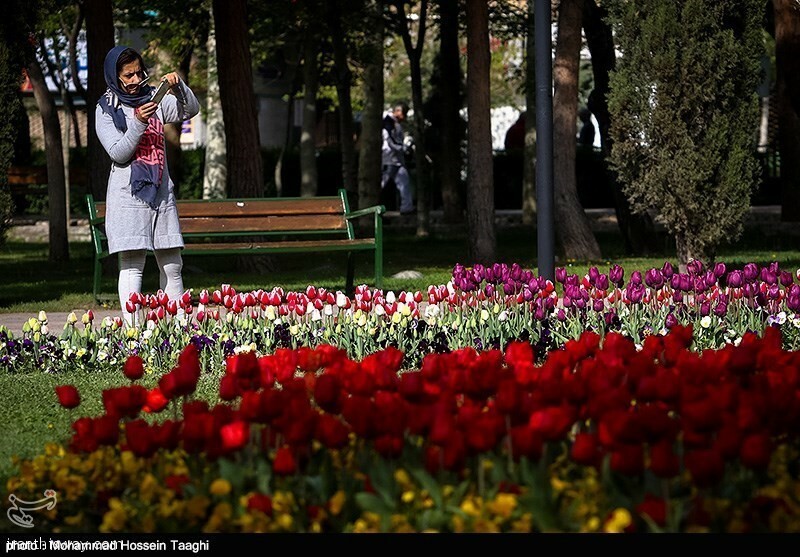 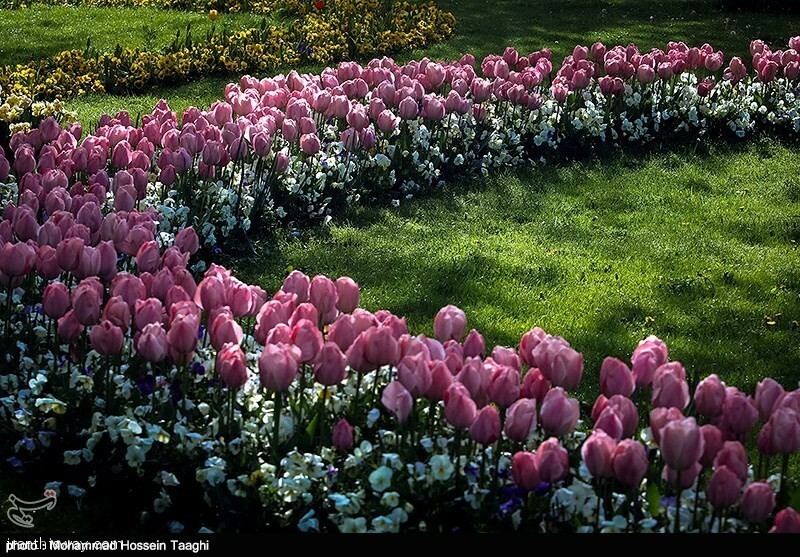 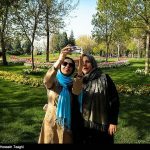 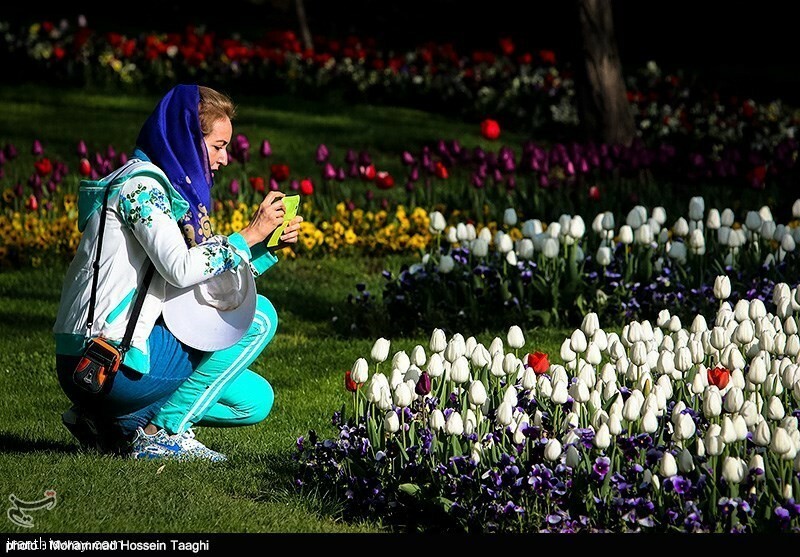 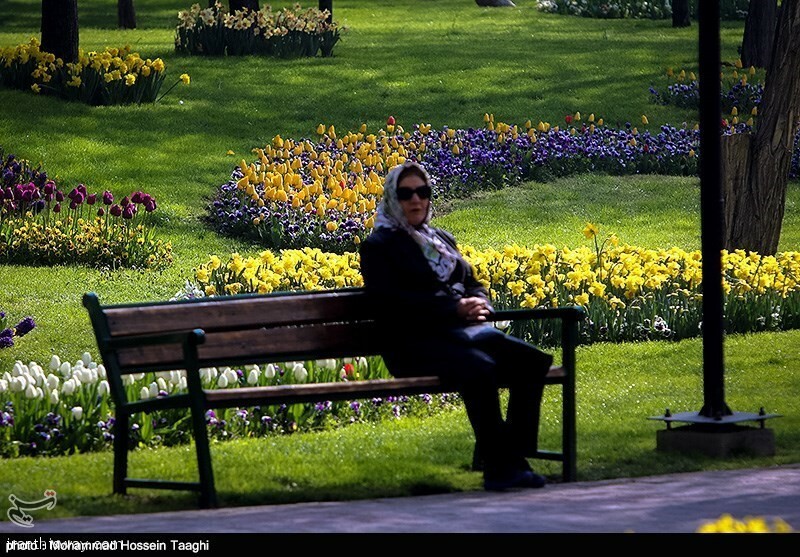 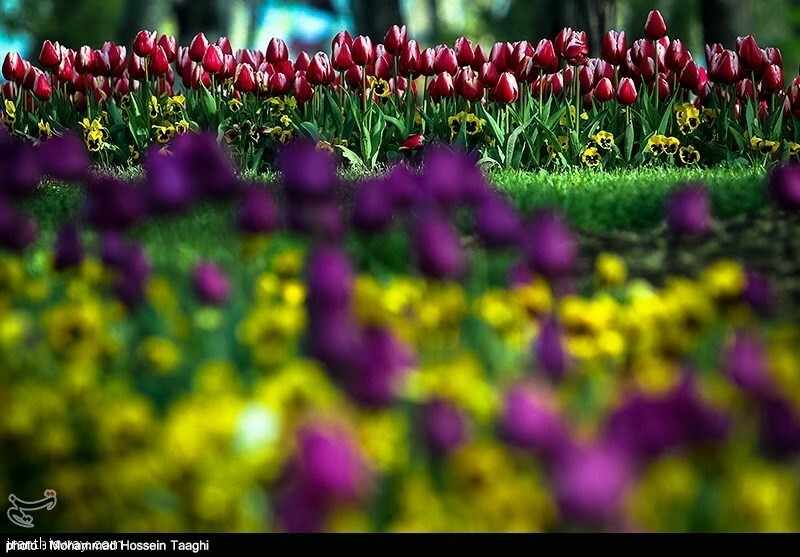 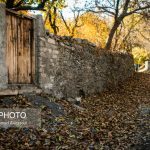 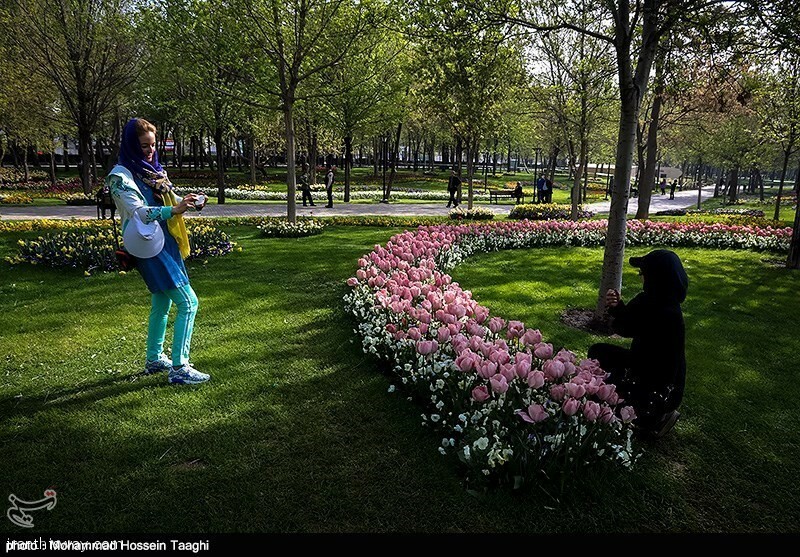 You searched for mashhad - IRAN This Way: Become familiar with Iranian lifestyle! 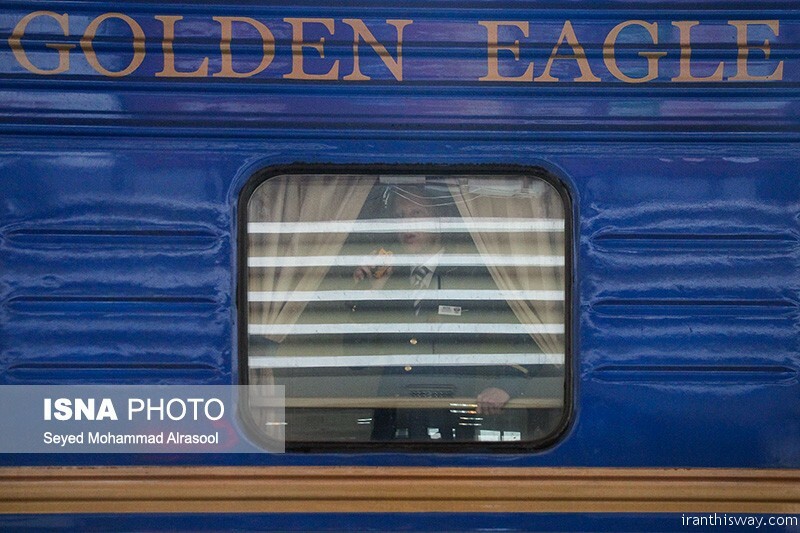 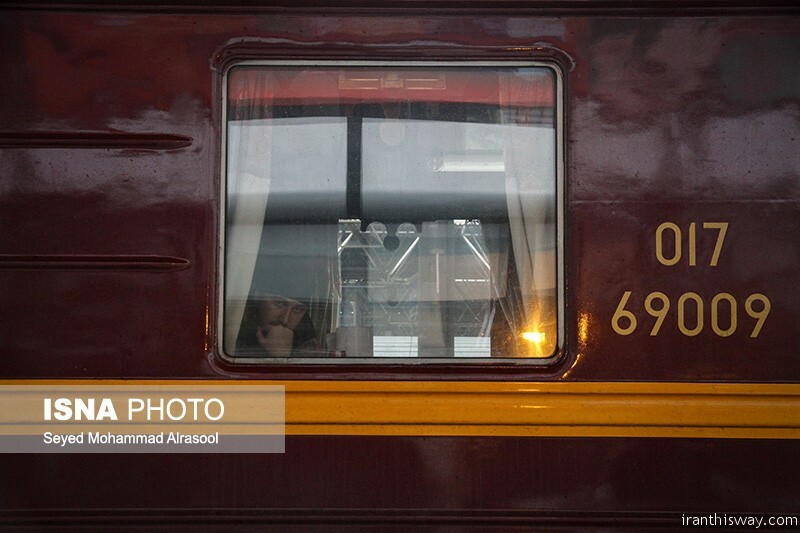 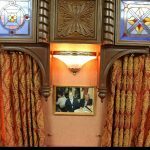 Russia’s luxurious train dubbed “Golden Eagle” arrived in Iranian holy city, Mashhad on Sunday morning. 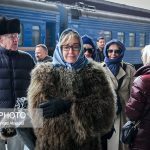 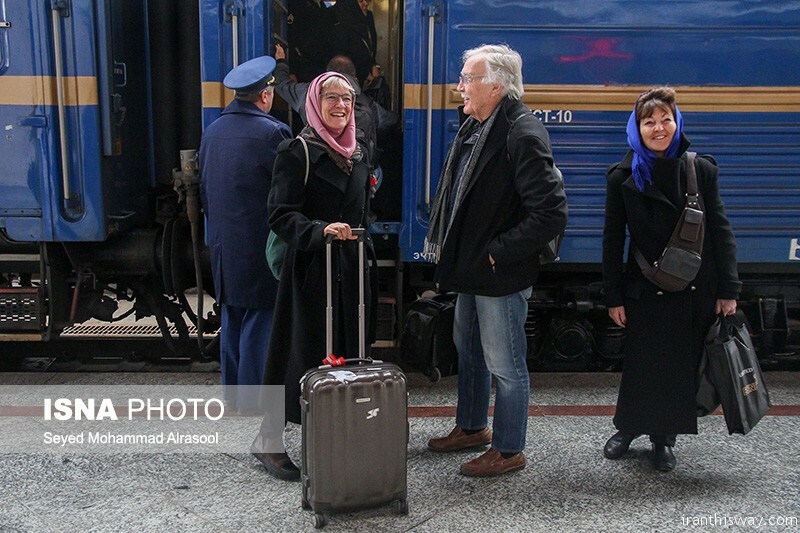 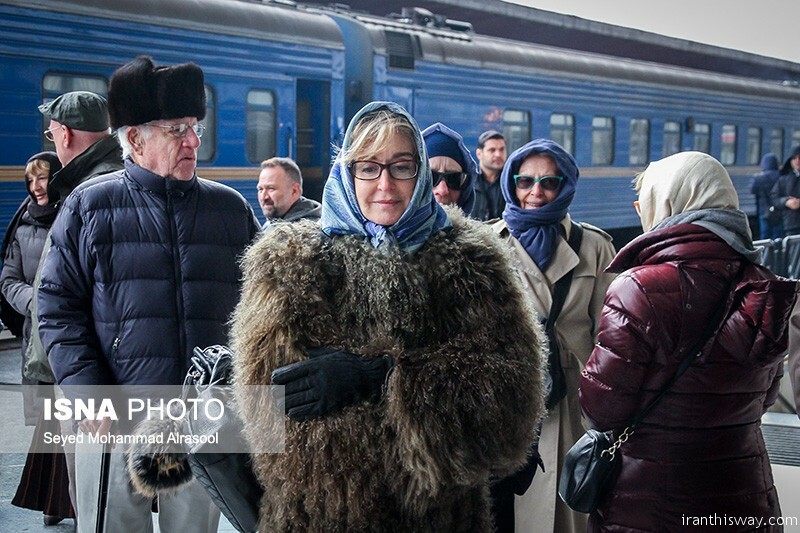 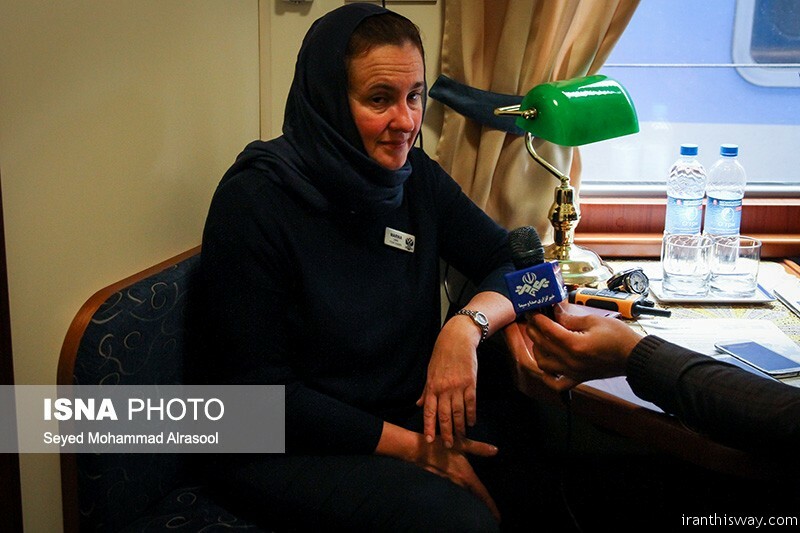 The train left Moscow for Tehran with 40 tourists from Britain, US, Australia, Spain, Canada and South Africa. 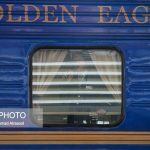 Golden Eagle had already passed Kazakhstan, Uzbekistan, and Turkmenistan in 18 days to get to the city. 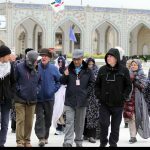 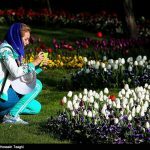 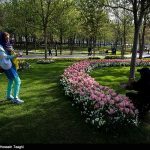 Iran has become a destination for 40 tourists from all across the world, who have paid 20,000 euro for the trip and are eager to visit fabulous tourist attractions. 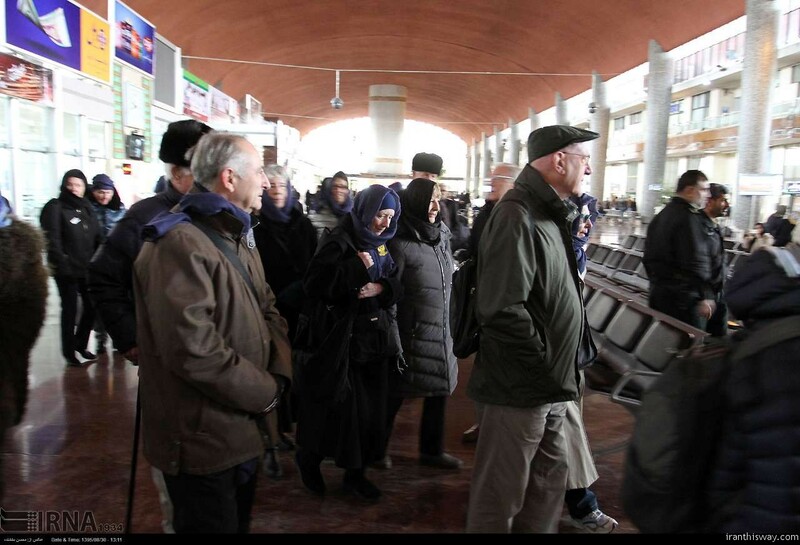 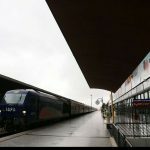 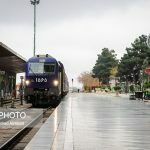 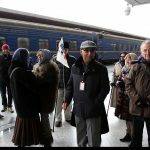 Railway Director General of Khorasan Razavi welcomed the tourists at Mashhad railway station and expressed hope that they would enjoy their stay in the country. 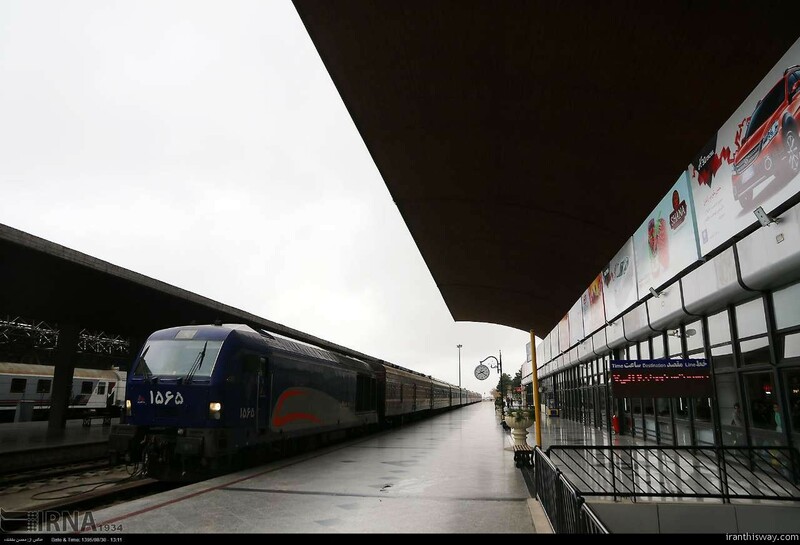 He stated that this is the first time that Mashhad hosts tourist train after 20 years from the opening of the Sarakhs border. 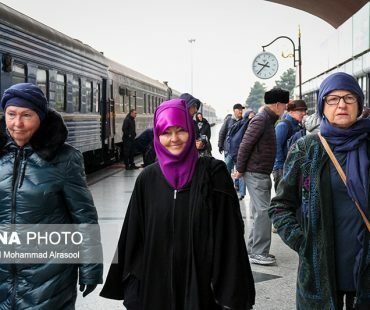 The arrival of the train coincided with mourning rituals on Arba’een, which marks the 40th day after the martyrdom anniversary of Imam Hossein. 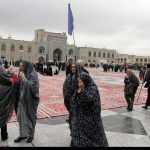 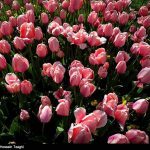 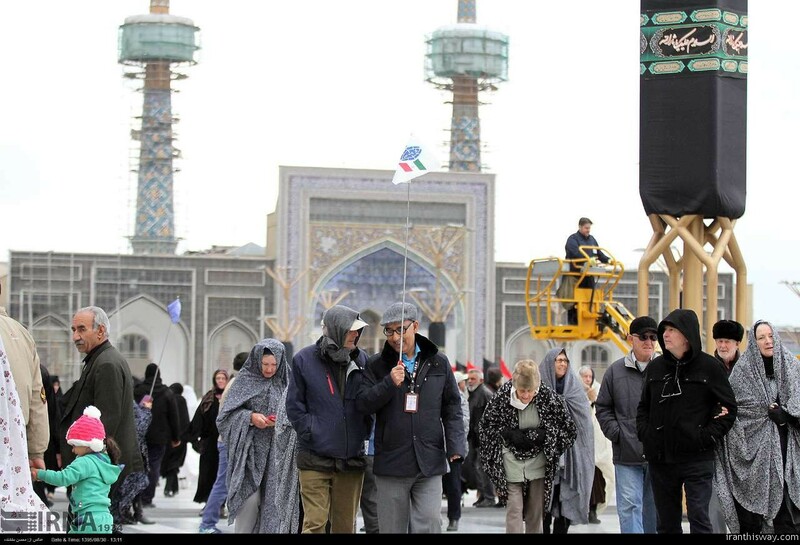 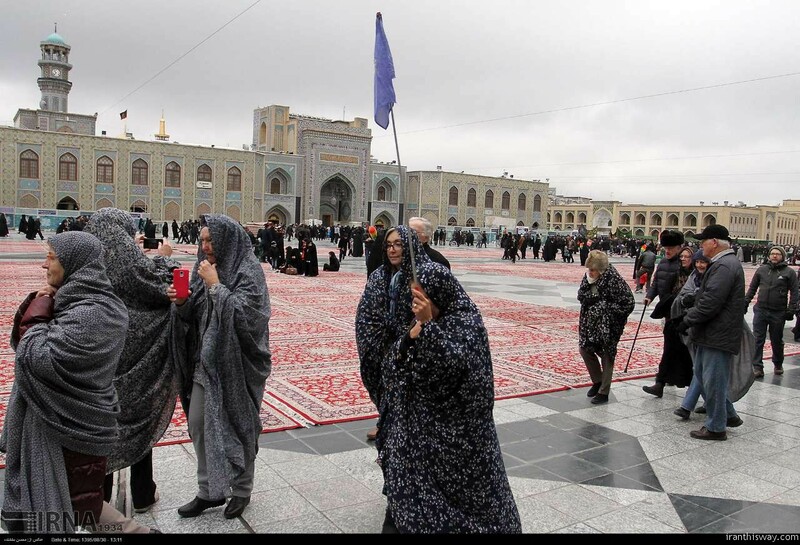 There are a lot of people that in the especial day flock to Mashhad, Iran’s holy city, to the shrine of Imam Reza, the eighth Imam of Shias, , northeastern province of Khorasan Razavi. 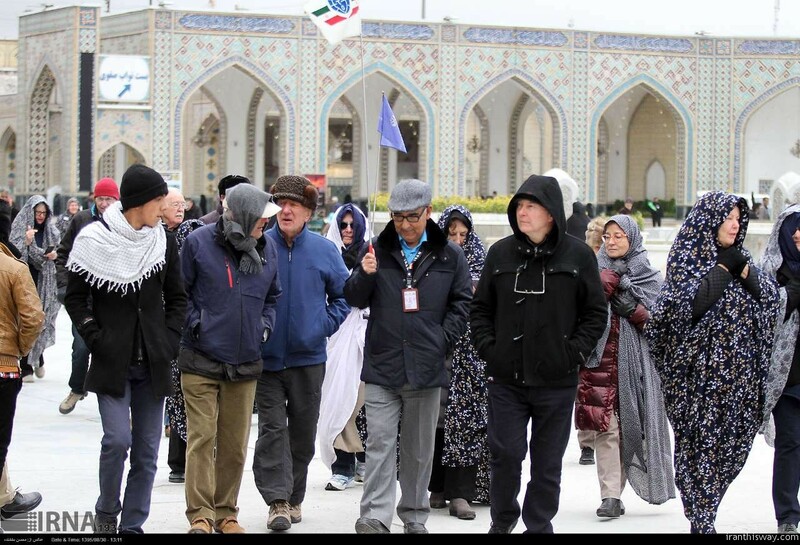 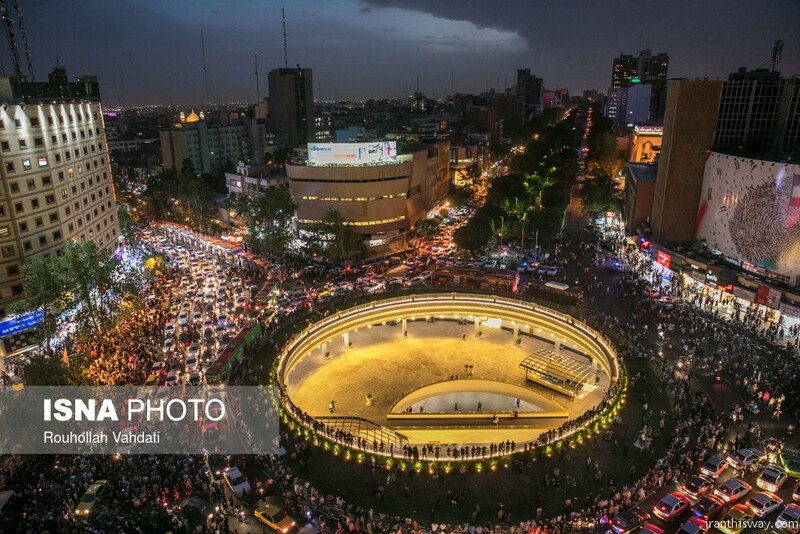 Annually about 5 million domestic and foreign pilgrims make pilgrimage in the city. 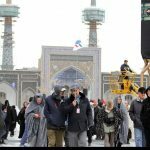 According to a governmental statistics we have more than one million pilgrims during these days in 2016. 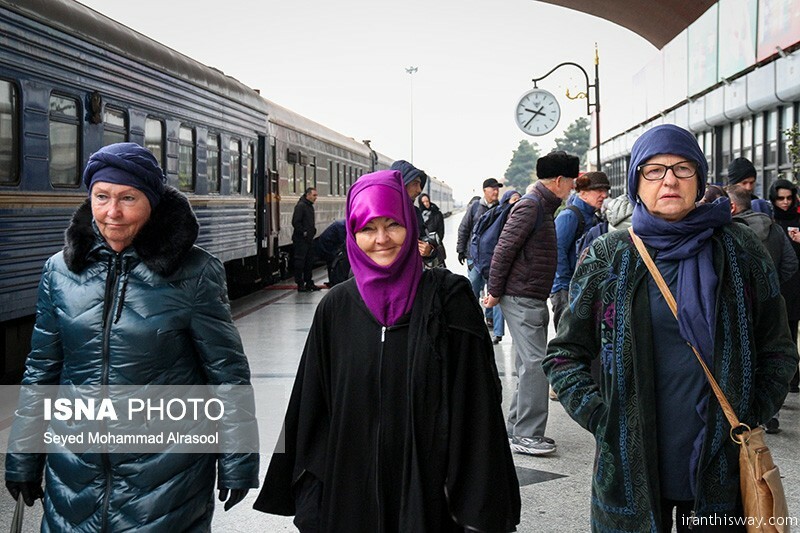 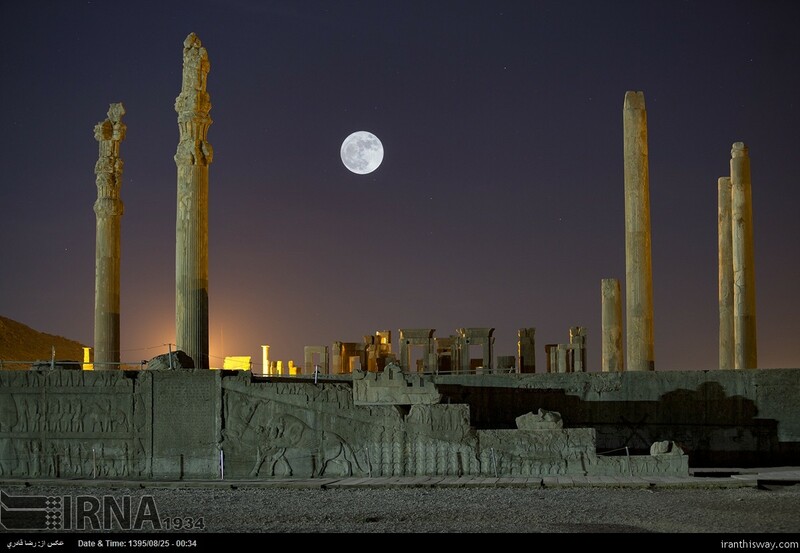 While in Iran, the train will take the visitors to Iran’s tourism hubs of Kerman, Yazd, Isfahan, and Shiraz. 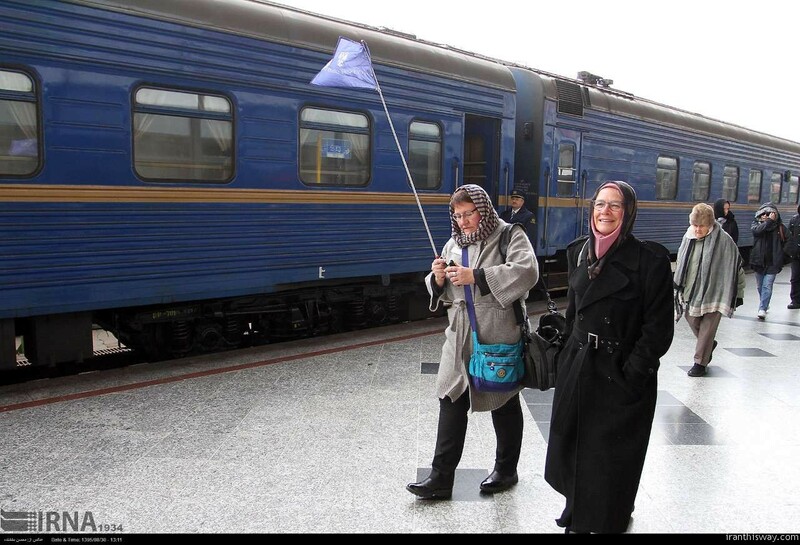 The train is expected in Tehran on November 27 where it will stay for two nights. 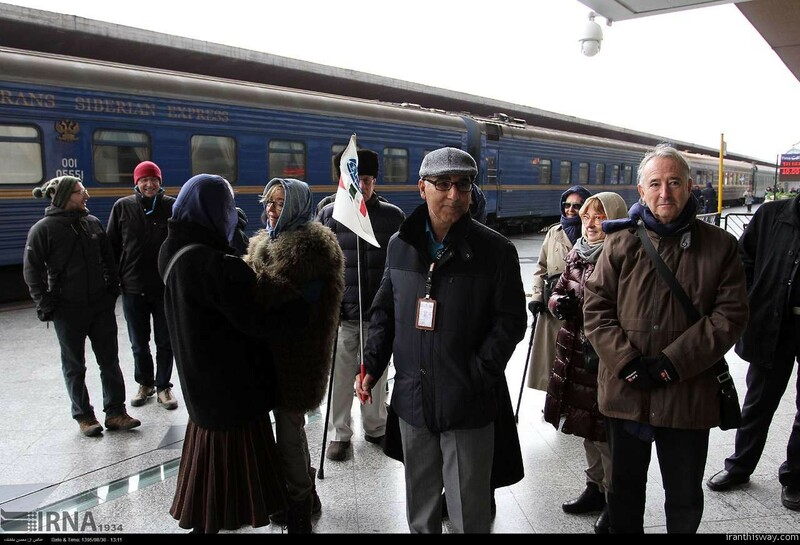 It will later return to Mashhad and then to Turkmenistan and further on its way back to unwind its 18-day tour. 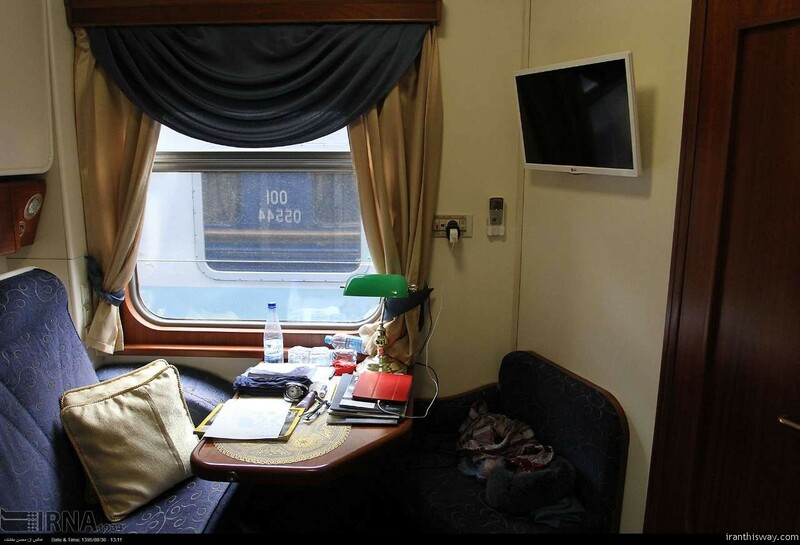 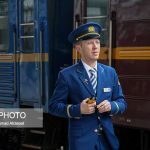 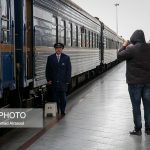 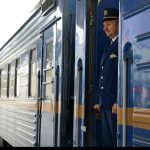 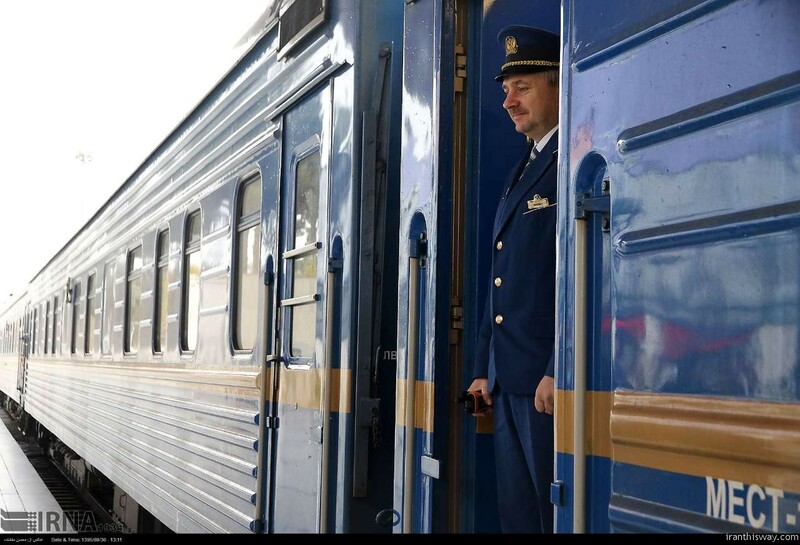 The main route of the Trans-Siberian Express — which is equipped with a four to five star hotel service — was always through Russia, the Trans-Siberian route, as well as the Silk Road through Central Asia. 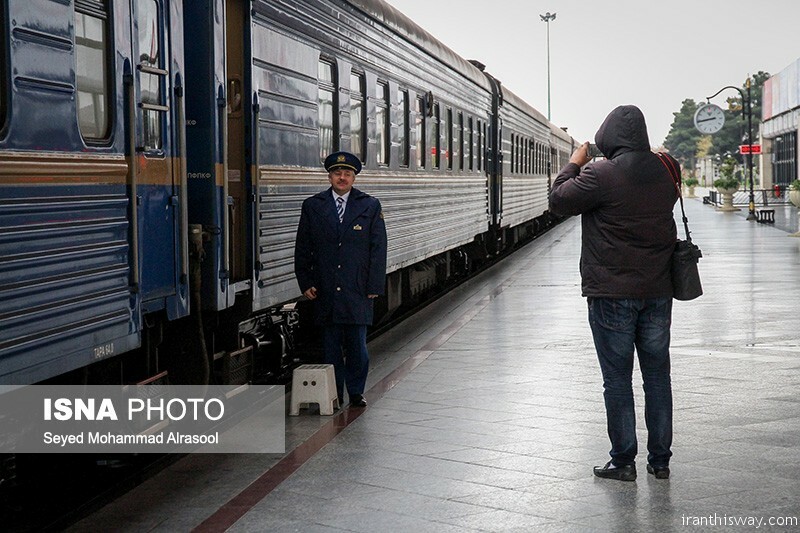 The Trans-Siberian Express had to change the cars and truck wheels, so they fit the Iranian track which has a different gauge of railways than that of Russia. 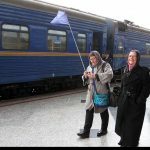 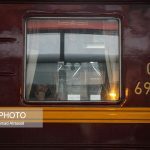 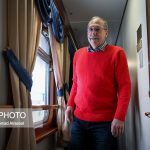 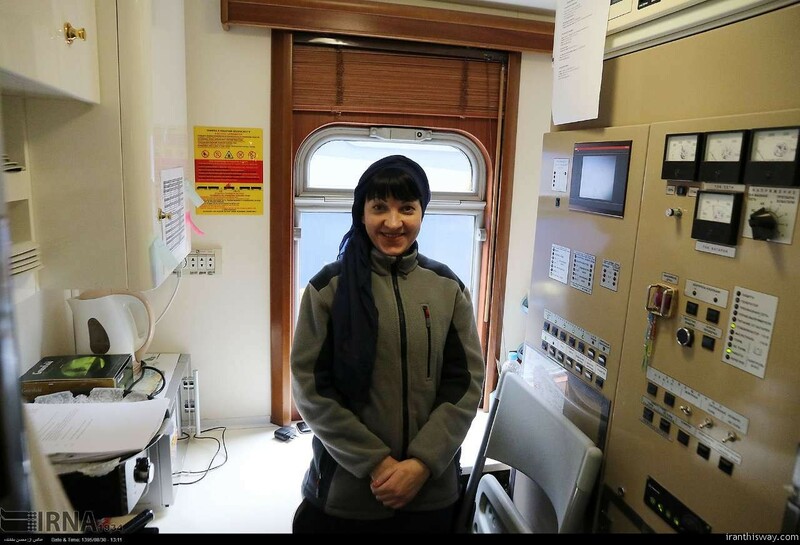 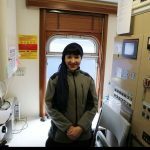 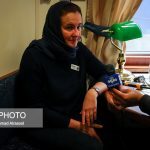 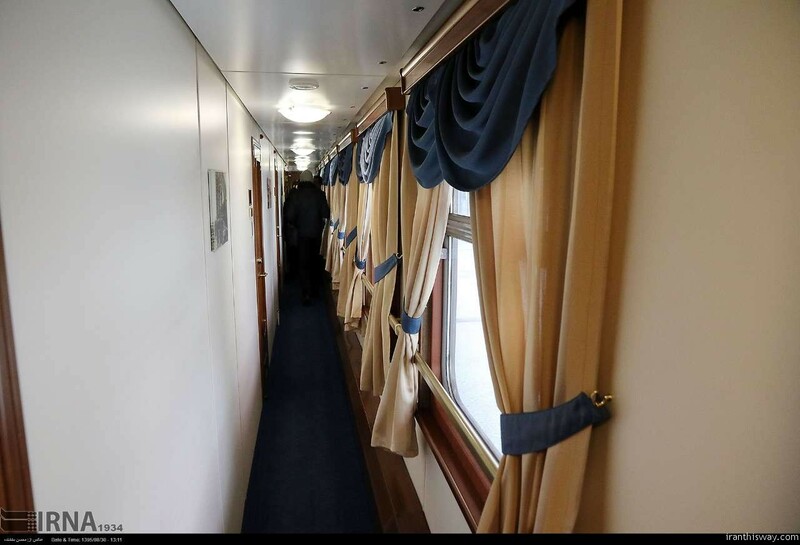 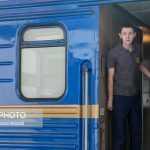 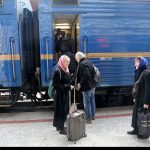 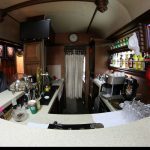 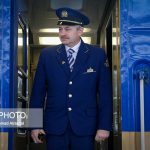 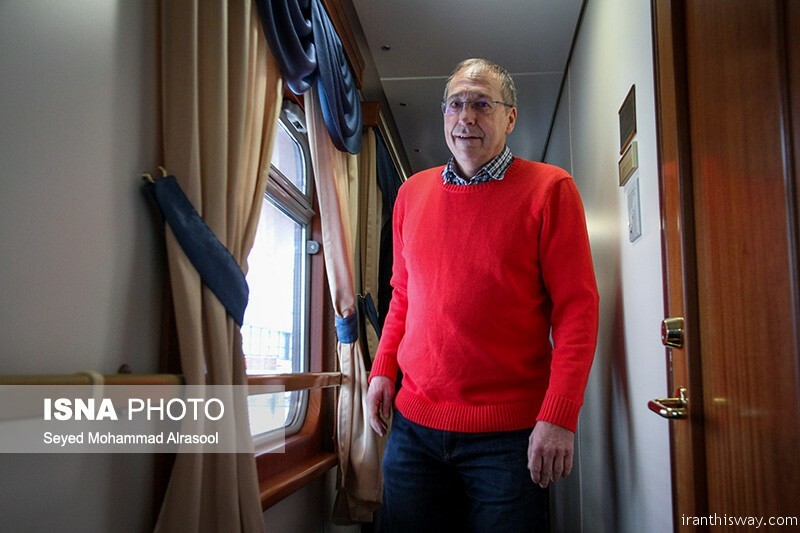 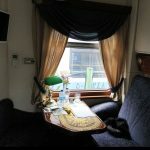 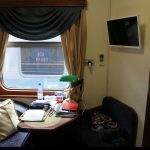 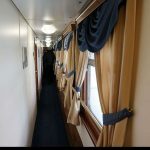 Tim Littler, the president of Britain’s Golden Eagle Luxury Trains Limited that operates the railway cruise to Iran, had earlier told Sputnik that the luxurious cruise is not a one-time trip. 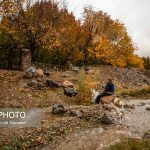 “This is a real active project that will have a permanent schedule of tours,” Littler had said. 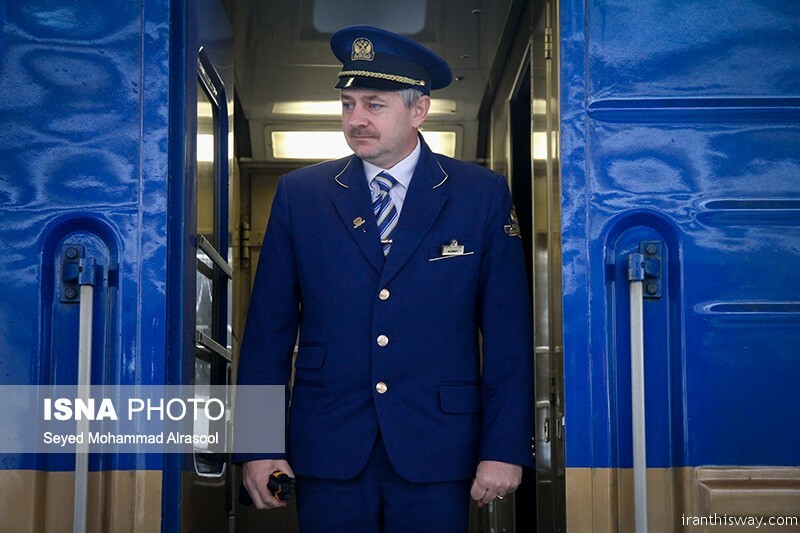 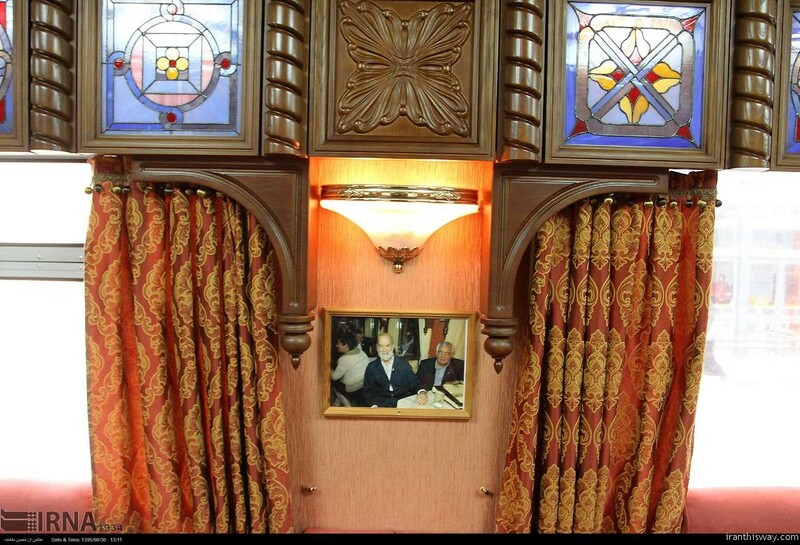 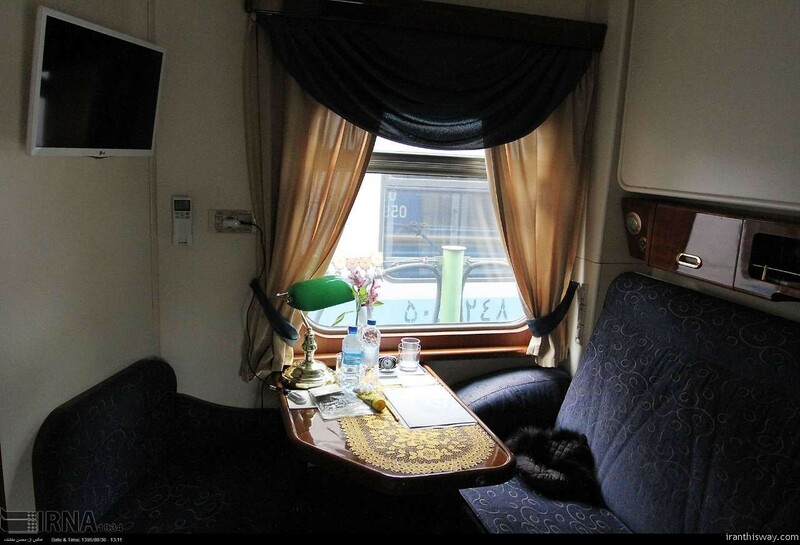 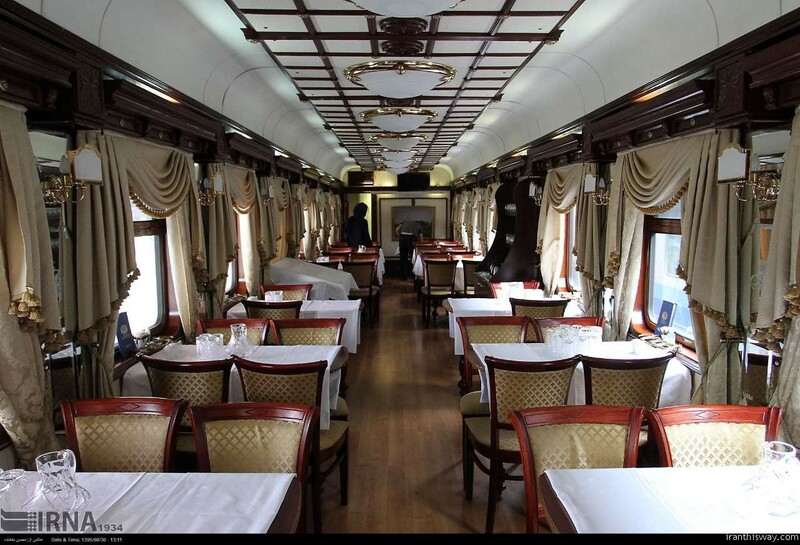 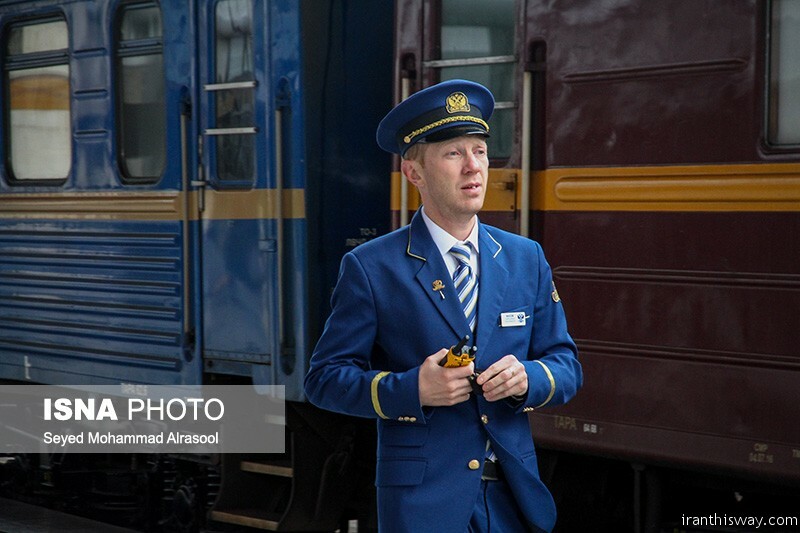 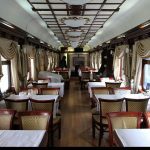 The Golden Eagle Luxury Trains had already conducted three rail trips to Iran from Europe. 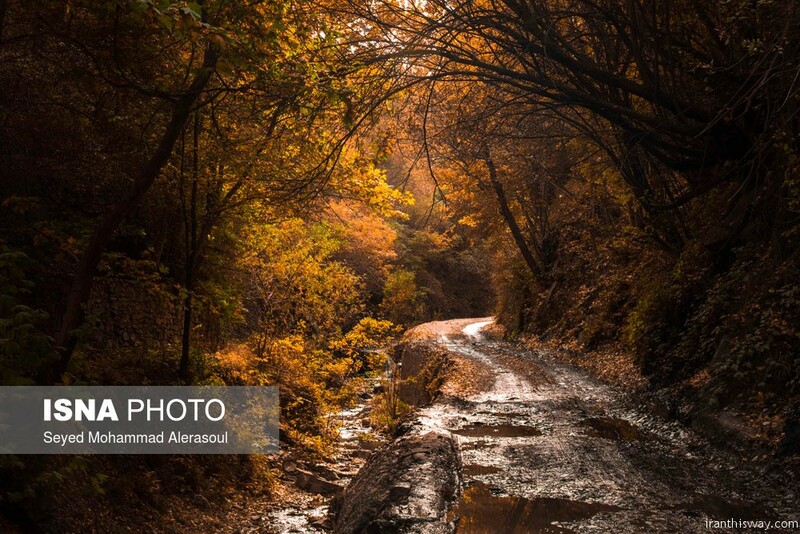 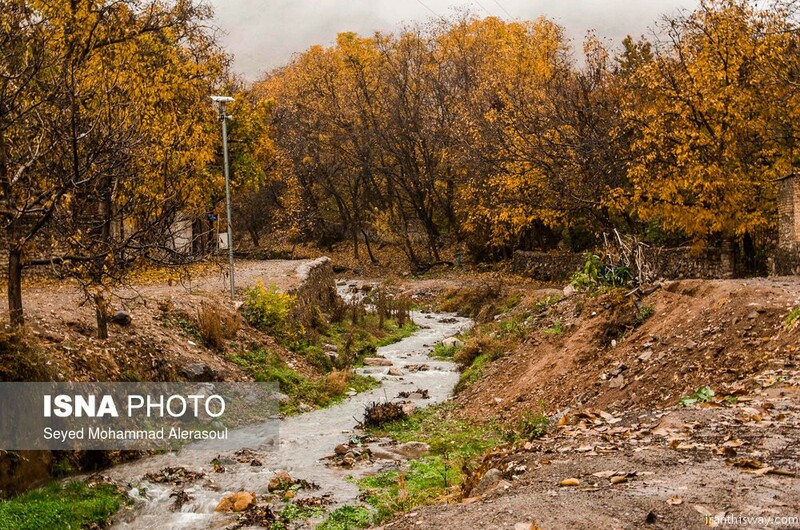 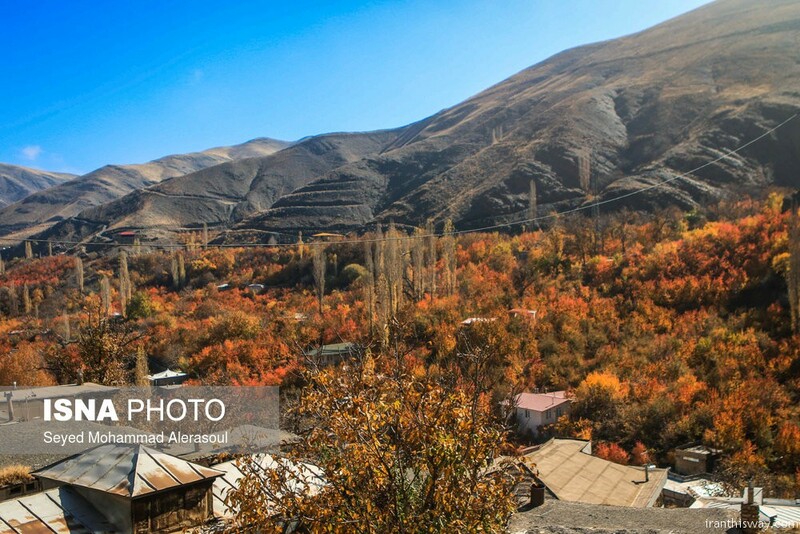 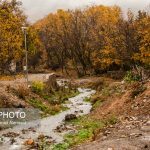 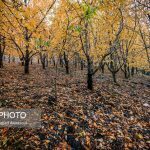 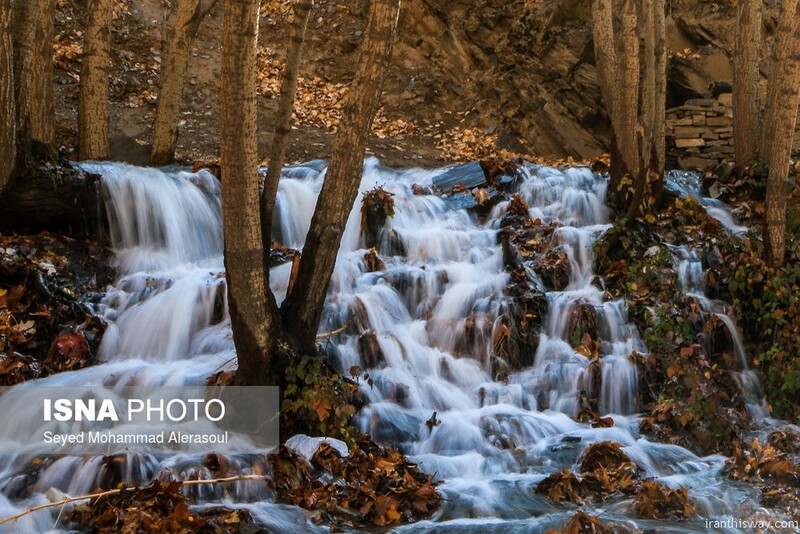 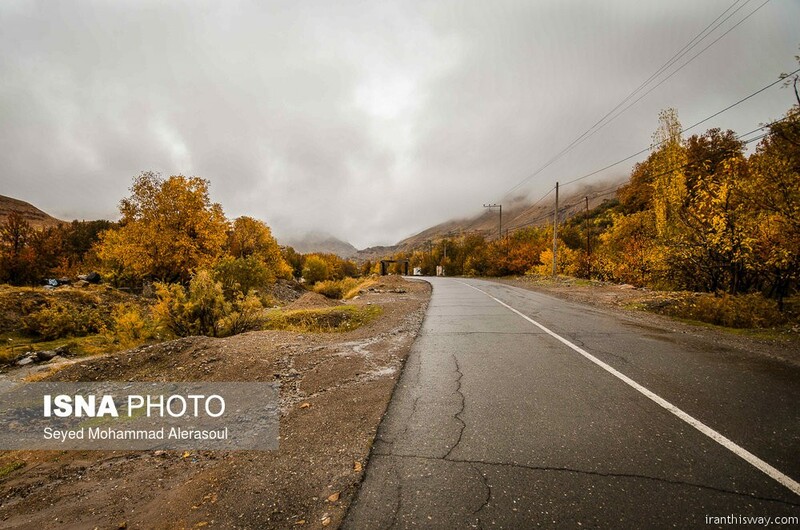 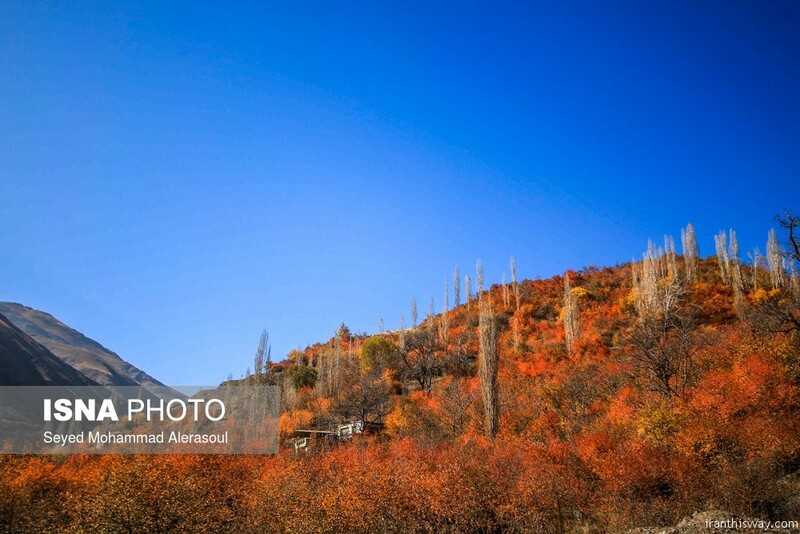 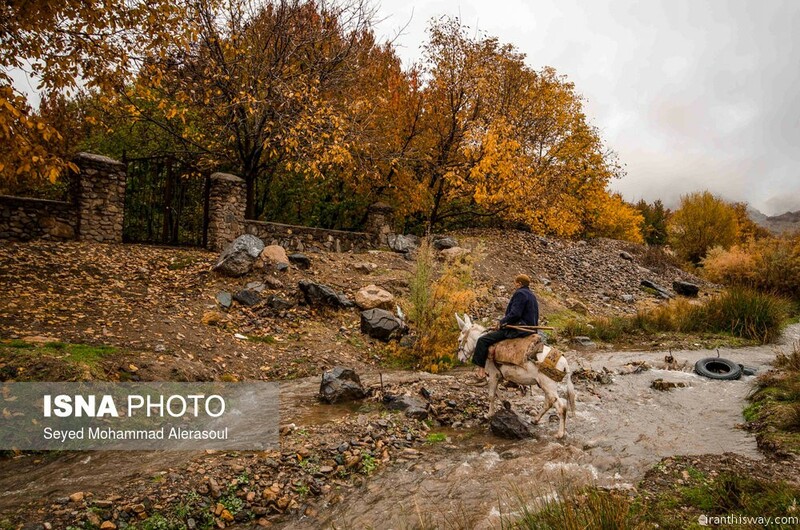 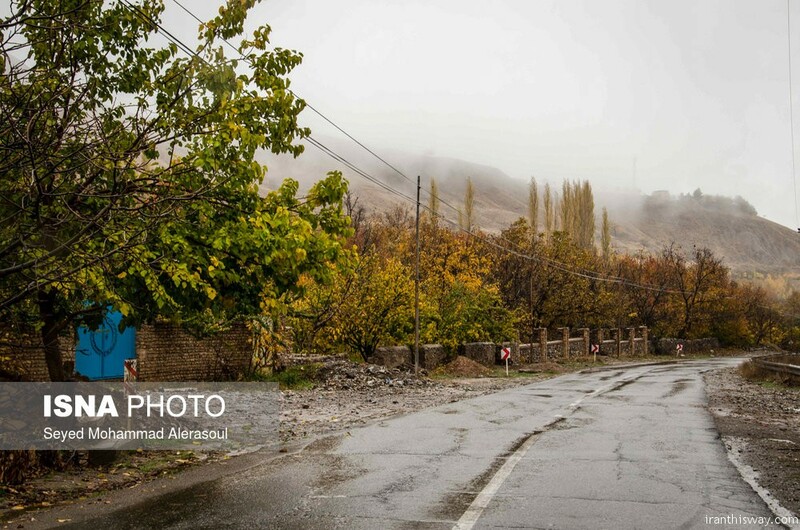 37 Kilometers southeast of Mashhad contains the countryside and tourist city of Shandiz. 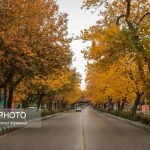 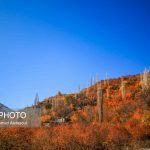 It has a moderate weather and concerning the green nature, vegetation, thick and dense trees, the river, and southern and western altitudes, it is cool in summer and very cold in winter. 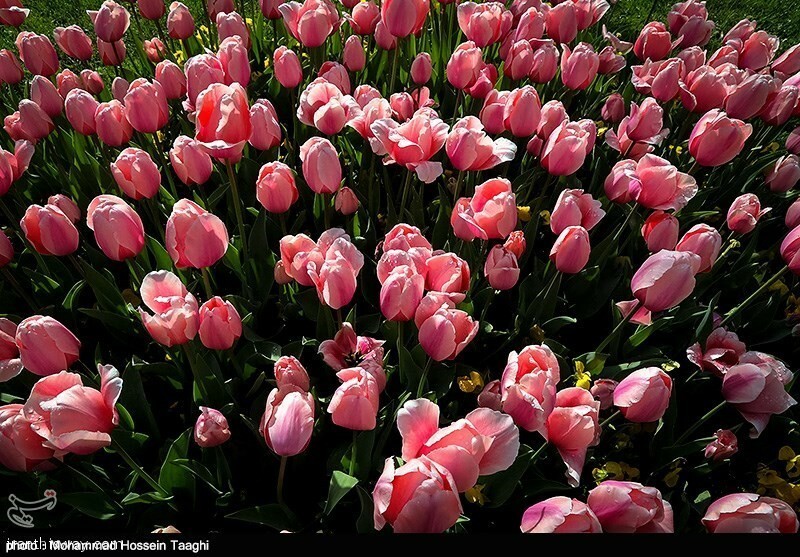 The average annual temperature of it is 25 degrees Celsius. 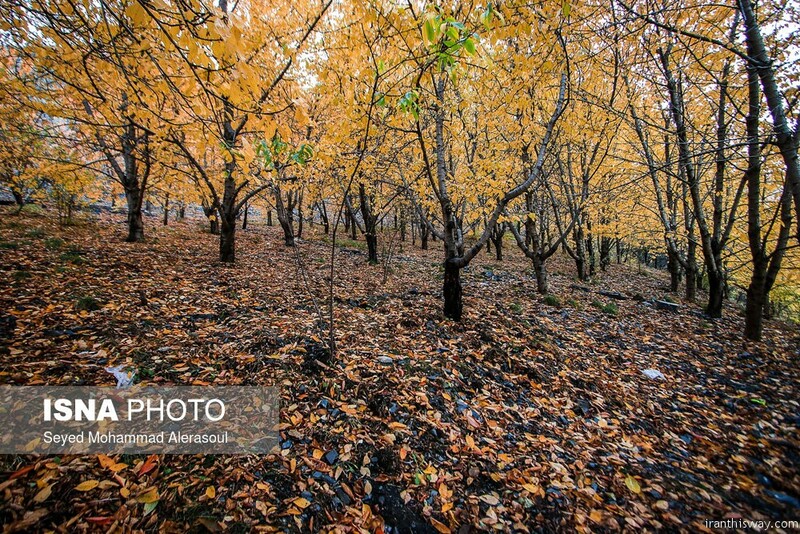 The most important garden product of this city is cherries. 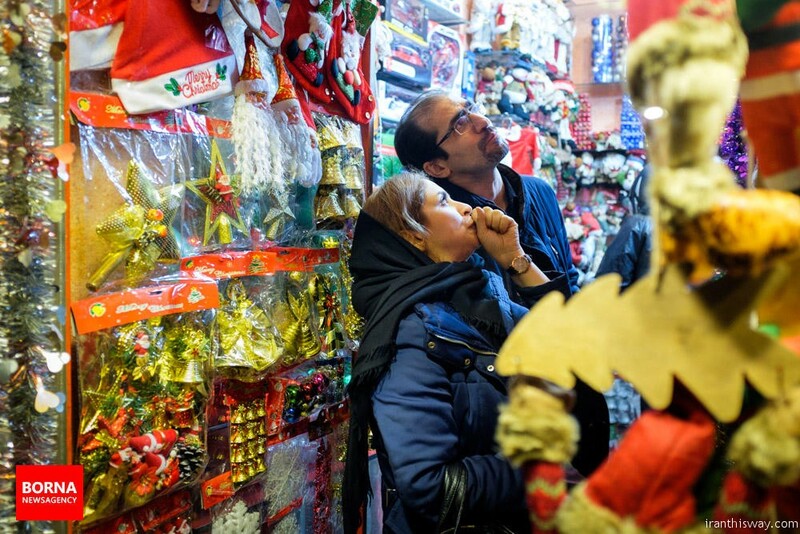 Significant souvenirs of the city are handicrafts, especially sheepskin clothes. 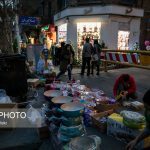 The well-known food of the city is called Shishlik which is made of six pieces of lamb prepared in a very special method and it is world famous. 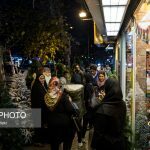 There are restaurant all over Iran and the world bearing the name of this beautiful city catering the delicious Shishlik of Shandiz. 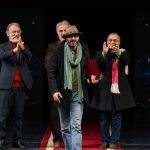 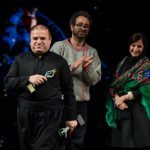 In the international competition section Best Play Award was jointly presented to ‘The History Boys’ by Ashkan Khalilnejad, and ‘Melancholy of the Dragons’ by Philippe Quesne of France, honaronline.ir wrote. 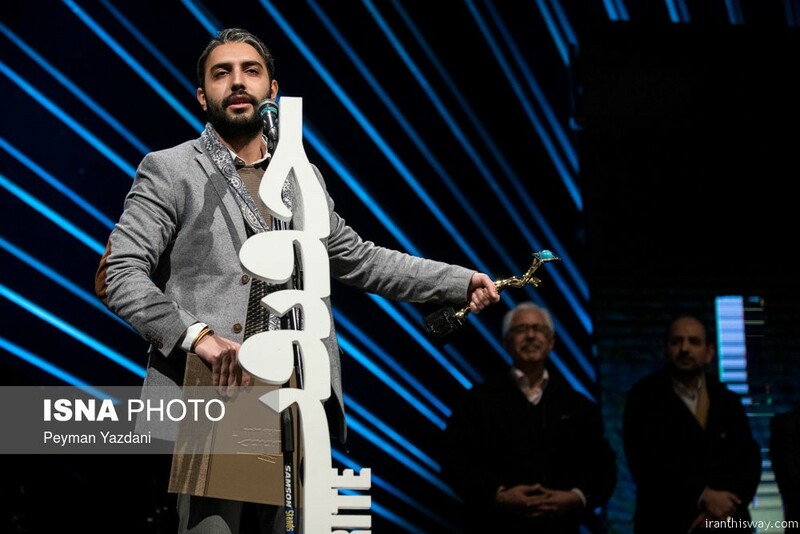 Khalilnejad also received the Best Directing Award and Best Stage Design Award for ‘The History Boys’. 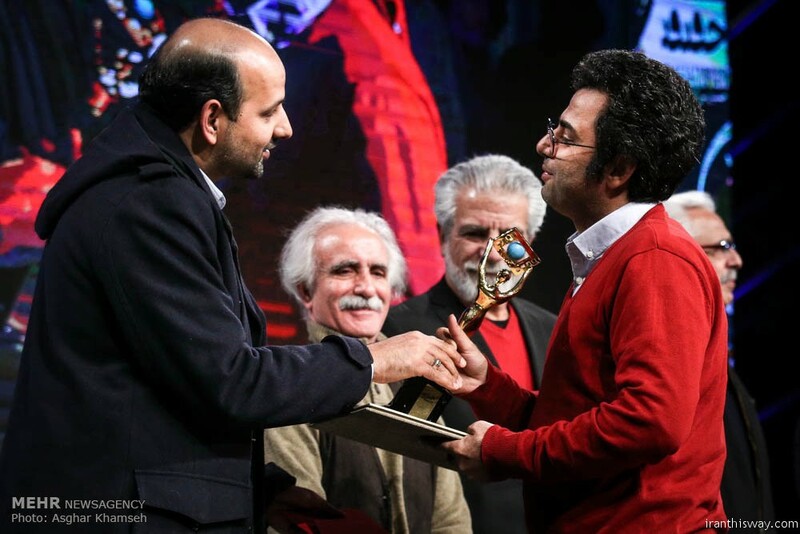 Mehdi Ziachamani won the Best Playwriting Award for ‘The Omissions’. 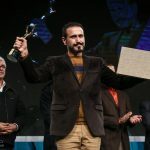 Special Jury Award for Best Dramatic Composition and Best Acting Award (male) went to Masoud Delkhah for ‘Mephisto’ and Morteza Esmaeil-Kashi respectively. 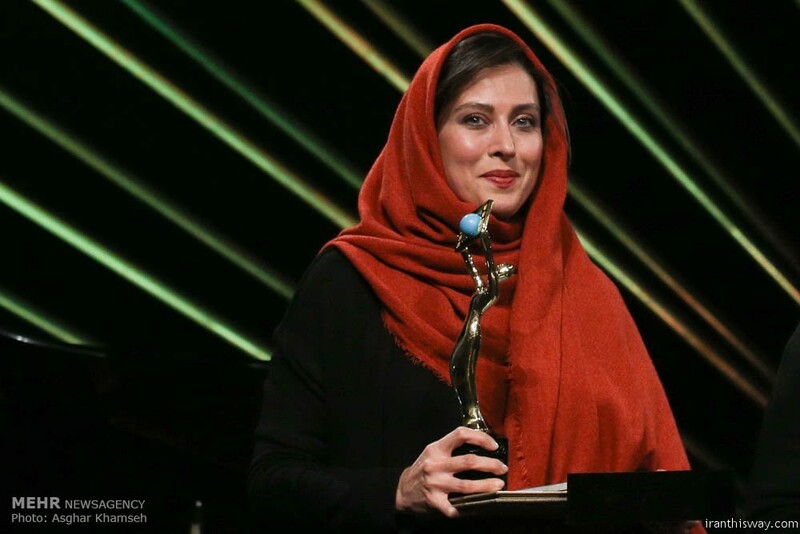 The Best Costume Design Award went to Neda Nasr for ‘The List of the Dead’. 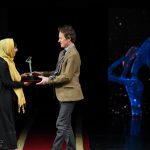 Best Offstage Play (Unusual Places) was given to ‘Guilty Landscapes’ by Dries Verhoeven (the Netherlands). 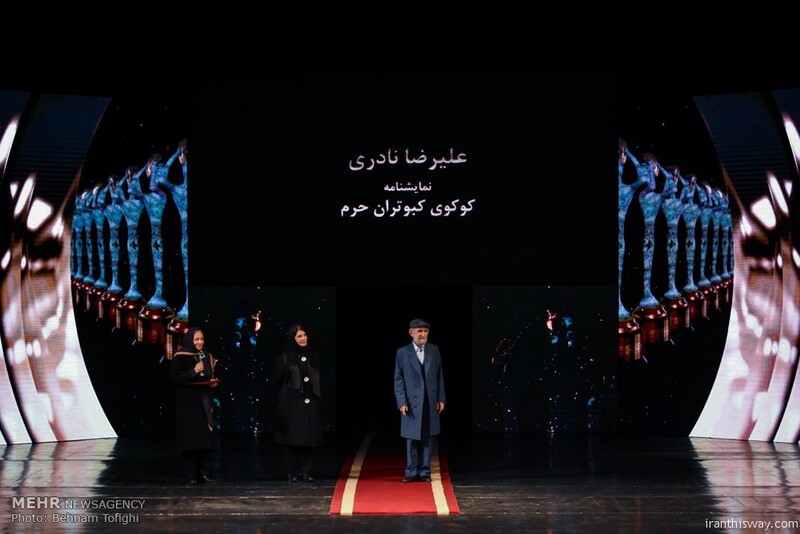 The 36th Fadjr International Theater Festival was held from January 18 to 28 in Tehran. 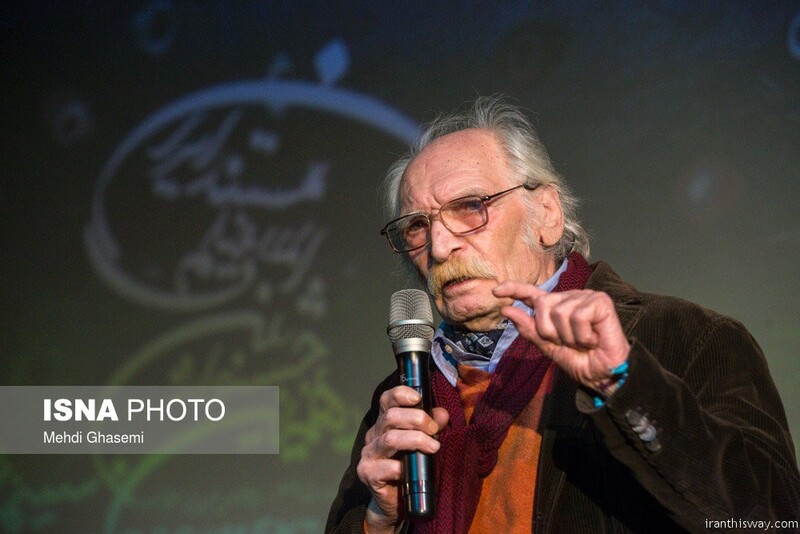 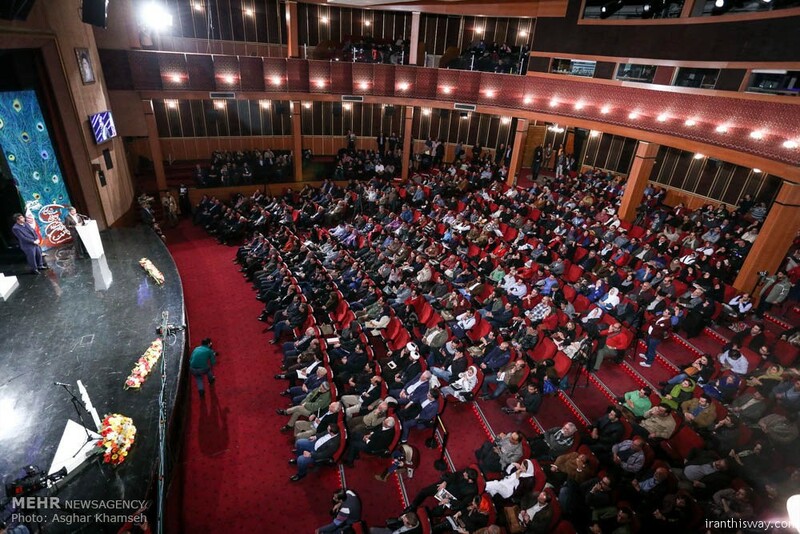 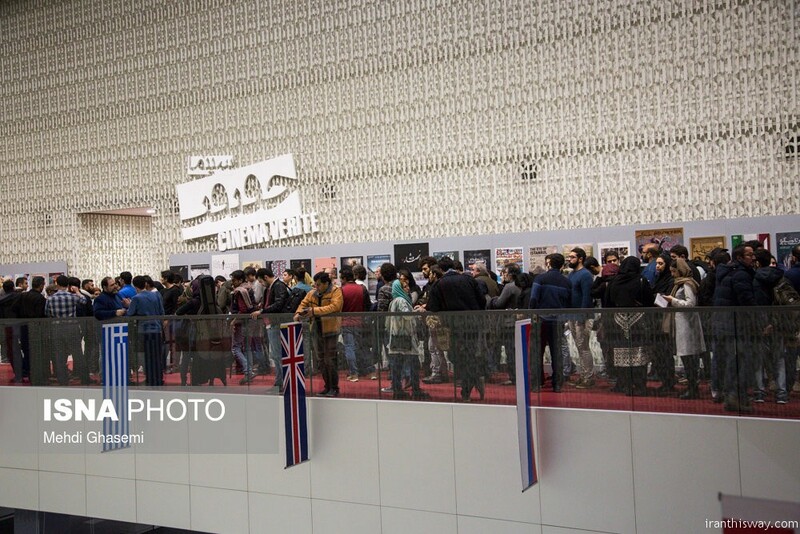 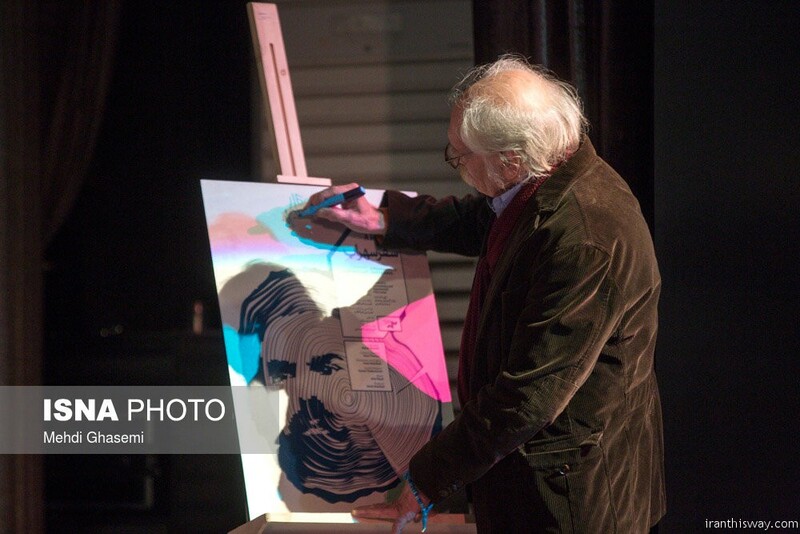 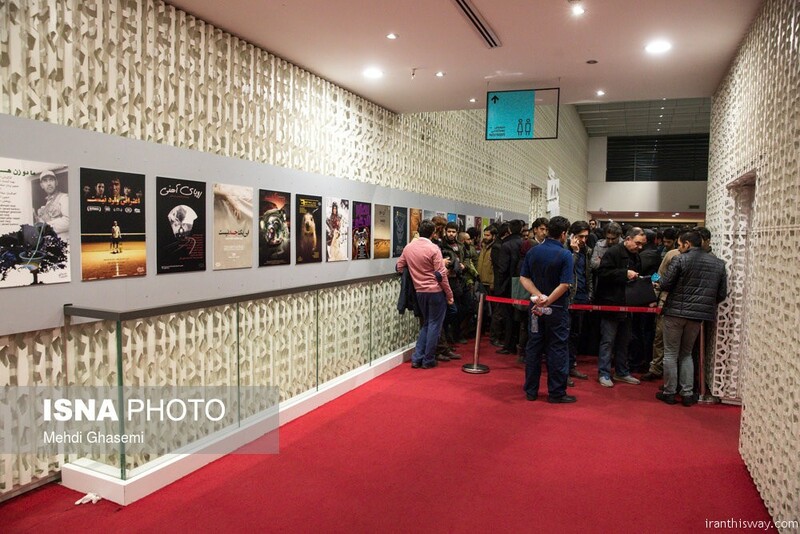 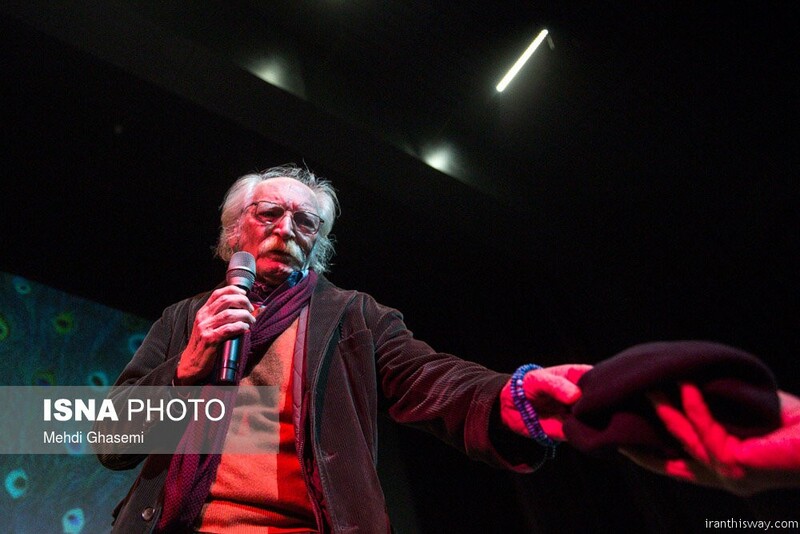 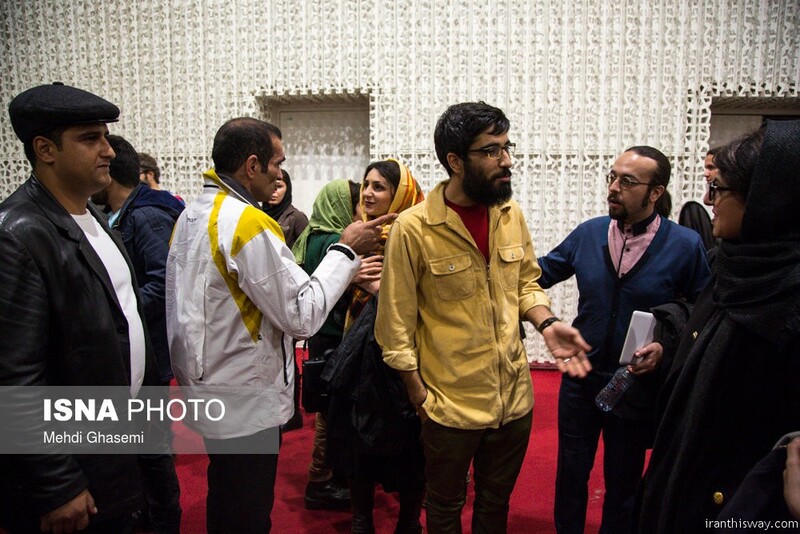 The 36th Fajr International Theater Festival was held January 18 to 28 in Tehran. 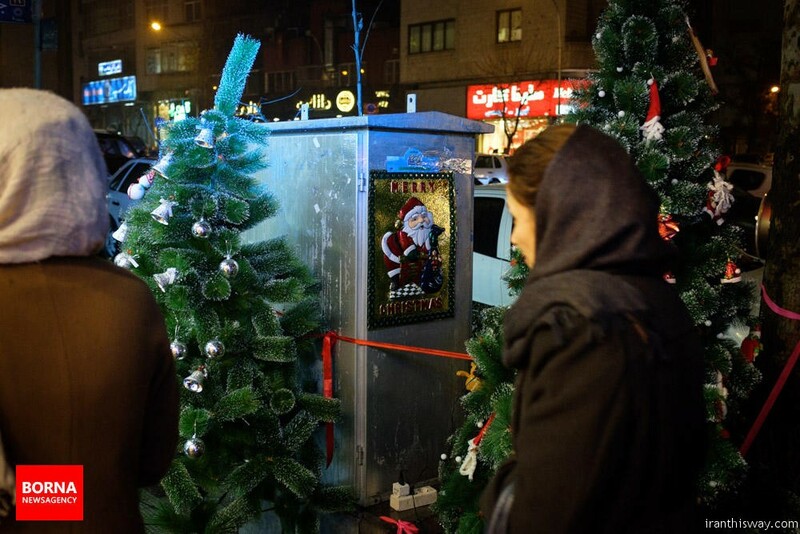 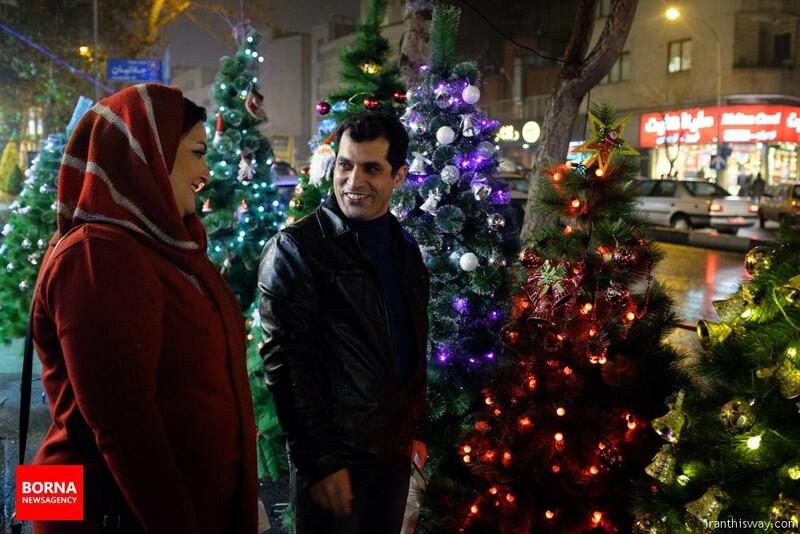 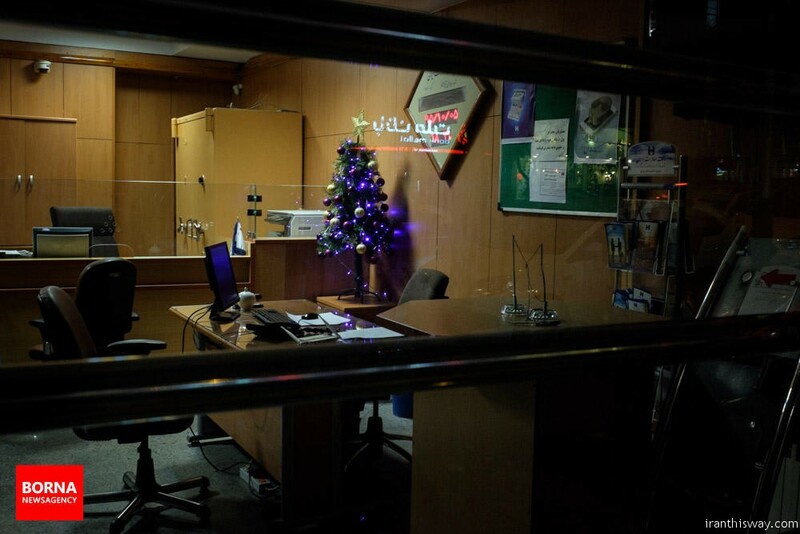 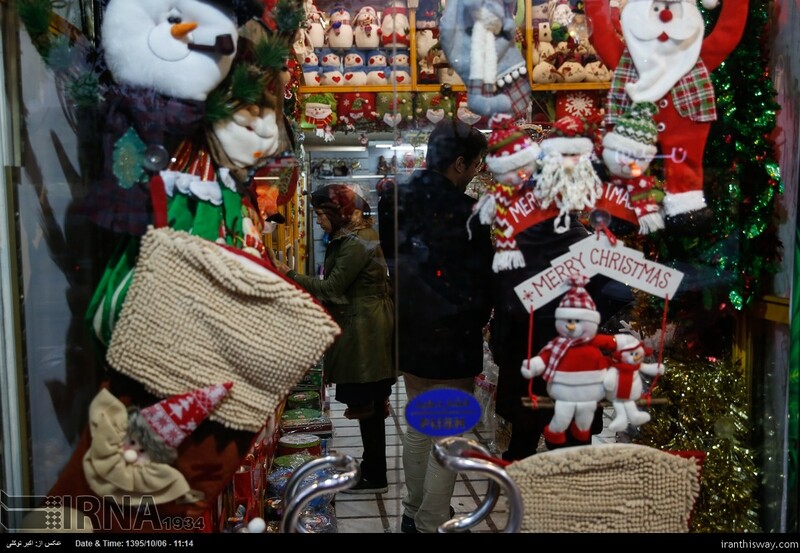 As Christians around the world celebrate Christmas, the holiday season is also observed in Iran. 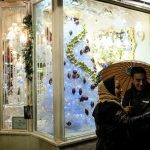 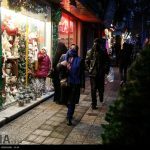 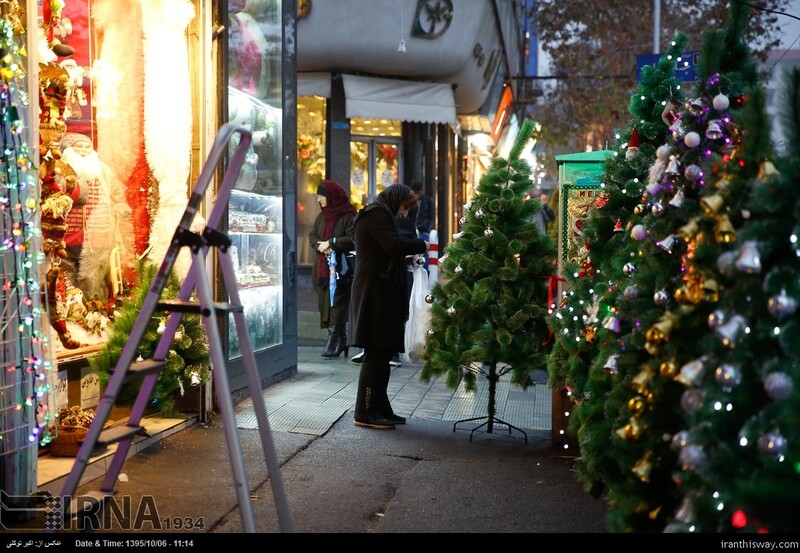 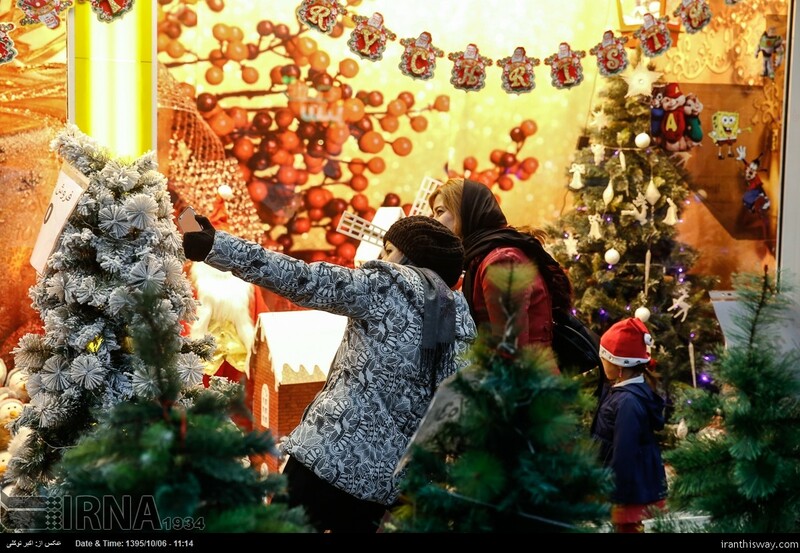 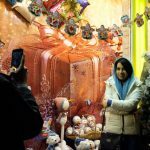 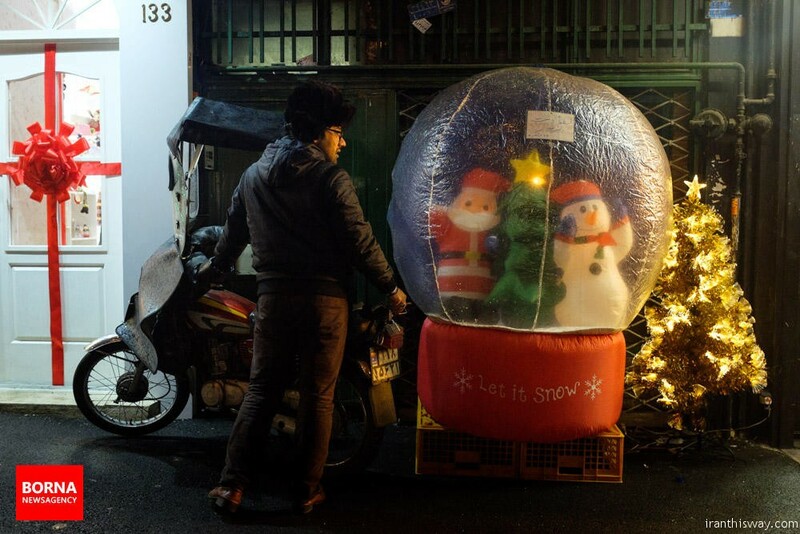 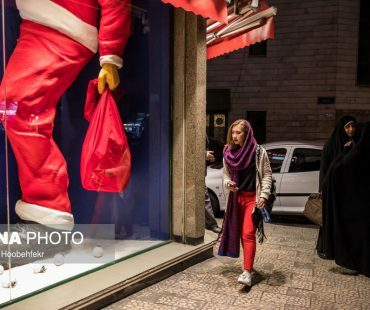 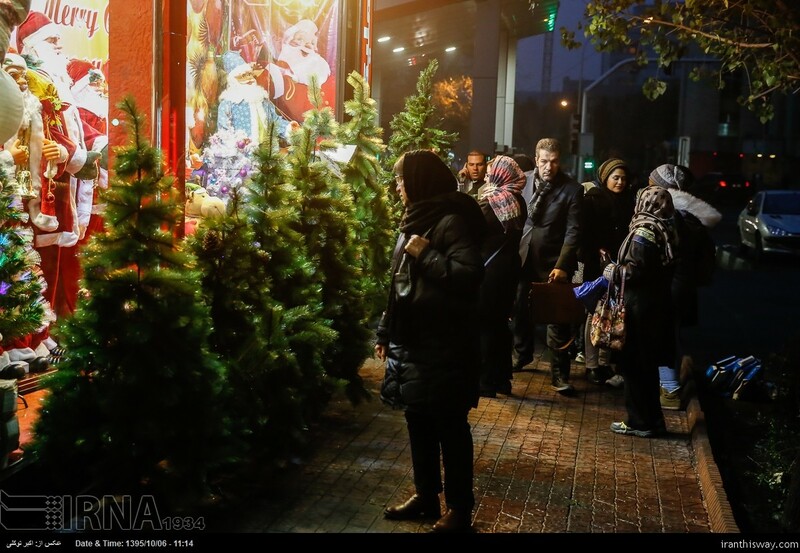 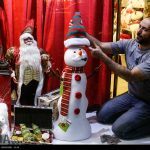 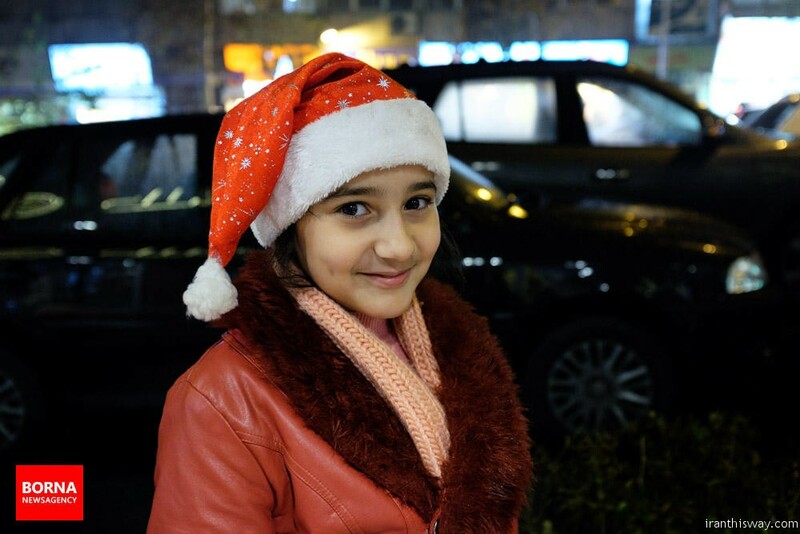 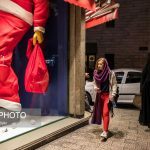 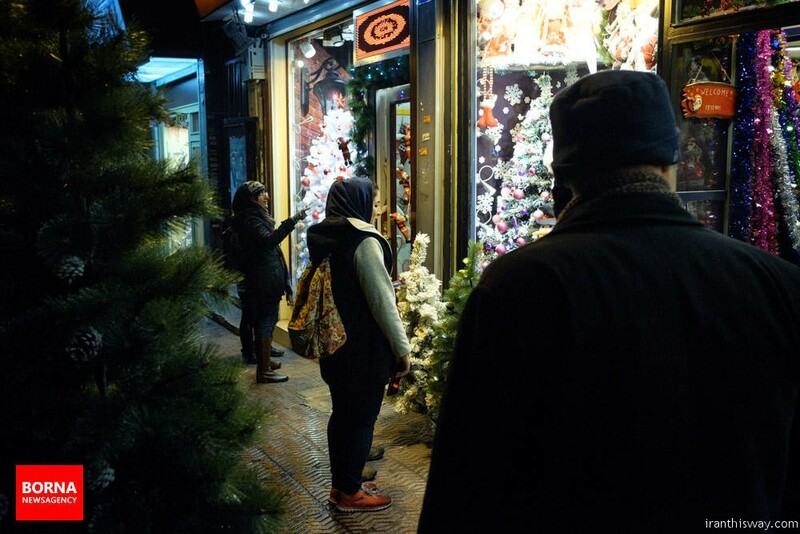 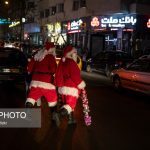 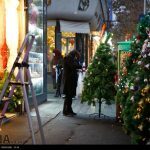 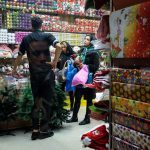 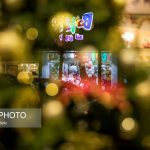 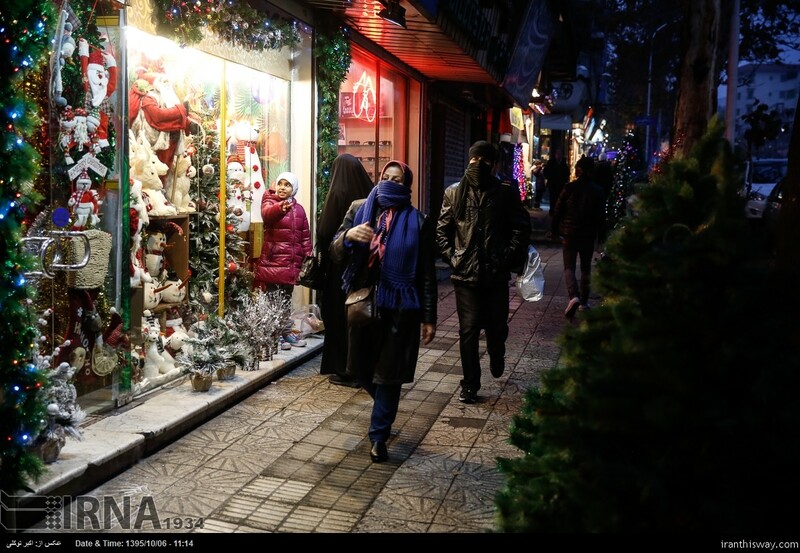 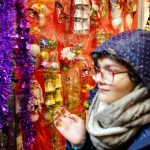 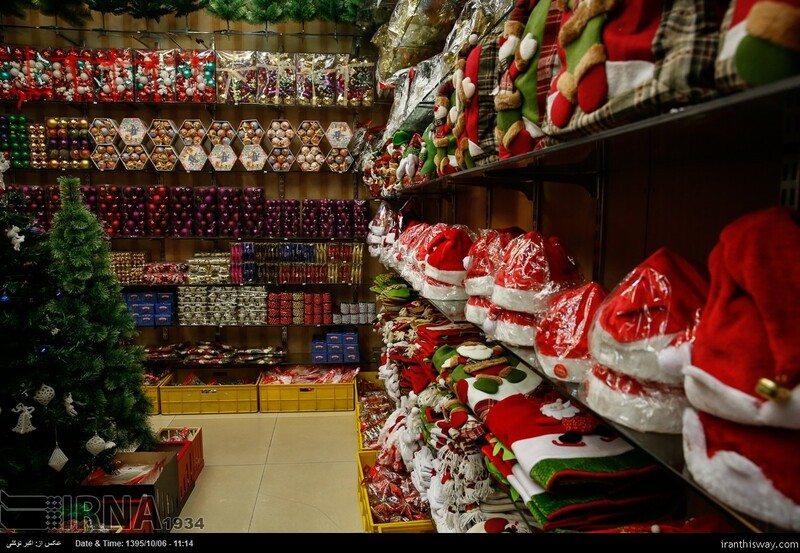 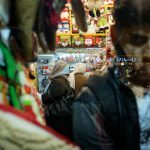 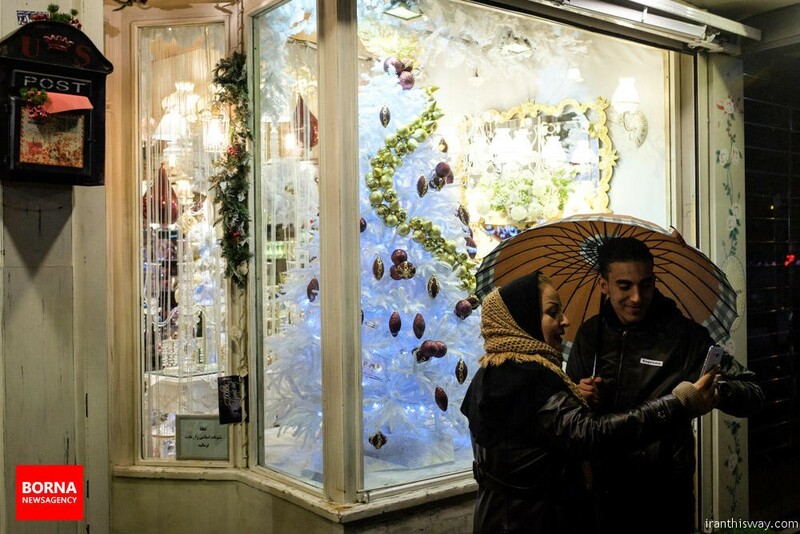 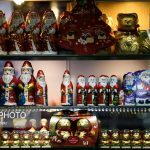 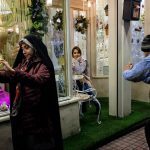 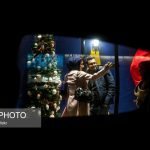 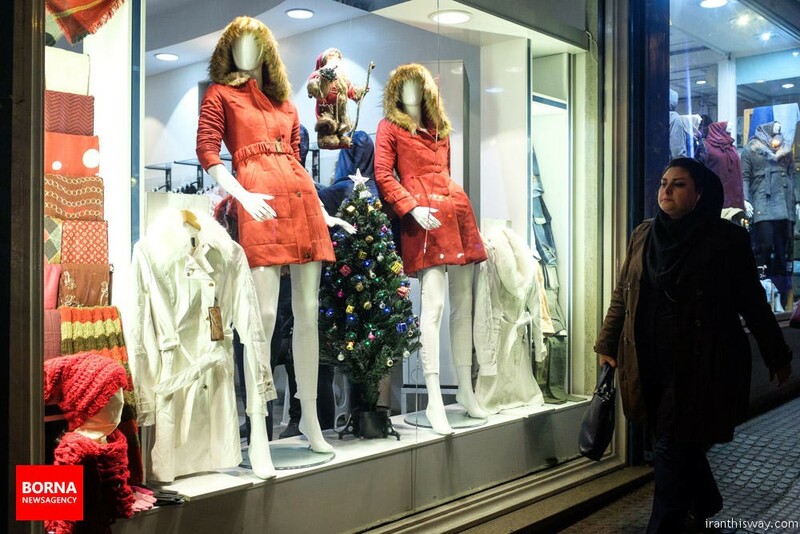 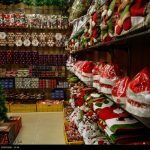 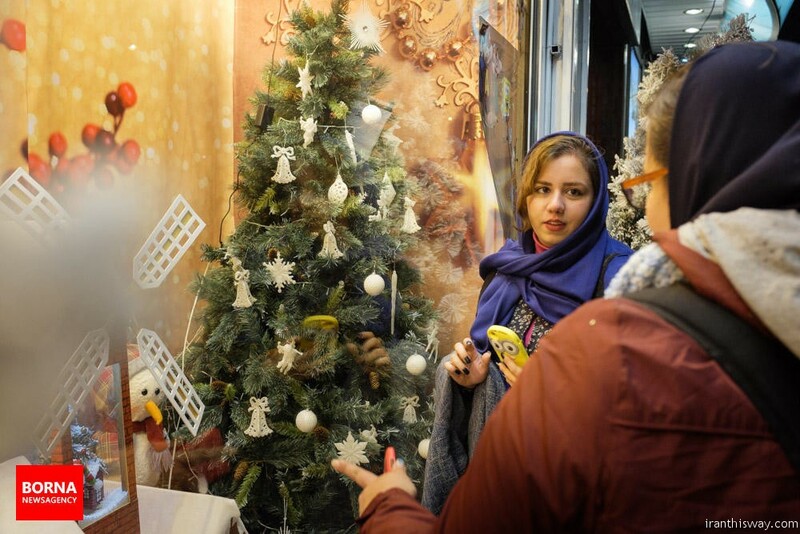 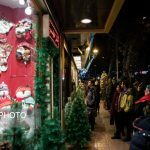 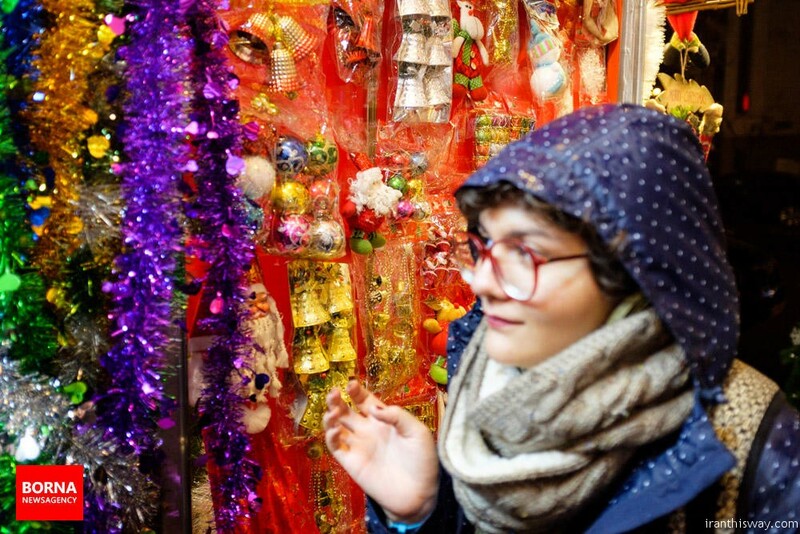 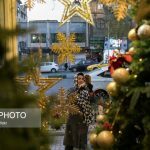 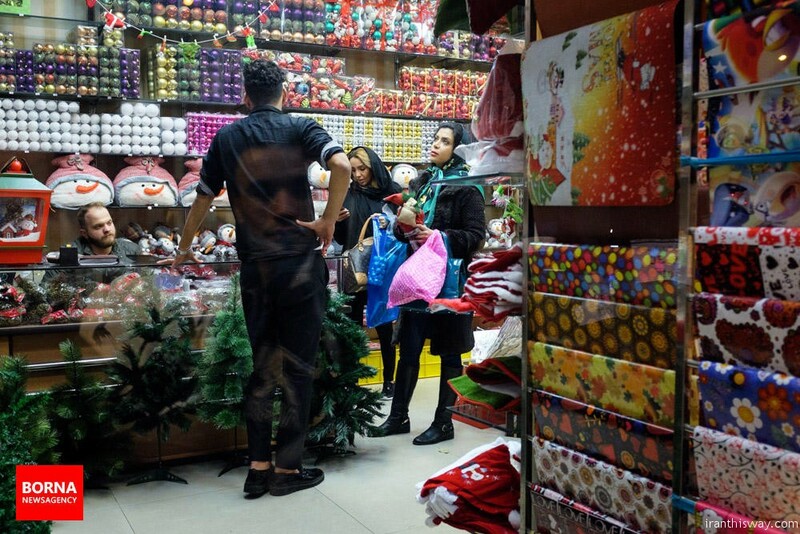 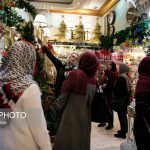 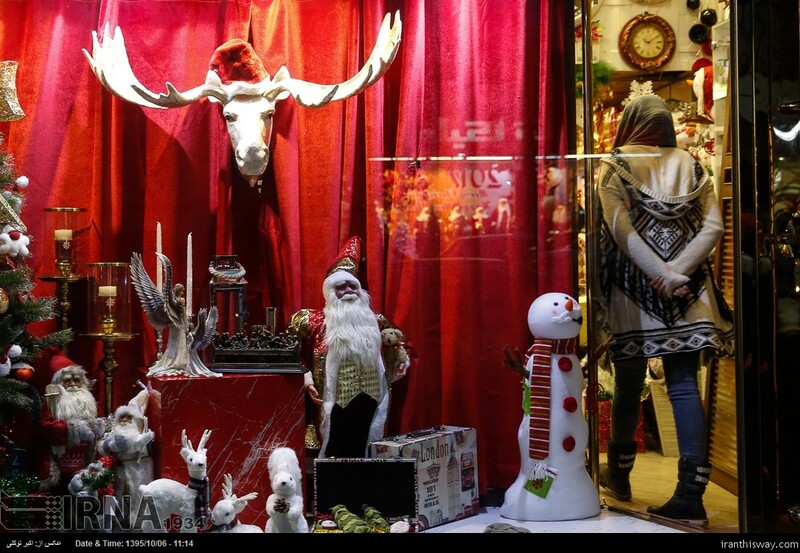 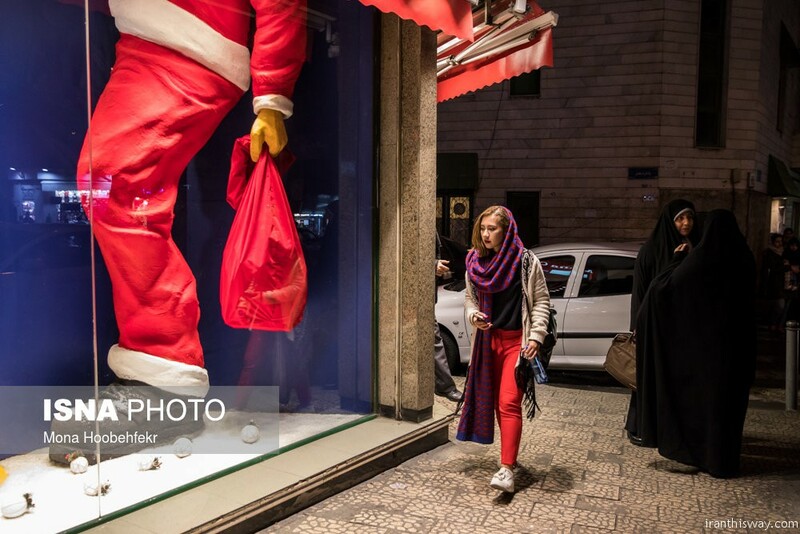 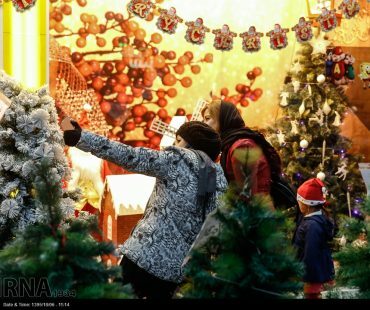 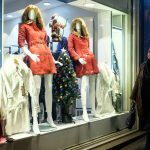 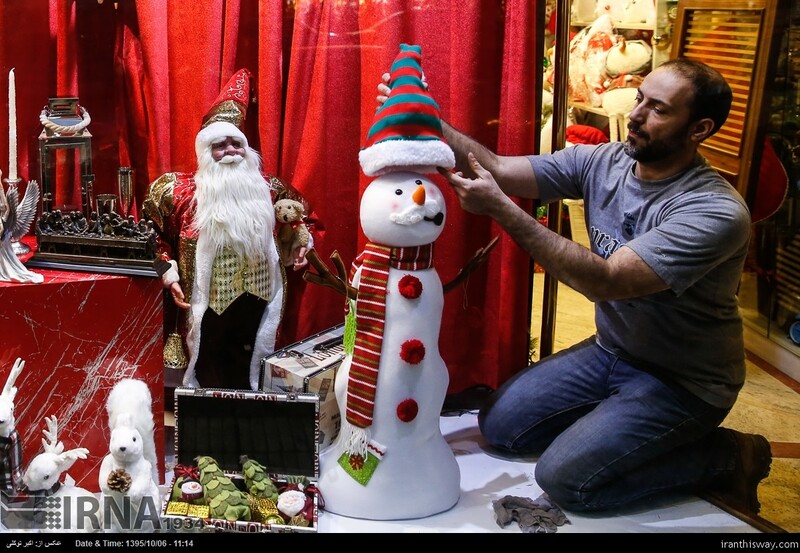 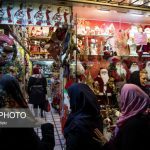 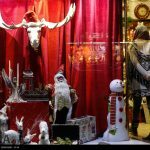 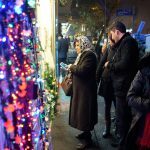 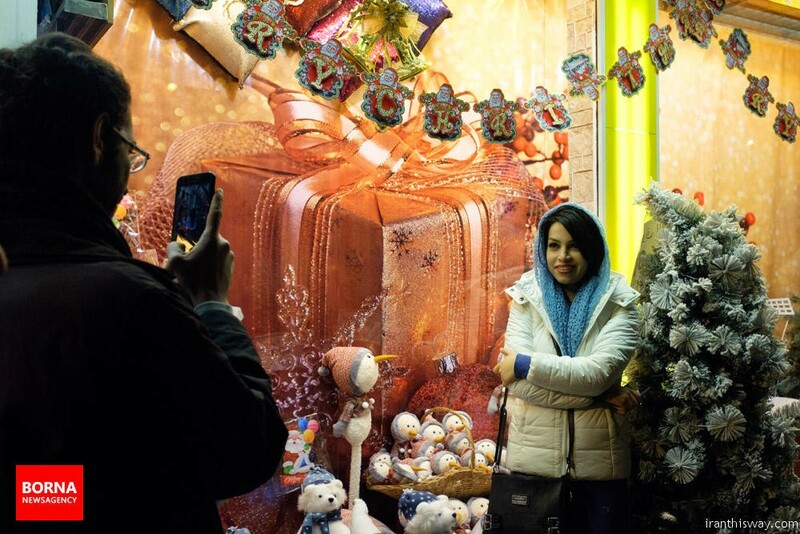 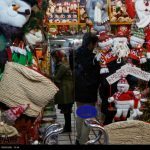 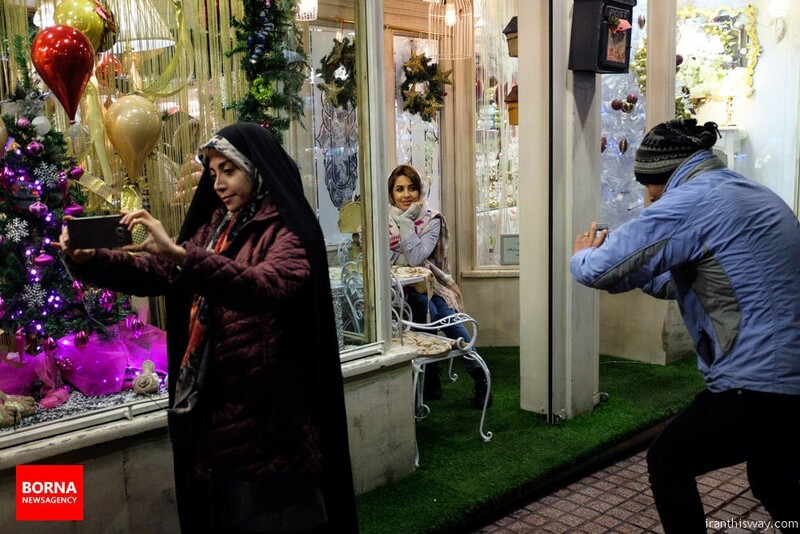 Iranians go to shops and buy Christmas gift and accessories in Tehran. 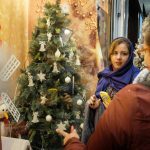 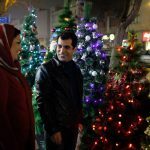 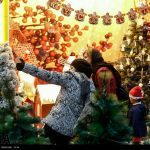 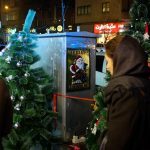 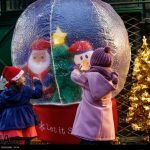 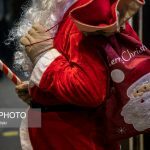 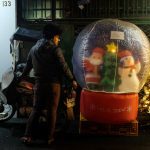 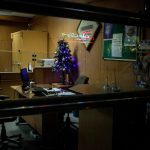 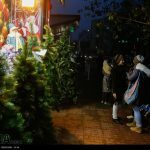 In fact, festive Christmas decoration and celebration take place throughout the country, specifically in major cities such as Isfahan, Shiraz, Tabriz and even religious cities such as Mashhad. 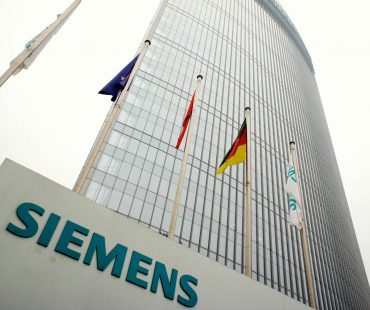 German industrial group Siemens is about to undertake financing rail and power plant projects worth 3 billion euros in Iran, a senior Iranian official says. 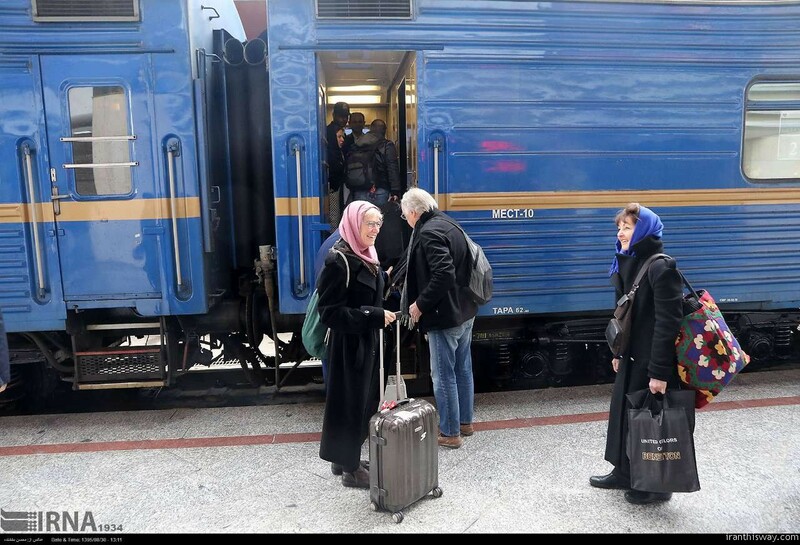 “On a trip to Germany, we had discussions about Siemens’ participation in Iran’s railway and power plant projects,” Deputy Minister of Road and Urban Development for International Affairs Asghar Fakhriyeh-Kashan said on Tuesday. 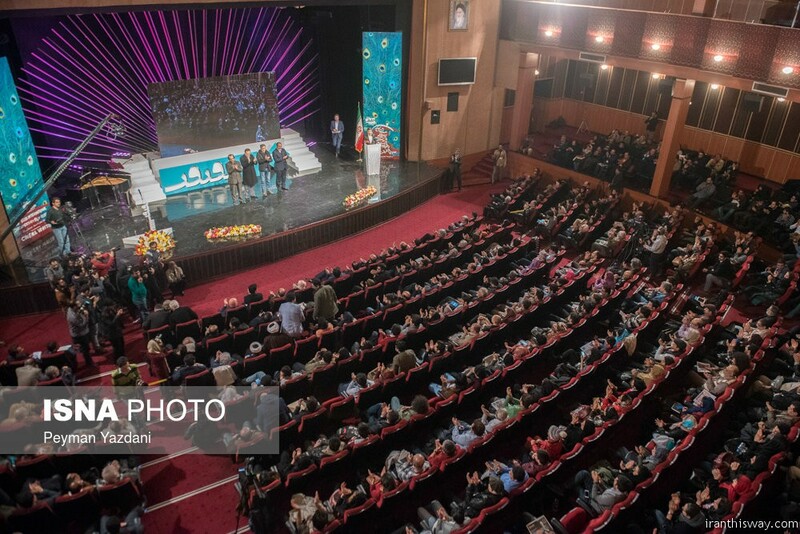 “Through financing a number of construction projects, Siemens plans to enter into a joint venture with Iran’s MAPNA company both in the power plant and locomotive manufacturing sector in order to boost domestic production,” he said. 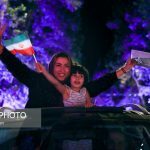 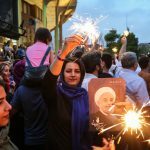 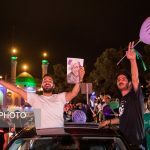 Iranian people across the country took to the streets to celebrate the reelection of President Rouhani in Presidential elections, announced on Saturday. 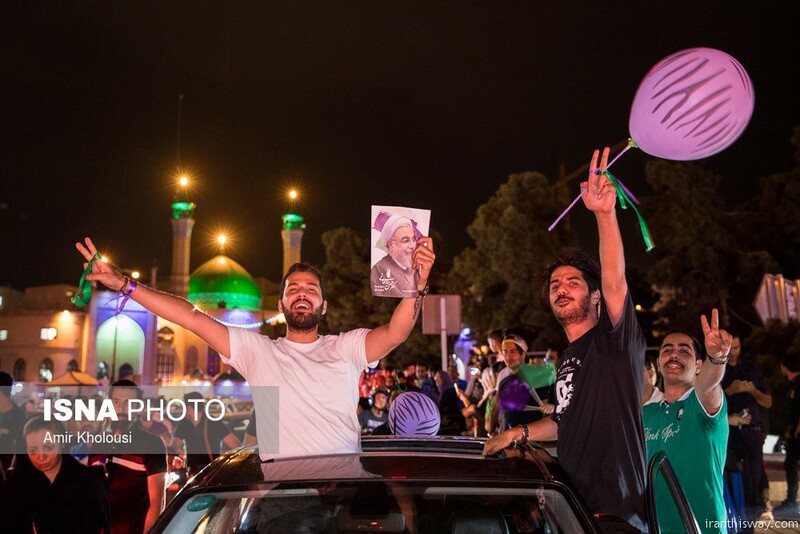 Cars packed the streets and horns sounded in celebration, as people of Tehran carried flags and portraits of President Rouhani who swept to victory on Saturday and will now begin a second term as president. 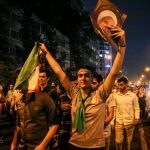 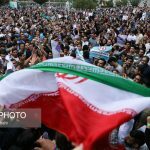 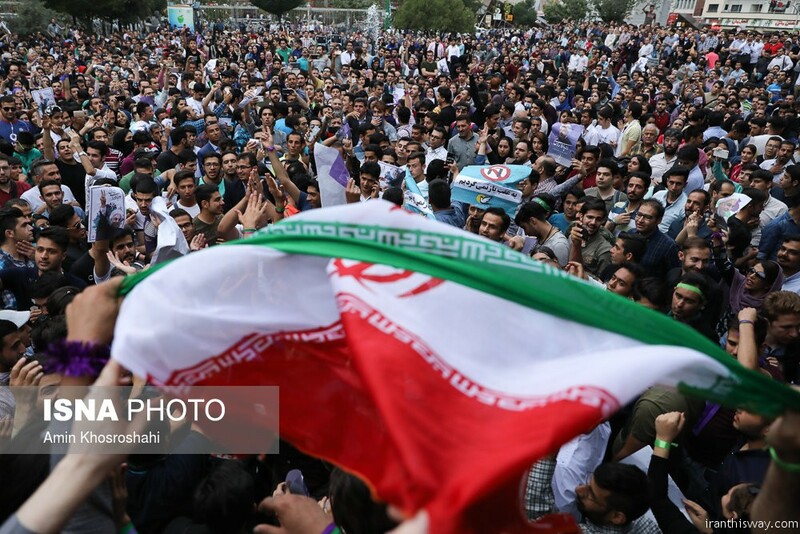 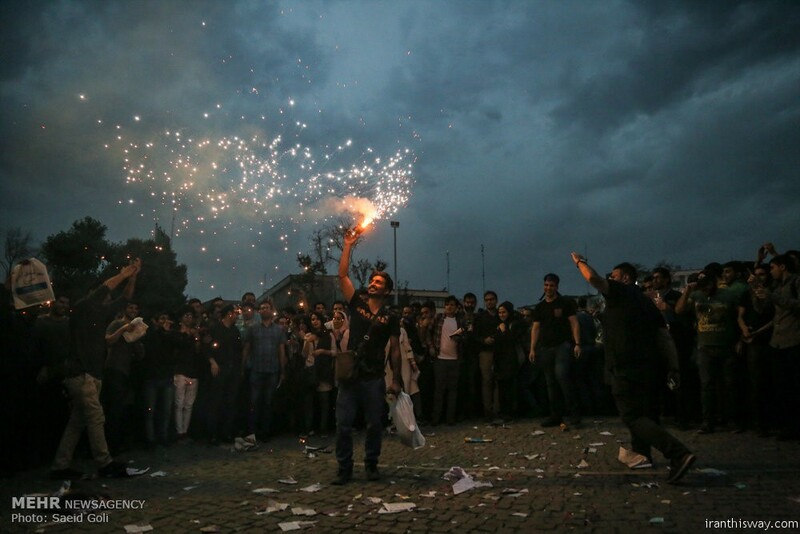 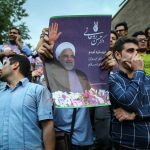 The impromptu rallies, which snarled traffic in some cities including the capital Tehran, were a chance for many to breathe easily again after a tense campaign between Rouhani and his main opponent Ebrahim Raeisi. 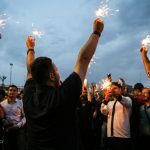 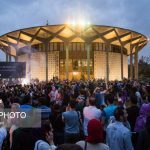 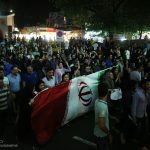 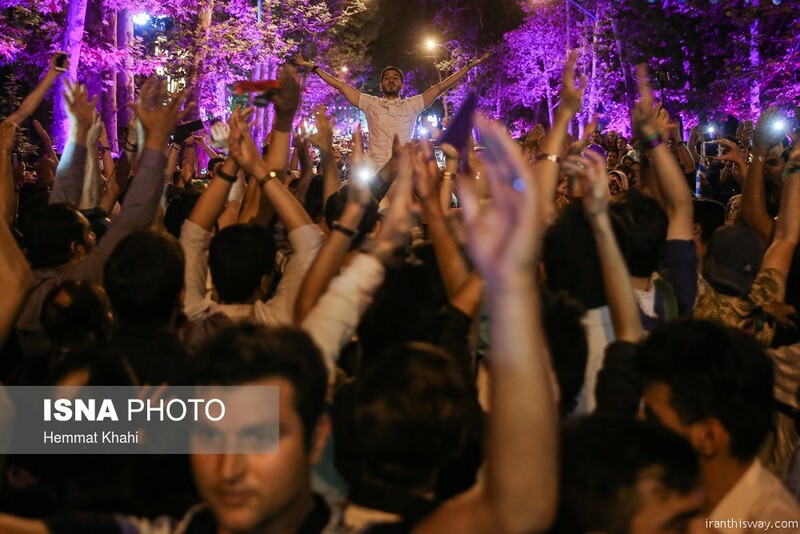 “I’m happy and a bit relieved after a month of stress,” said 27-year-old Afshin told AFP as he joined a large crowd gathered in Vali-Asr Square in central Tehran. 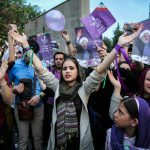 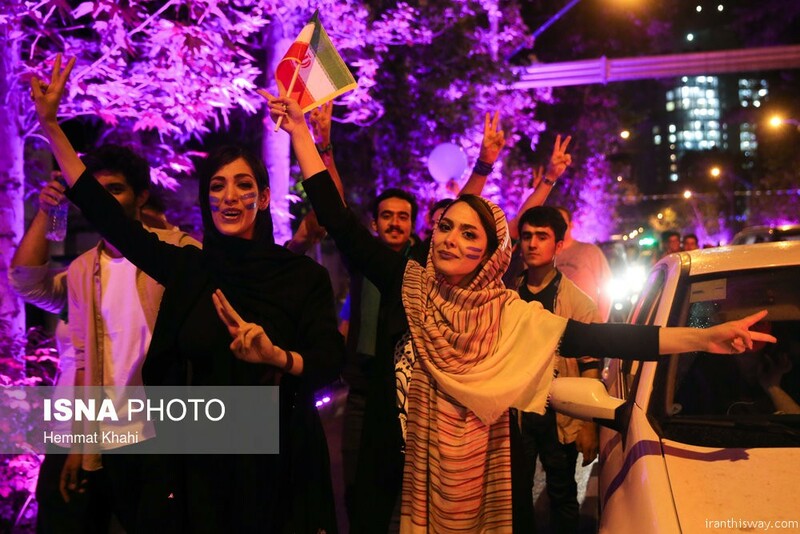 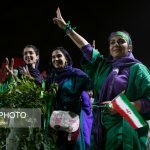 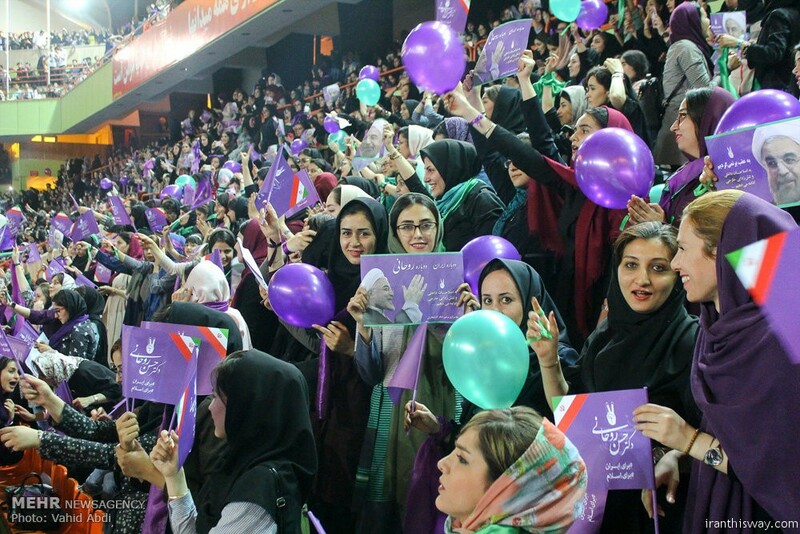 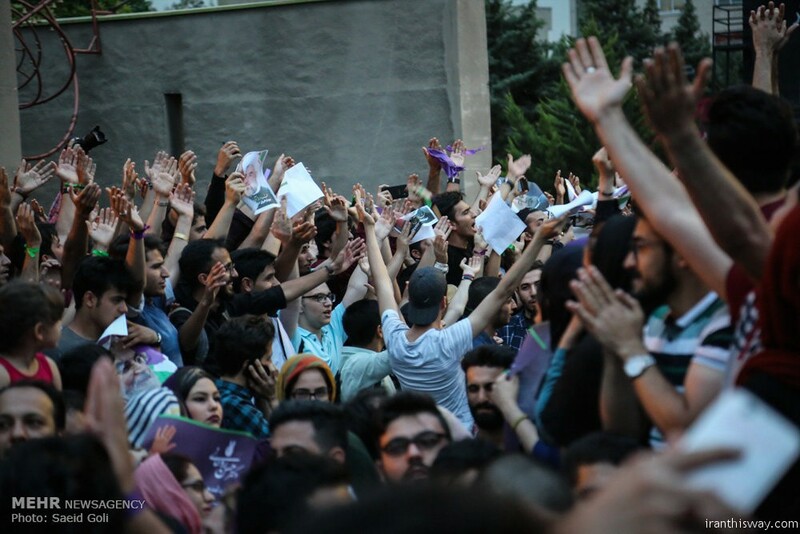 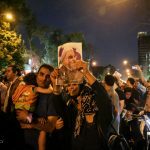 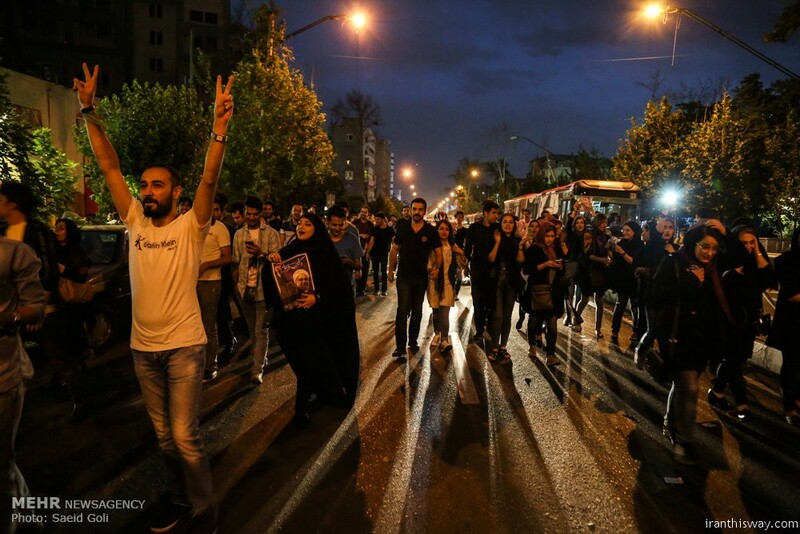 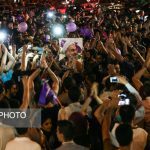 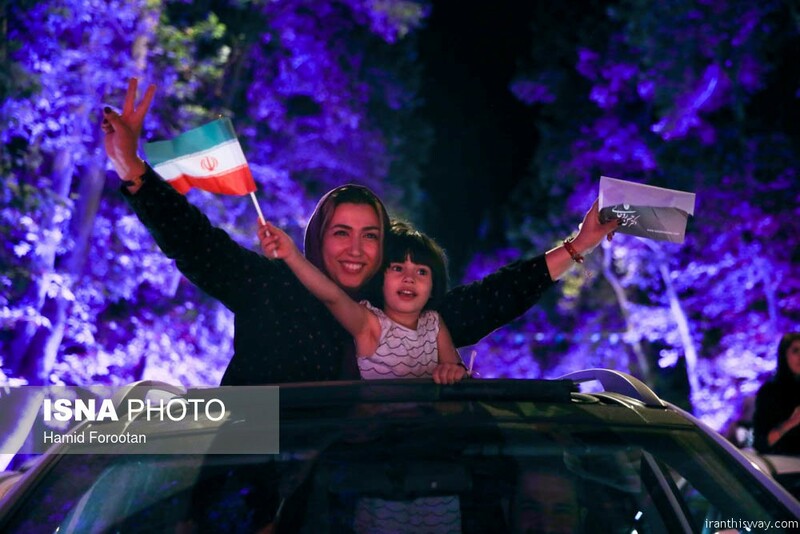 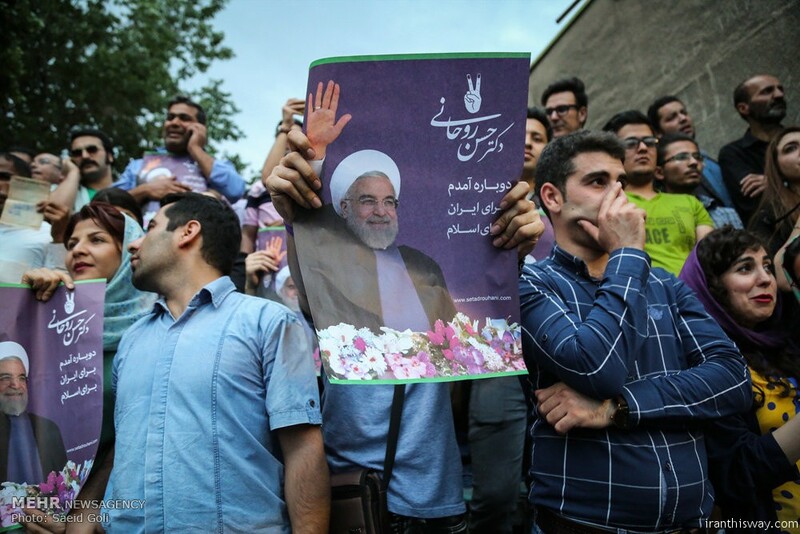 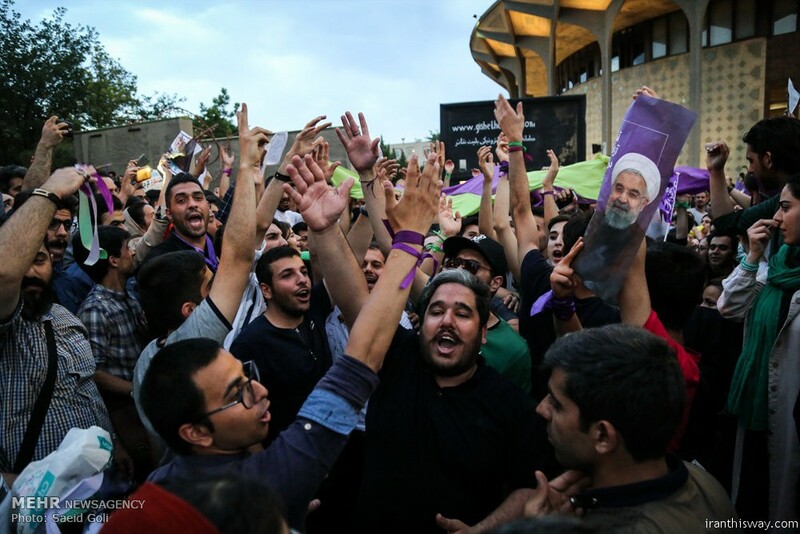 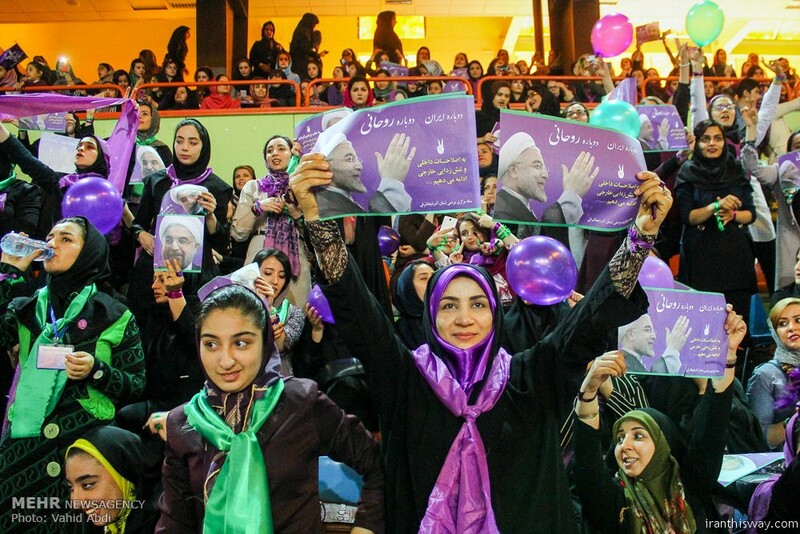 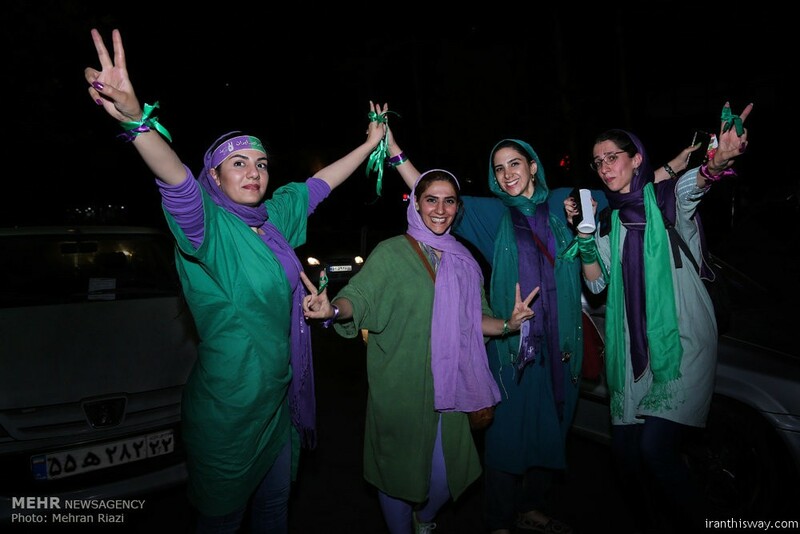 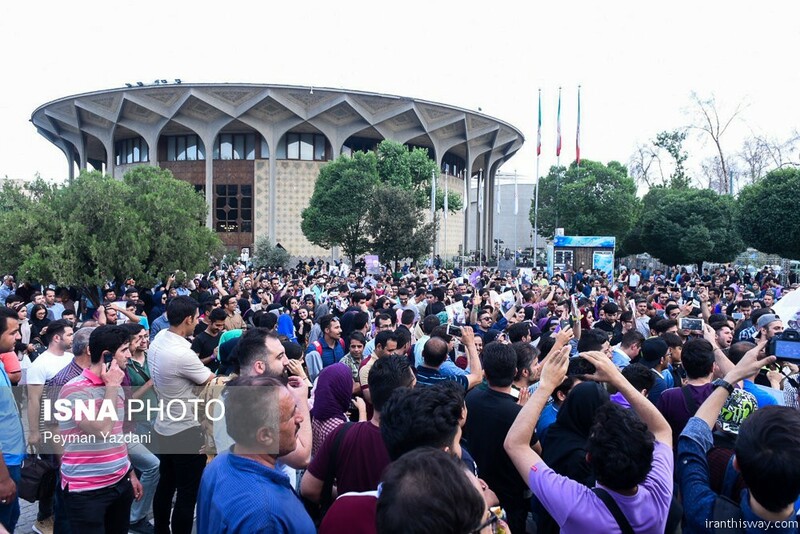 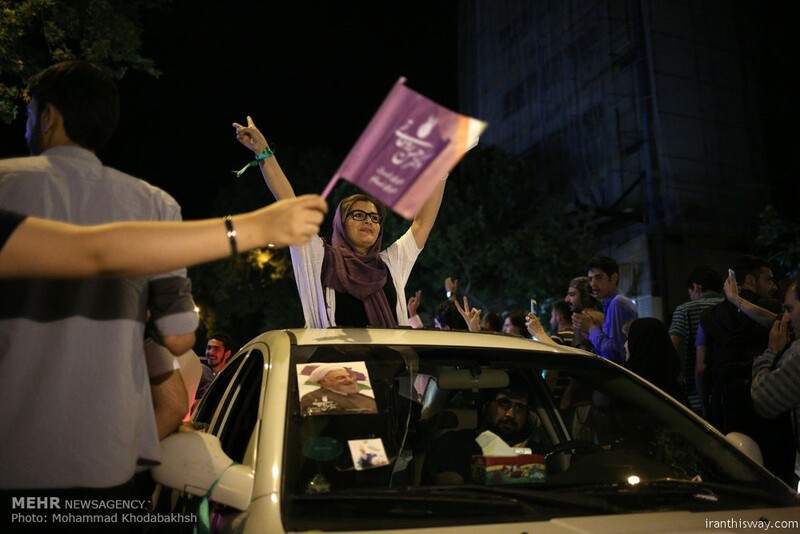 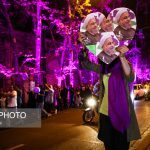 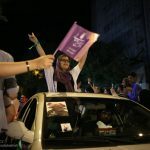 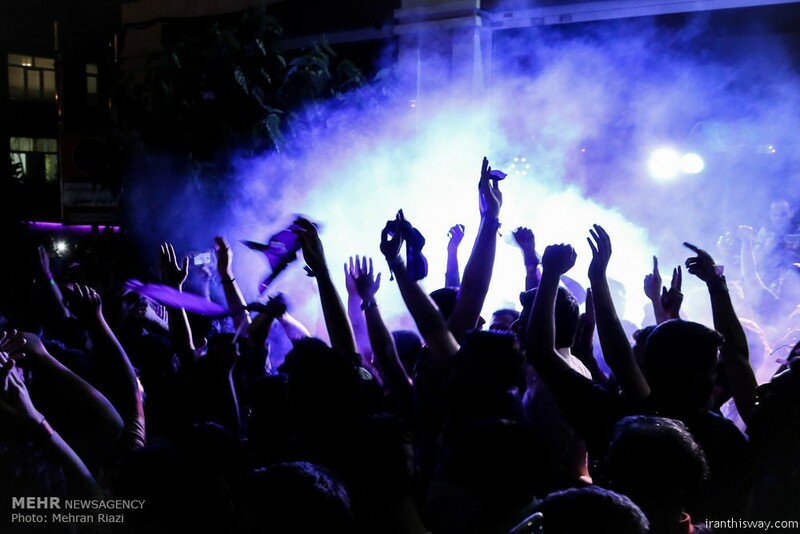 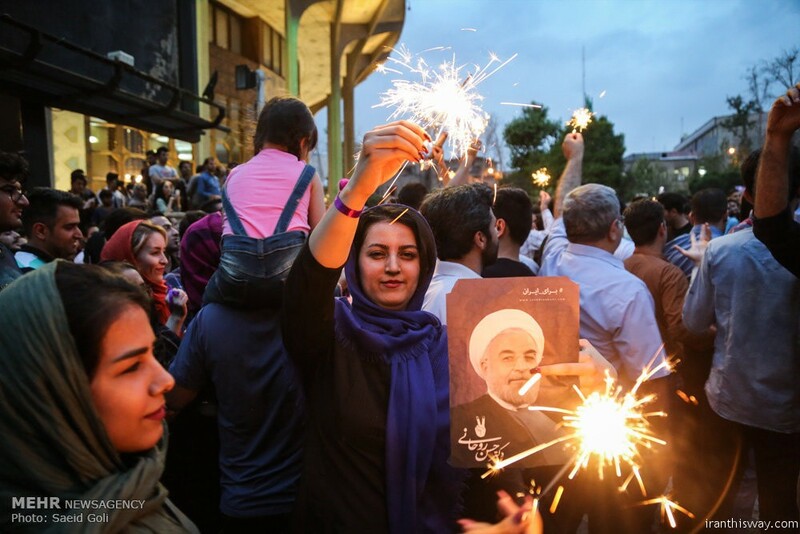 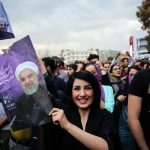 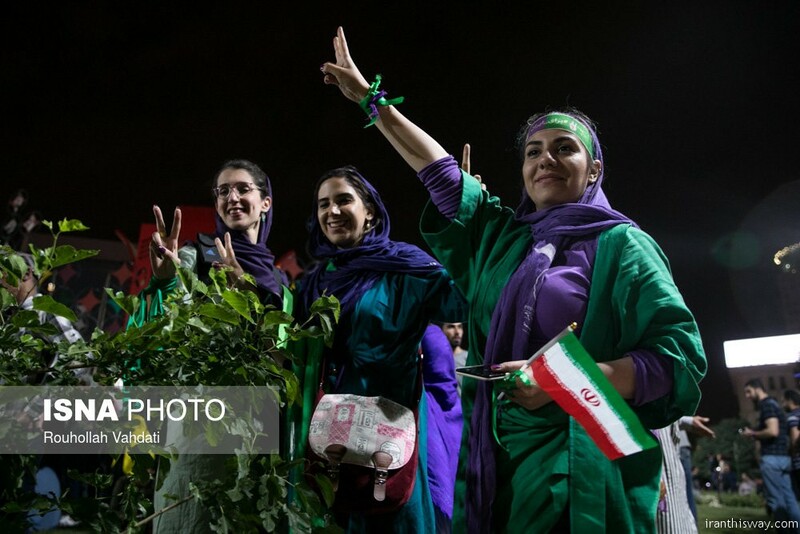 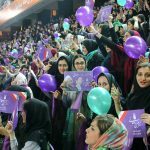 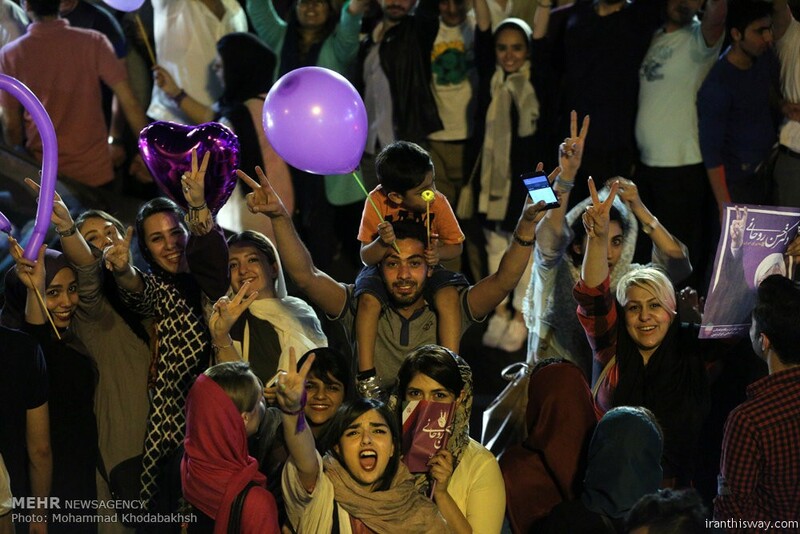 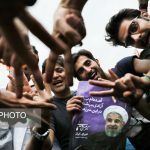 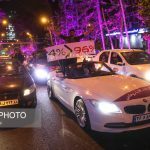 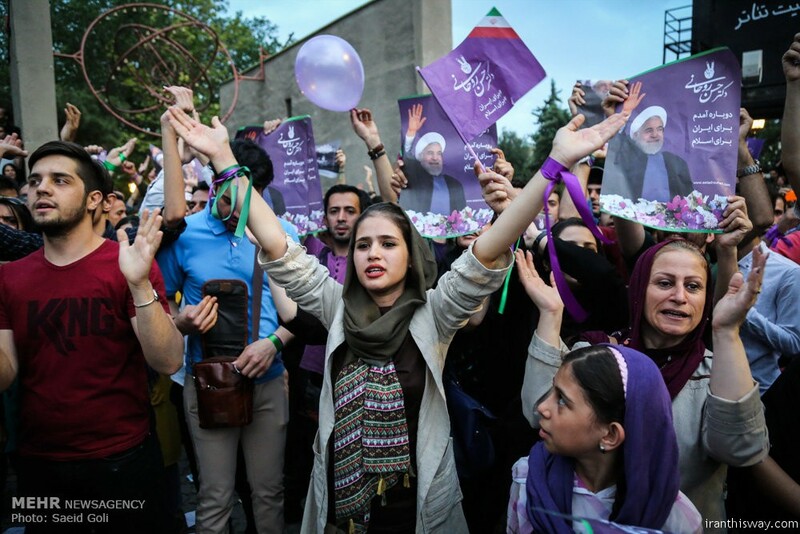 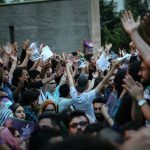 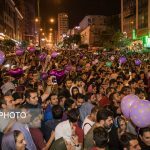 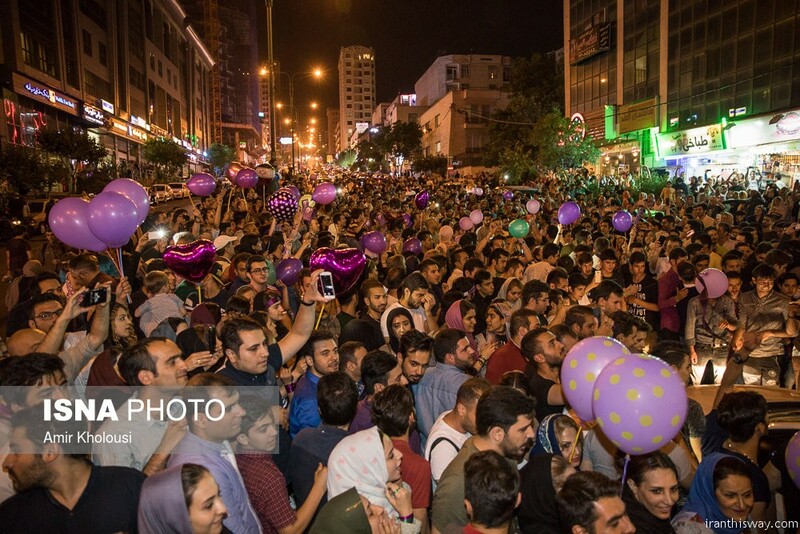 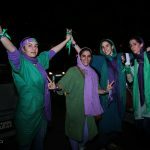 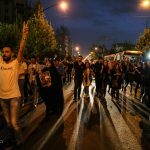 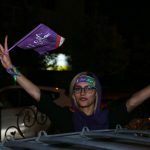 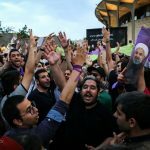 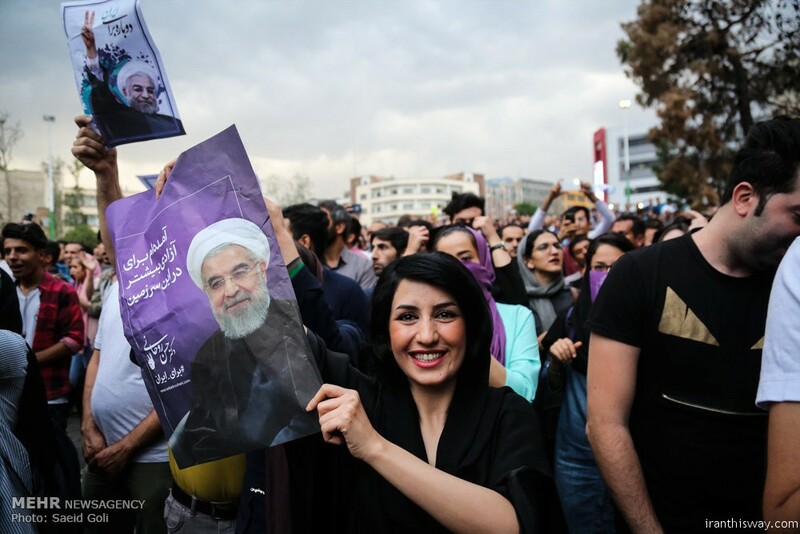 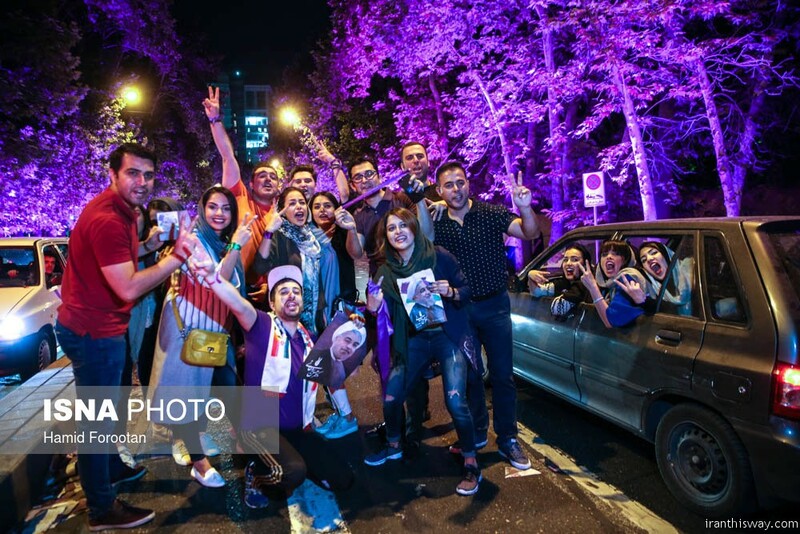 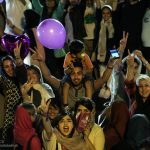 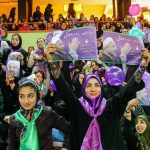 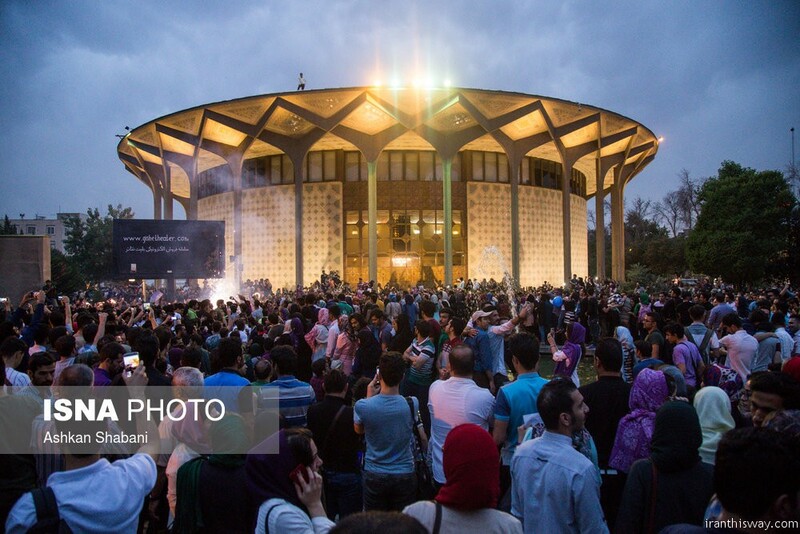 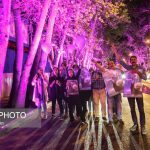 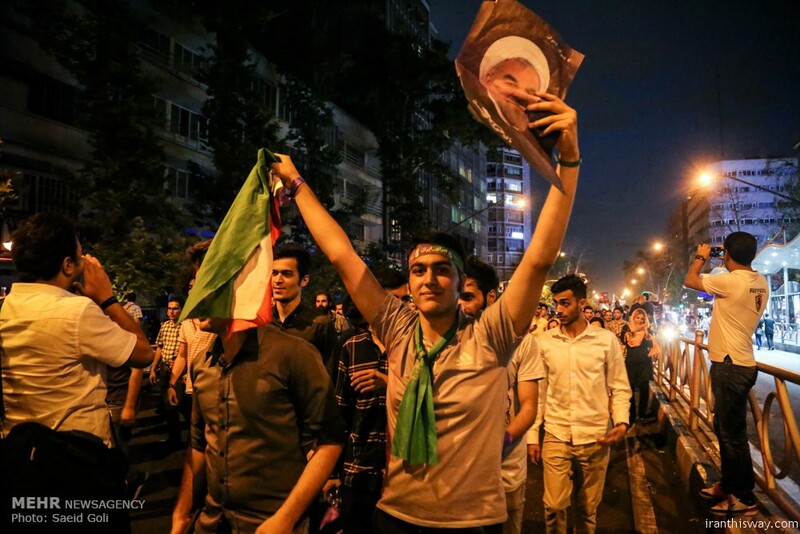 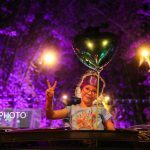 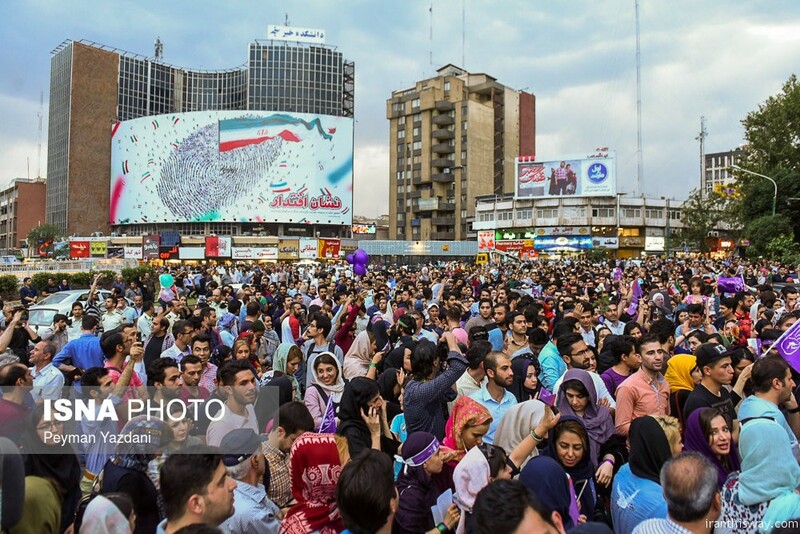 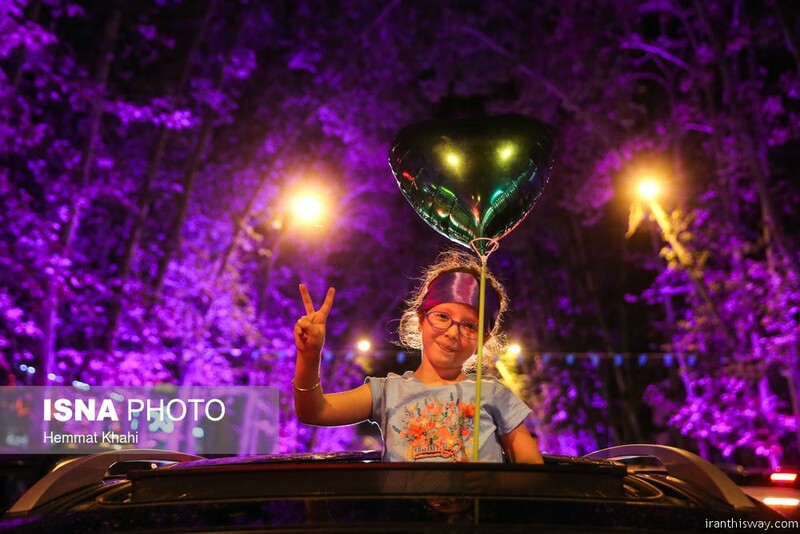 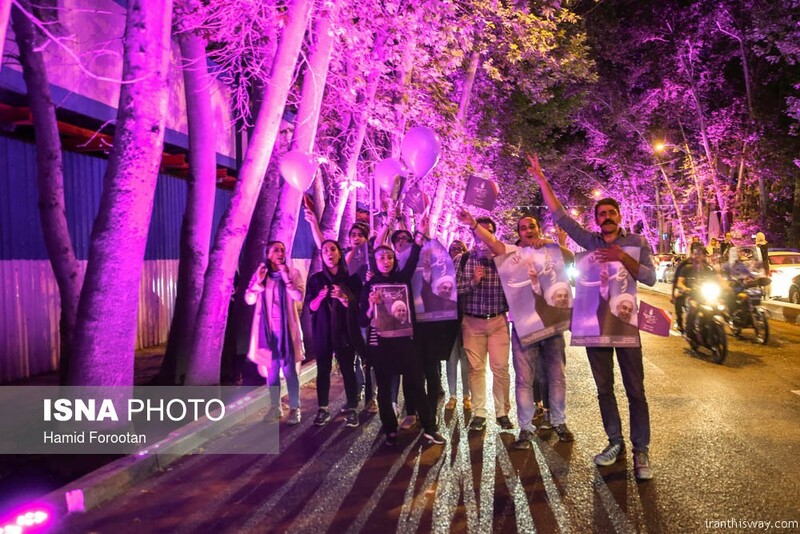 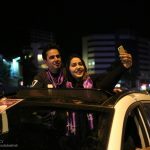 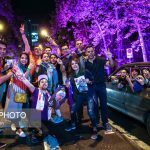 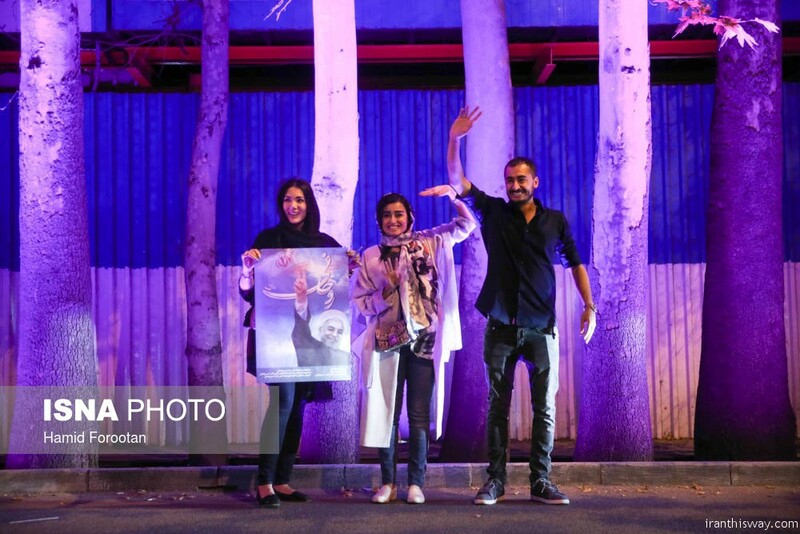 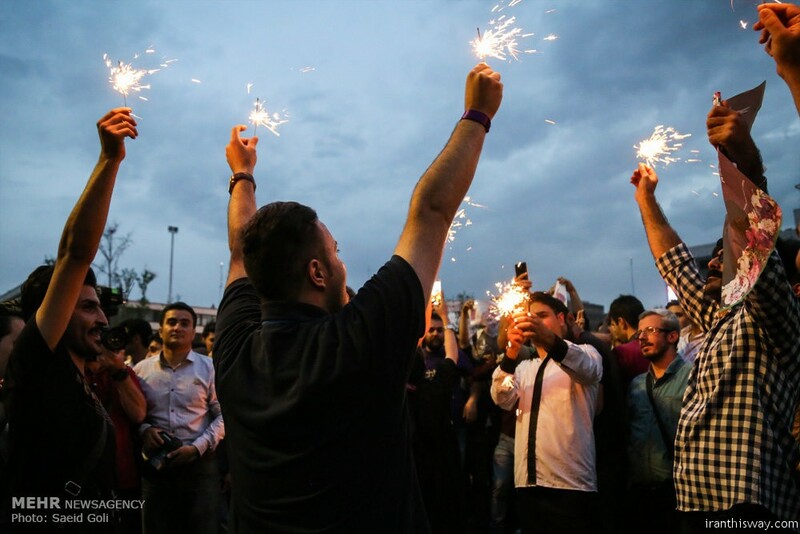 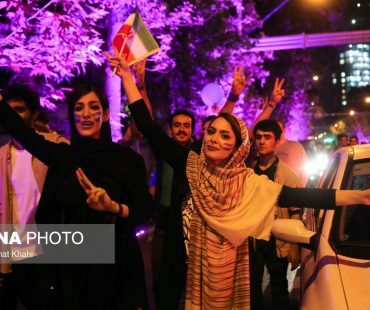 Across the country, young men and women, many wearing the purple of the Rouhani campaign, chanted slogans and sang together in the streets until the early hours of the morning. 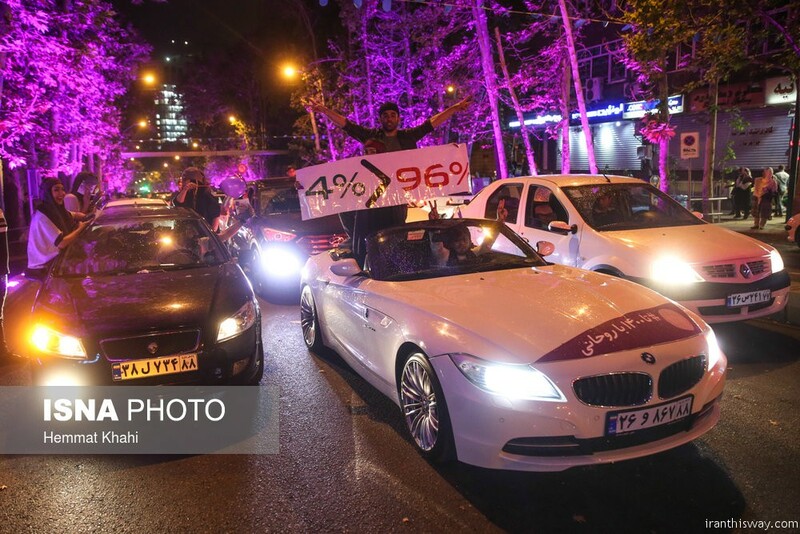 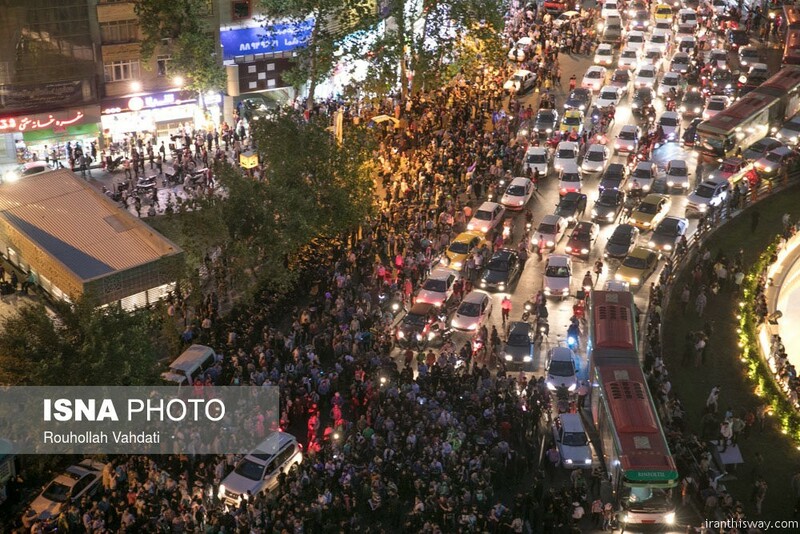 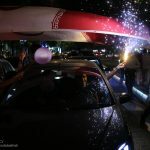 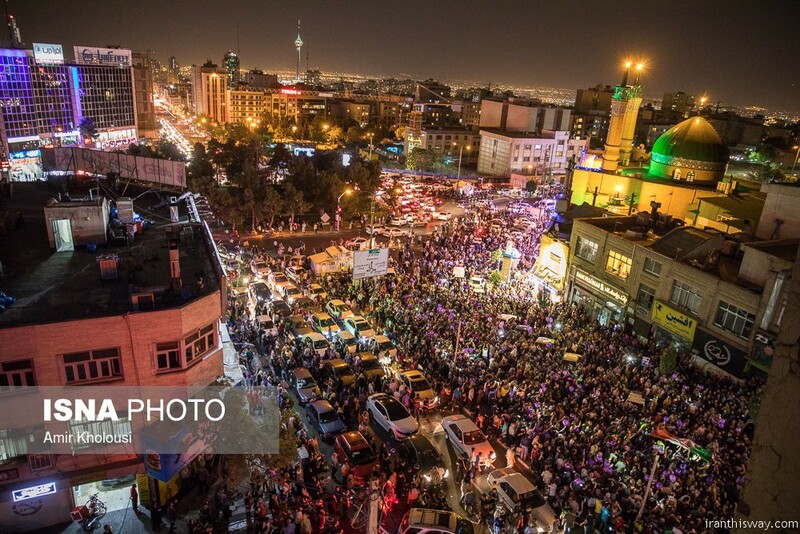 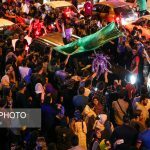 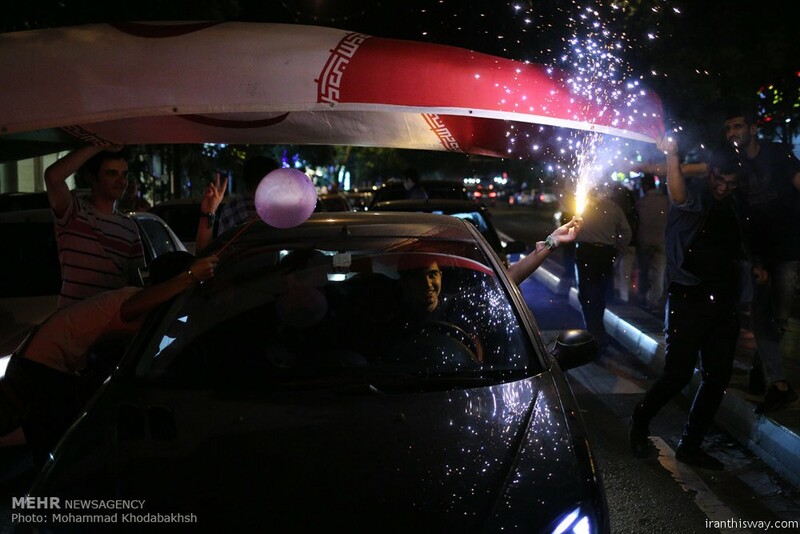 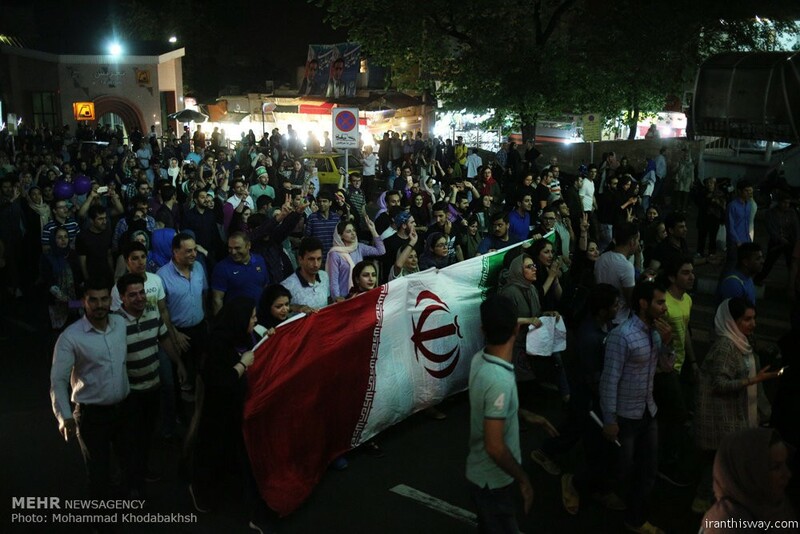 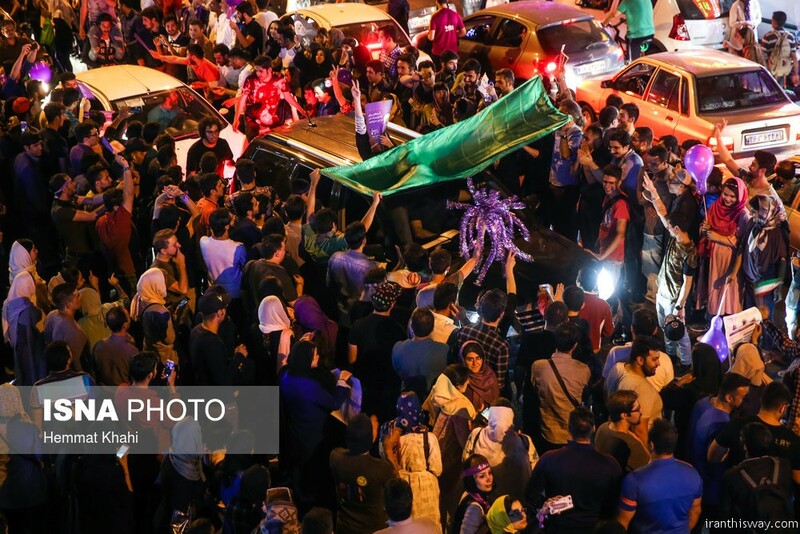 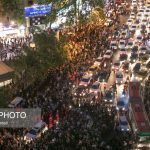 Cars honked amid patriotic chants as more and more people filled the streets after dark, completely blocking traffic across wealthier north Tehran. 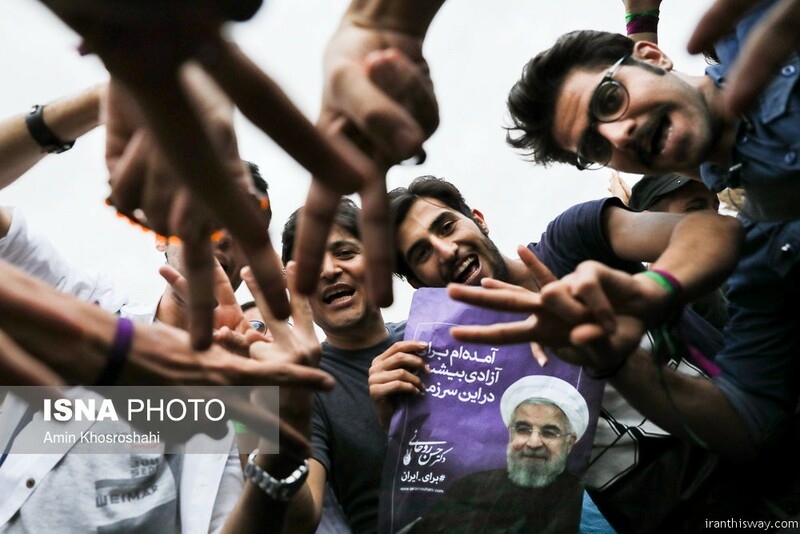 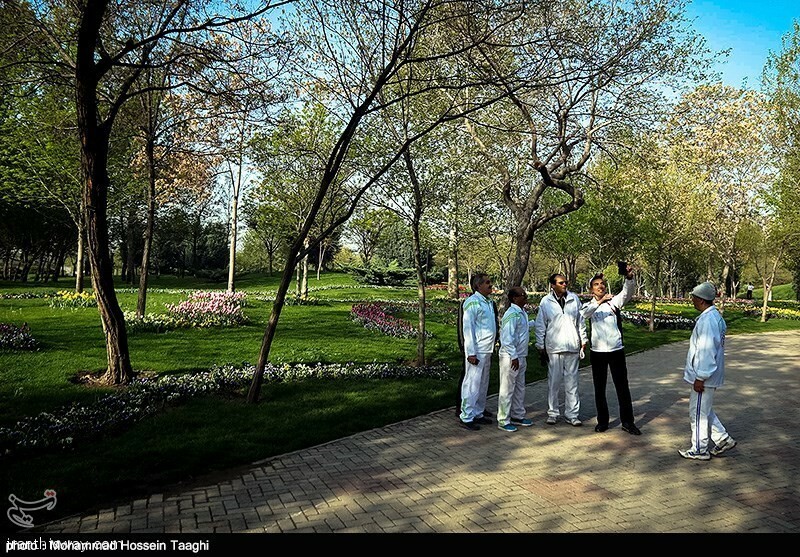 One group screamed with joy as a young boy threw batches of Rouhani photos into the air. 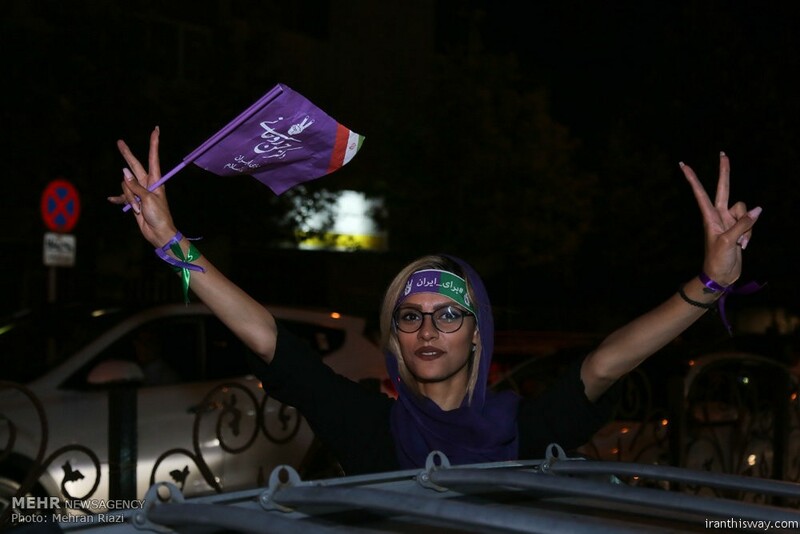 “I’m very happy because I’ve reached what I wanted, which was not Mr. Rouhani himself, but the path of reform, freedom and progress,” said Pegah, 25. 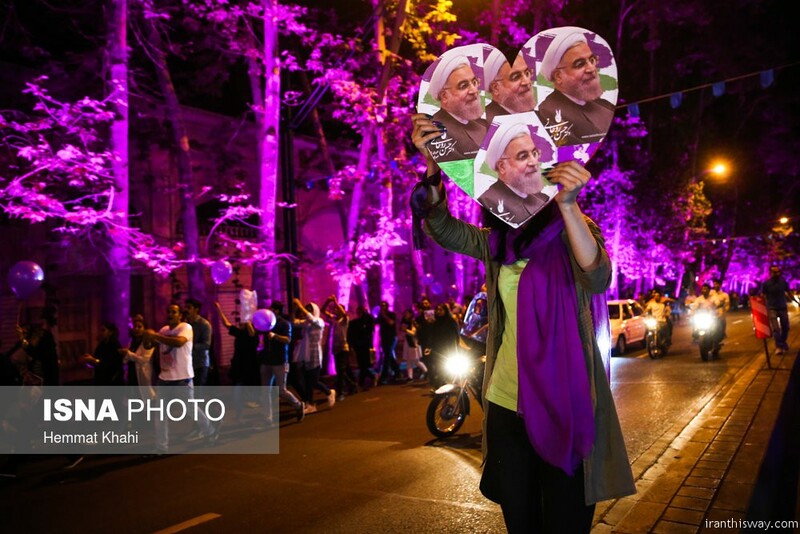 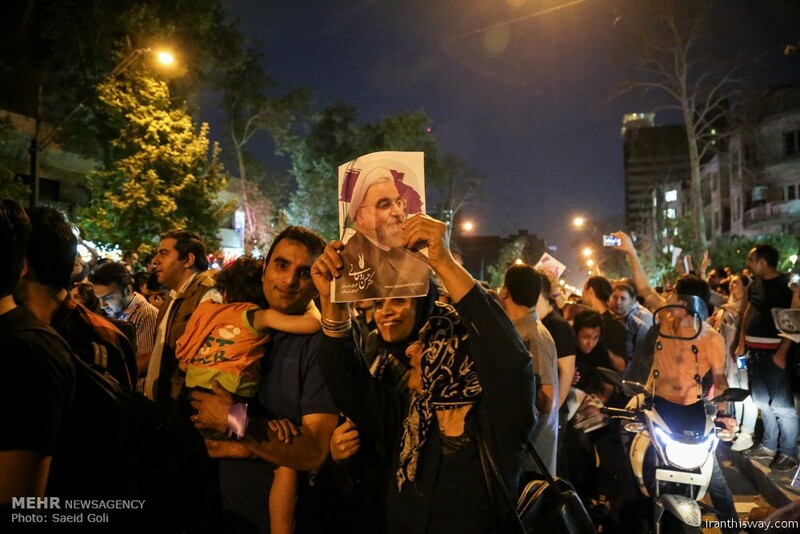 Many were determined to ensure Rouhani now kept his vows to improve civil liberties and reform the economy. 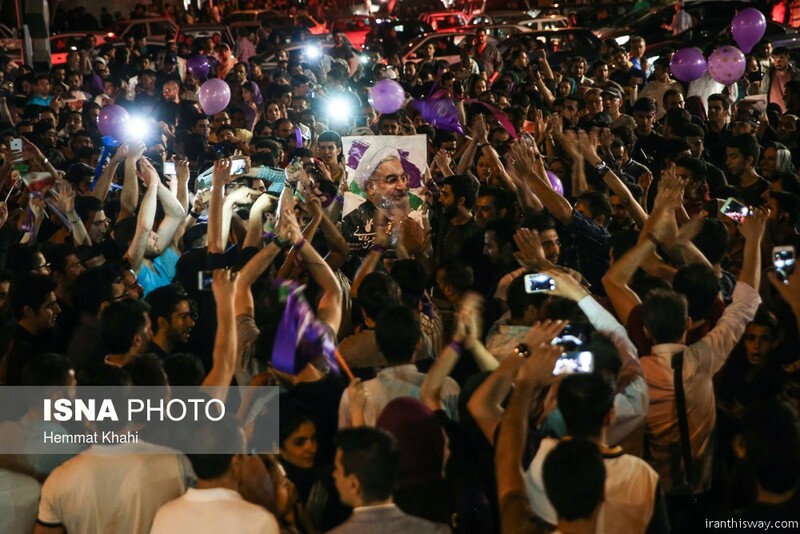 “In the same way we campaigned for him, we will demand he keep his promises,” said Afshin. 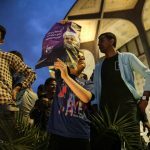 Videos on social media showed huge crowds in all four corners of the country. 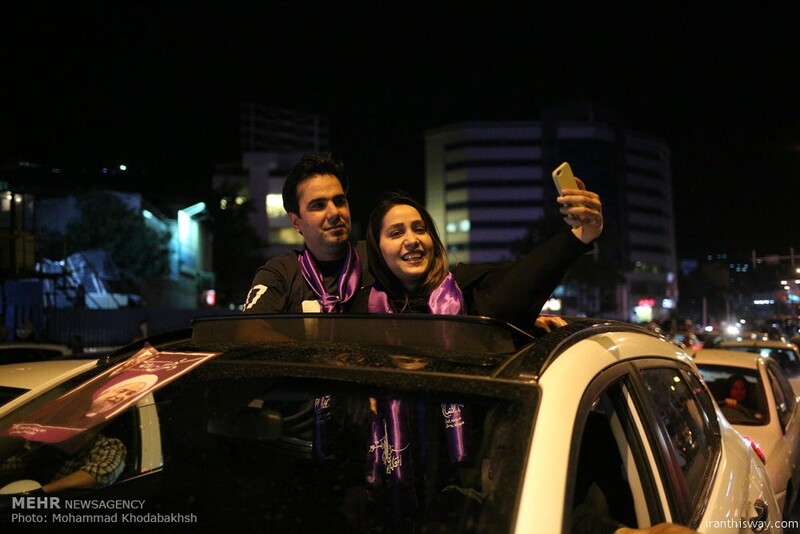 “We didn’t leave Mashhad; we took it back,” chanted young people in the holy city of Mashhad, Raeisi’s hometown. 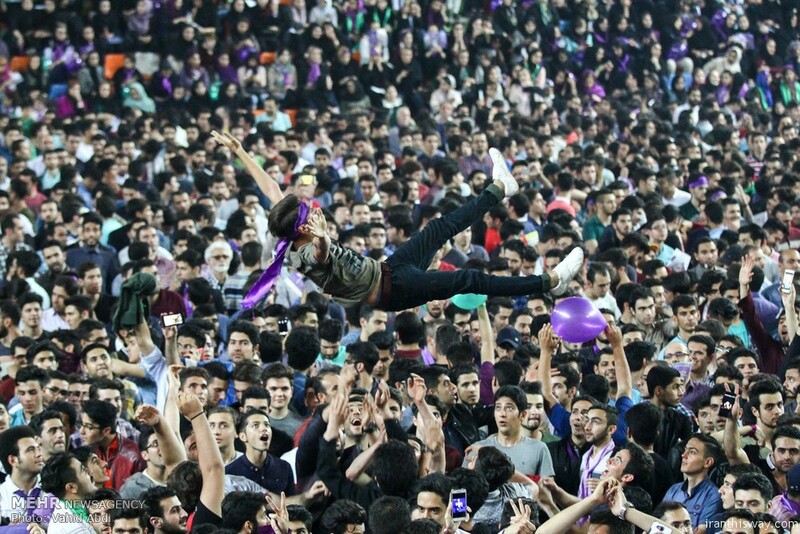 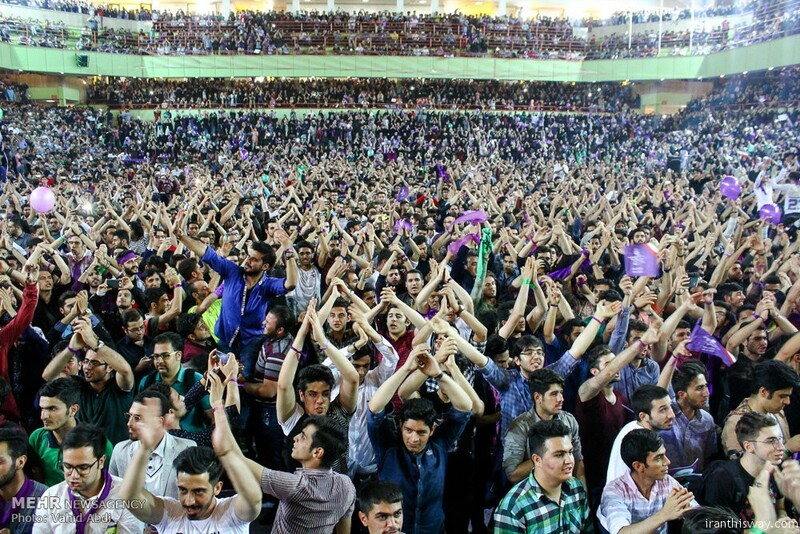 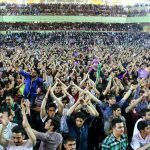 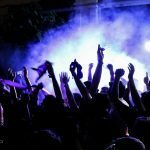 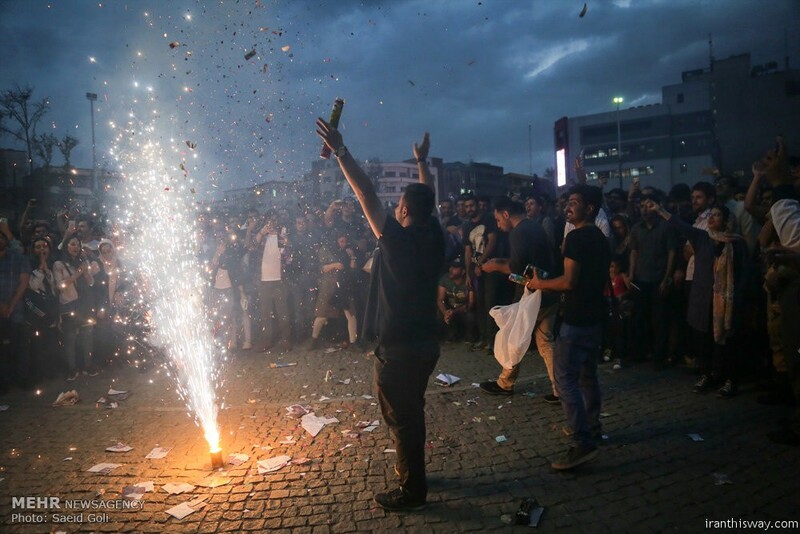 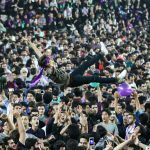 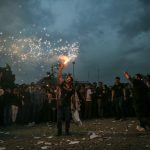 In the Azeri-speaking city of Tabriz in northwest Iran, crowds performed folk dances and local songs at a packed stadium as teenagers waved lighters in the air, while in the southwestern city of Ahvaz, it was the drum-heavy Bandari music that got thousands of revelers dancing. 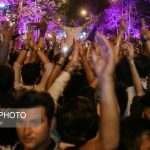 The police were deployed to control the exuberance, and despite a few scuffles, no arrests were reported. 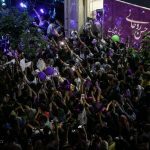 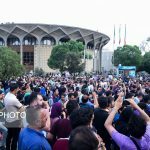 In Tehran’s Vali-Asr Square, police tried in vain to disperse the crowds, saying they lacked a permit to gather, only to back down when the numbers became too great, and let the party continue. 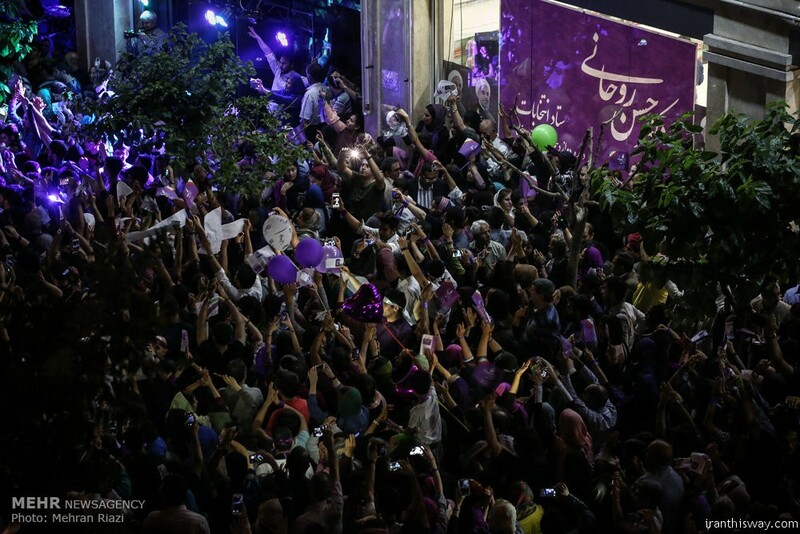 Rouhani garnered 23.5 million votes out of 41.2 million ballots cast, while Raeisi bagged 15.7 million votes. 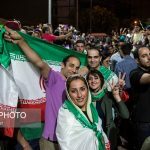 Iran has 56.4 million eligible voters. 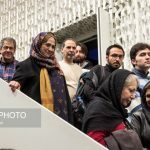 Leader of the Islamic Revolution Ayatollah Seyyed Ali Khamenei praised Iranians for their big turnout after voters queued up for hours to cast their ballots. 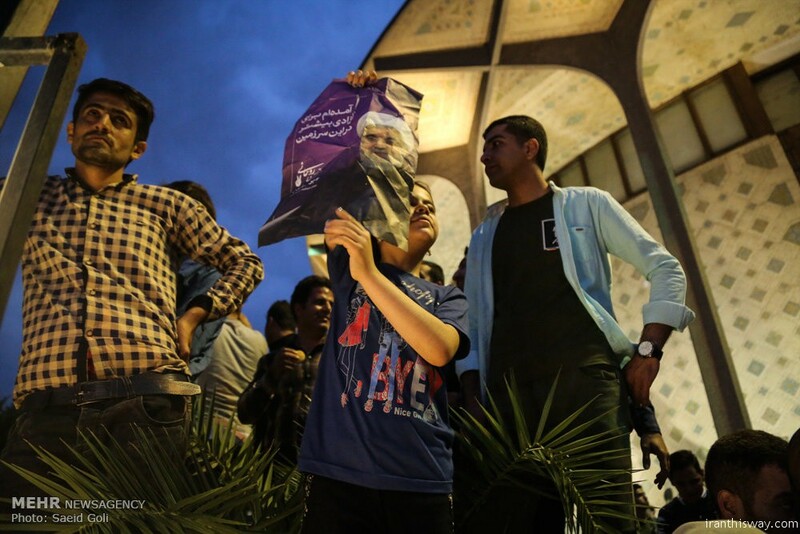 The strong turnout of around 73% of eligible voters was “massive and epochal,” he said. 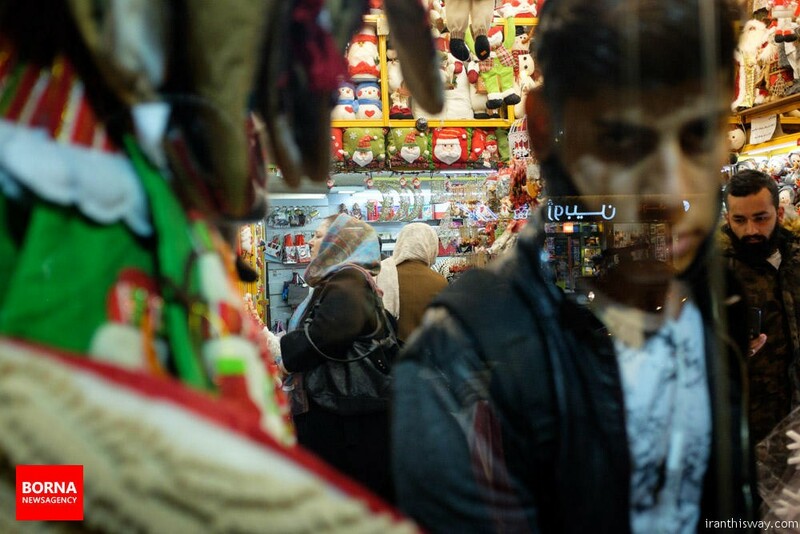 There are about 150,000 Christians living in Iran, most of them Armenians. 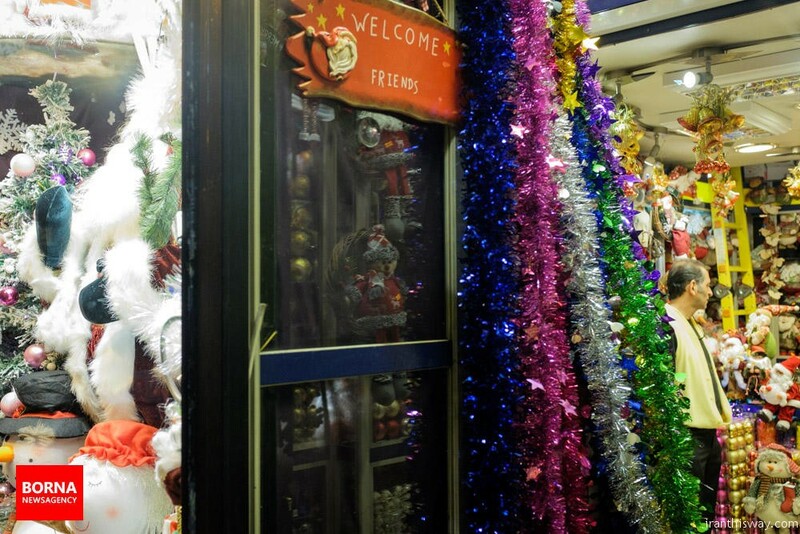 They mark the holiday at home and in churches across the country. 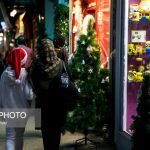 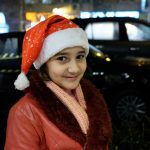 In fact, many Muslim families have adopted some Christmas customs, buying gifts for children and decorating their homes with Christmas trees. 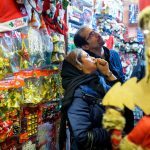 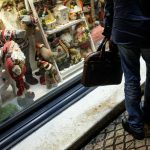 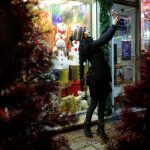 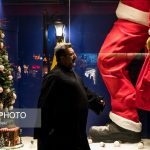 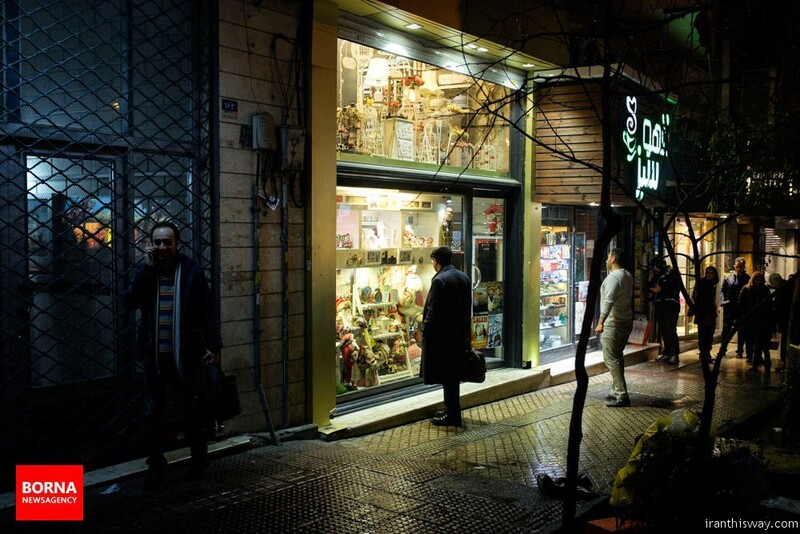 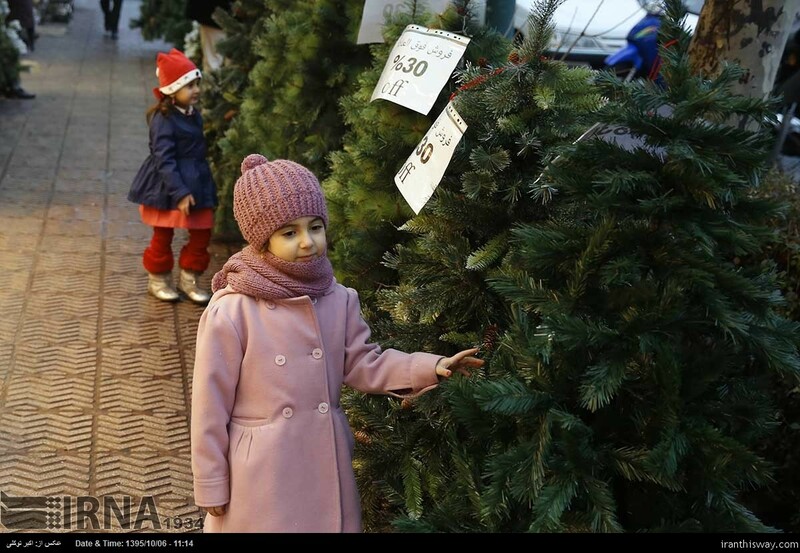 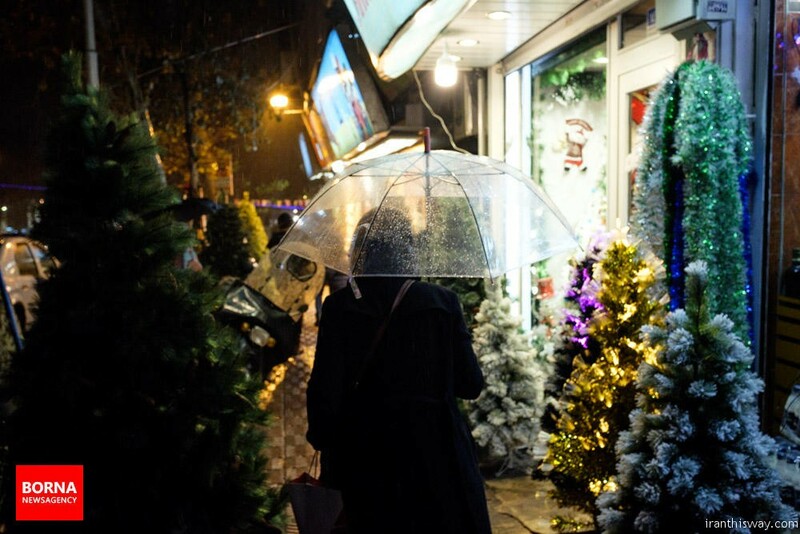 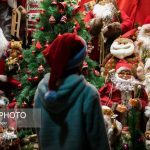 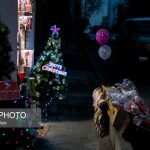 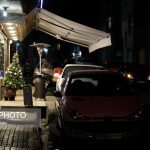 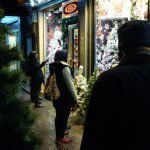 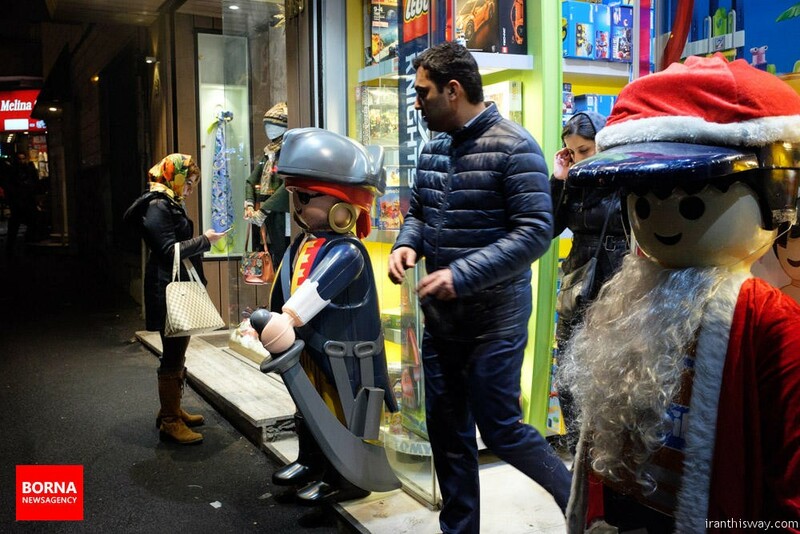 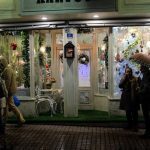 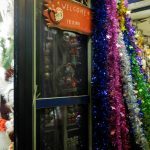 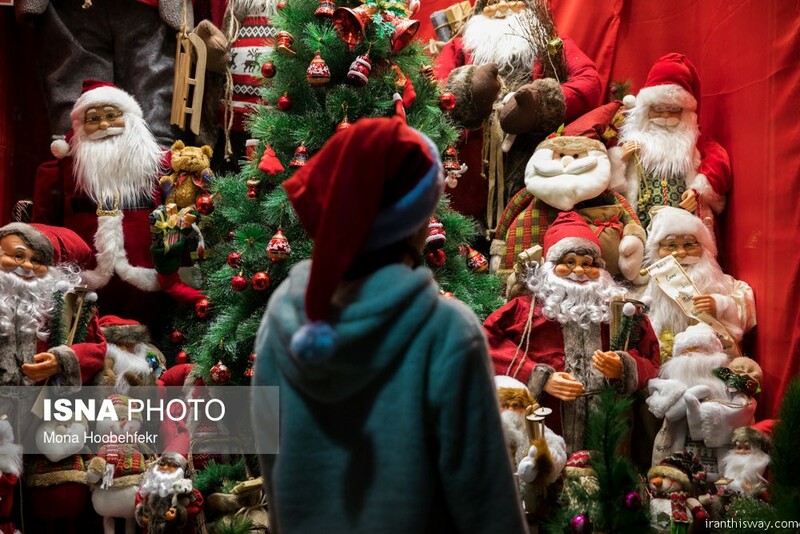 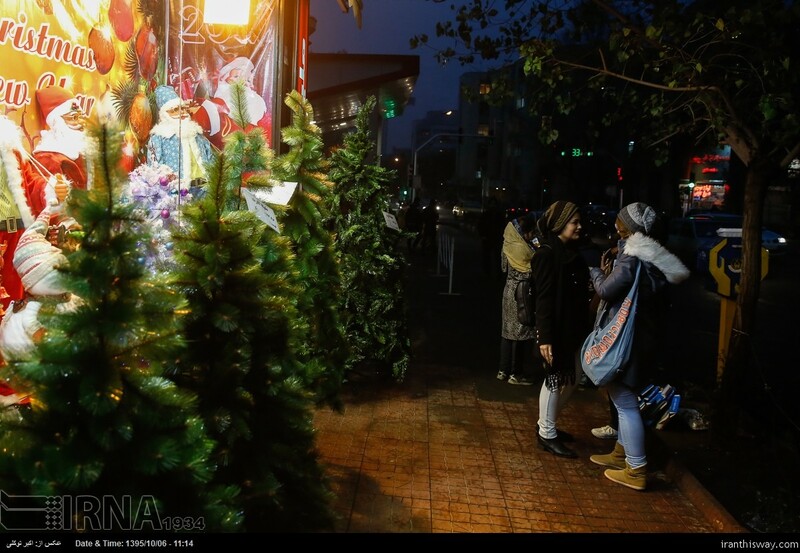 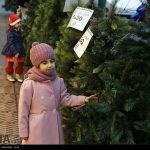 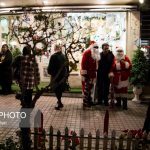 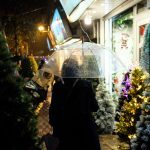 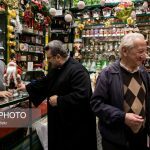 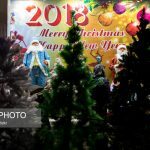 Iran’s Christian Armenian minority has been storming the gift shops in Tehran, buying them out of all their ornaments, Santa figures and pine trees to hang in their stores and homes. 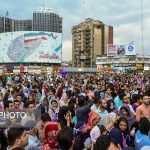 Iran could become the leading tourism market in the Middle East and North Africa region, says an international market analyst. 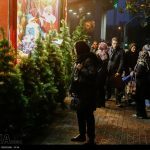 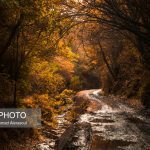 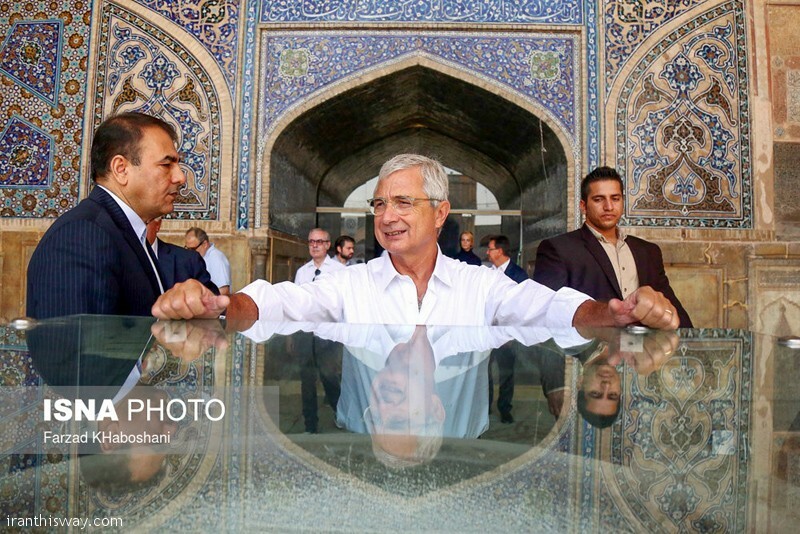 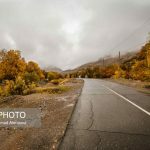 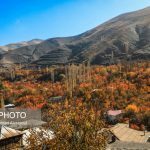 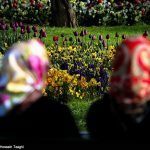 Euromonitor International’s full report on travel and tourism in Iran outlines the way ahead, and the threats to achieving the country’s goal of attracting a huge increase in tourists by 2025, amounting to 35 billion US dollars a year. 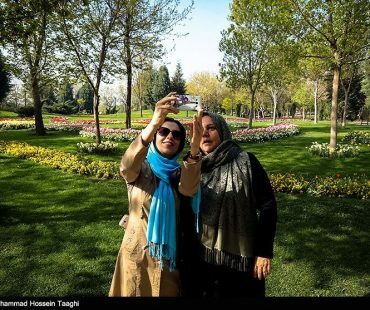 Tourism currently accounts for less than eight billion dollars. 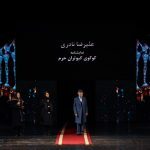 The report will be a main focus for discussion at the inaugural Iran Hotel & Tourism Investment Conference (IHTIC) being organized by Bench Events on 7-8 February – a new high-level gathering of international investors, consultants and local leaders in the hospitality industry, who will come together to meet each other and discuss how to develop the country’s tourism sector. 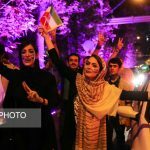 Iran offers a diversity that is unique in the region, according to the report. 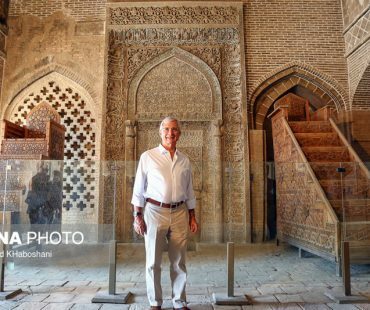 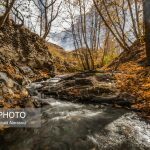 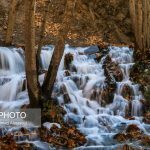 Blending Persian and Arab cultures, the list of attractions is long: from the great city of Isfahan, to the mountains of Damavand, the religious tourism site of Mashhad, and the island of Kish. 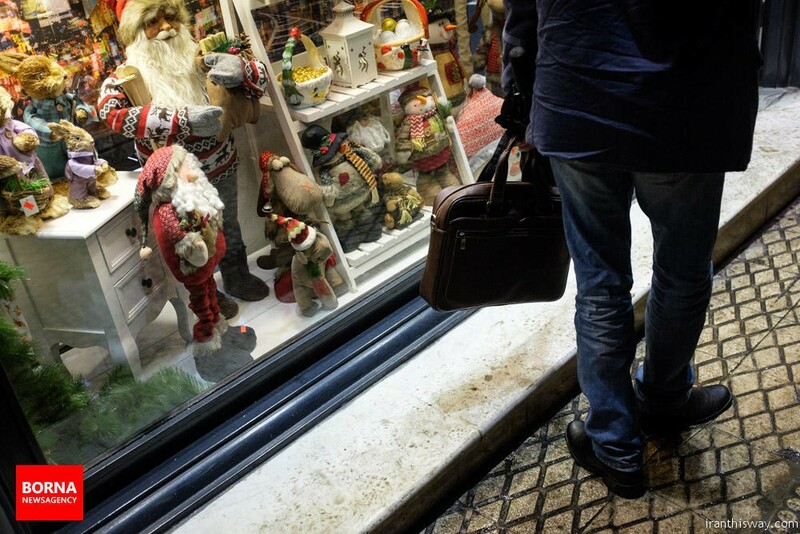 While the US still has sanctions in place, hotel groups headquartered outside the USA have already started to move in. 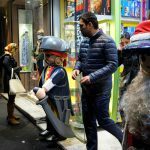 The French Accor group became the first in 2016. 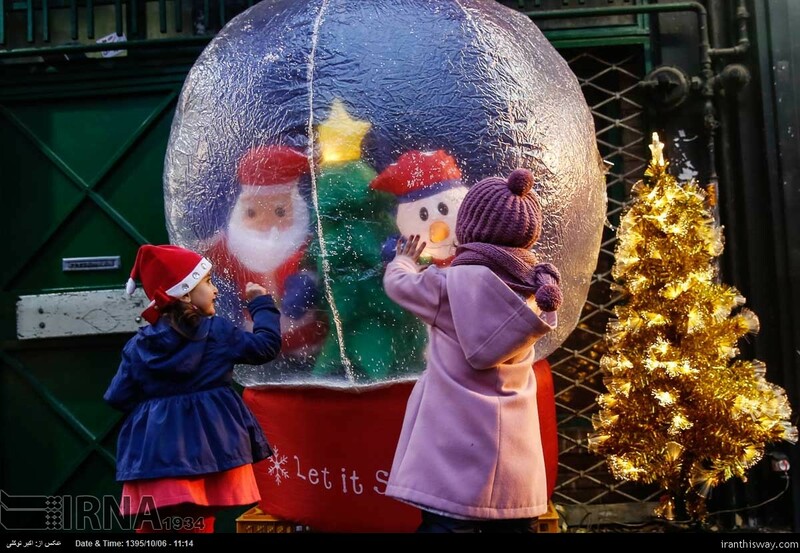 Others are following including the UAE’s Rotana and Spain‘s Melia. 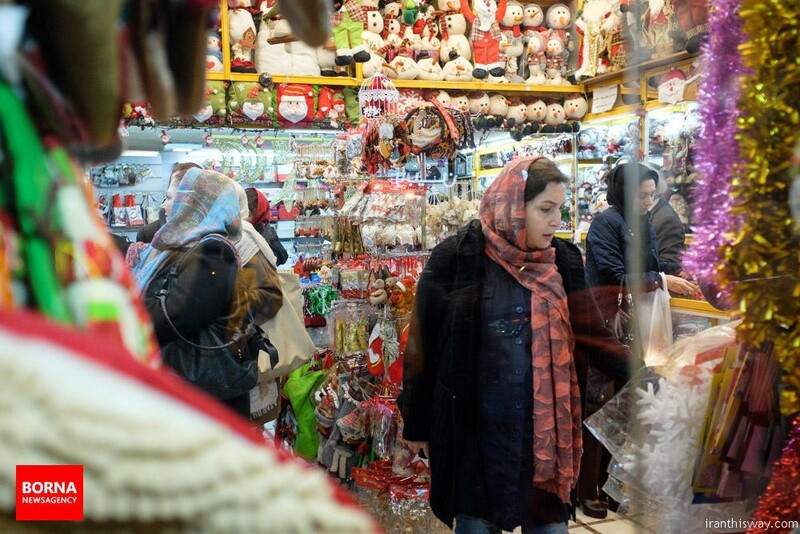 It’s expected that by 2018 Iran will have six different international brands. 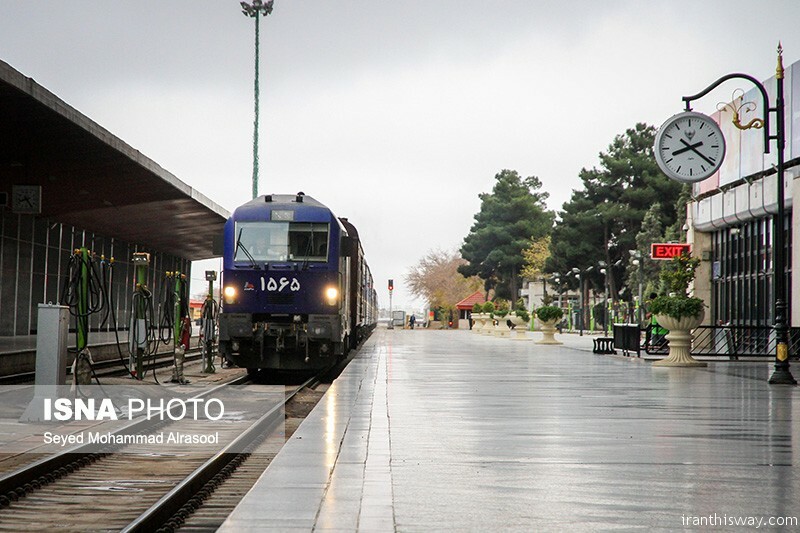 In response, the country is trying to move fast to develop its infrastructure including increasing airport capacity at Tehran, Isfahan, Tabriz, Mashhad and Shiraz. 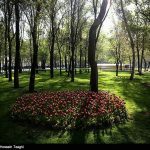 Iranian airlines has purchased more aircraft as international airlines start to focus on the market, including British Airways, which recently launched daily flights to Tehran. 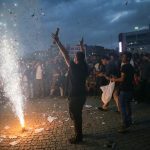 But there are weaknesses, according to the Euromonitor report. 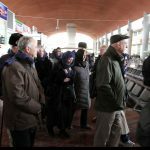 Airport capacity is still limited and more investment is needed. 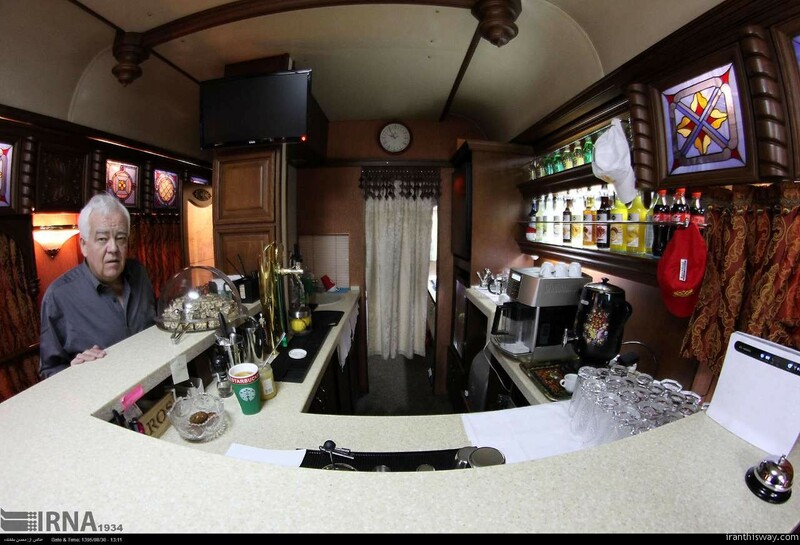 The hotel market is massively under supplied often with poorly trained staff. 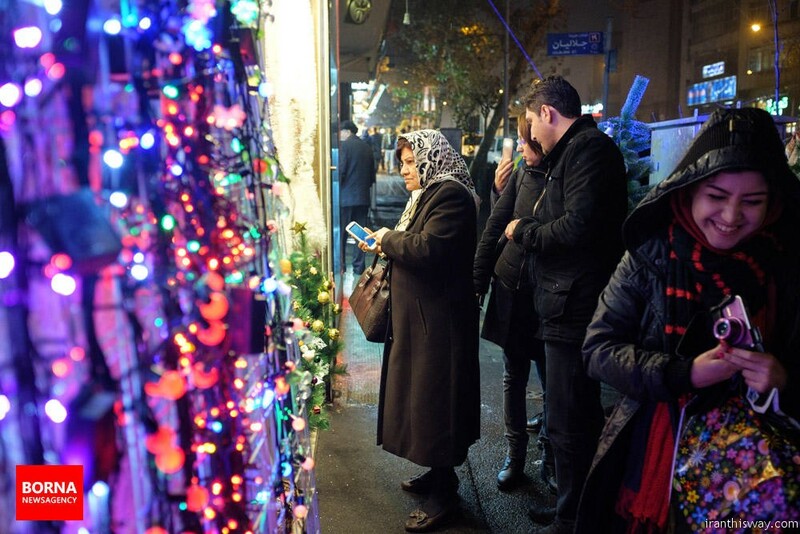 And Internet infrastructure – especially online payment systems – is underdeveloped as a result of banking sanctions. 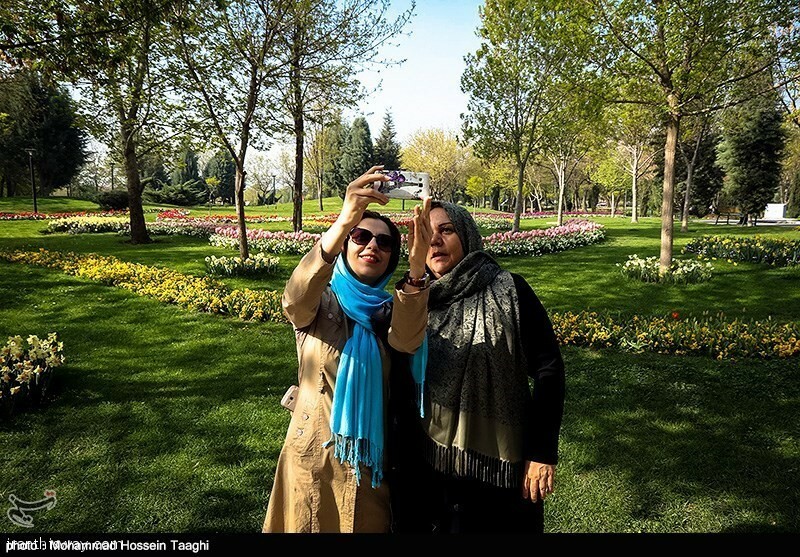 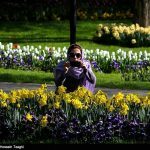 The report says the current Iranian government wants to encourage international tourism – apart from anything else, it needs the revenue. 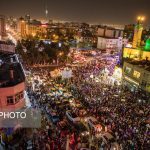 It is backing – politically and financially – a cultural heritage organisation to co-ordinate 160 projects, including hotels. 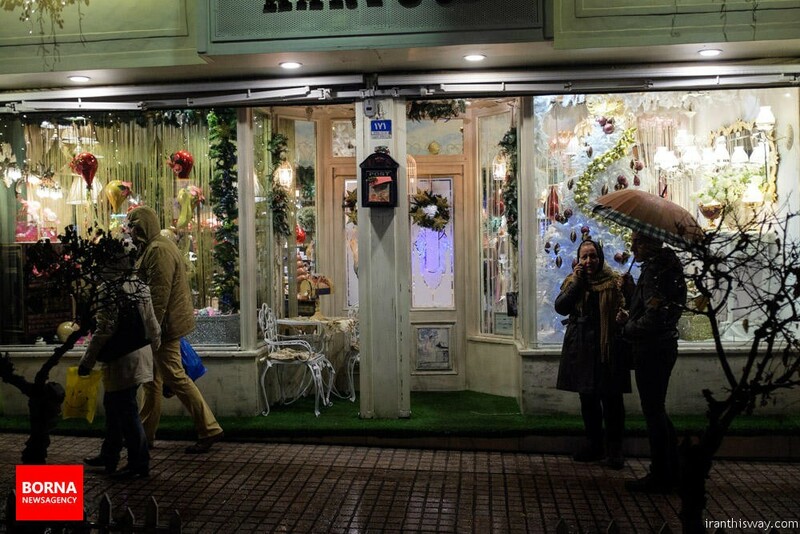 And it is advertising abroad. 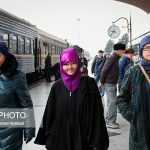 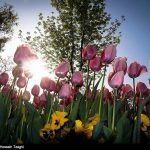 “With culture, ecotourism, and skiing, there are attractions across age groups, they can compete against many regional destinations, notably Egypt, Dubai, Oman and Turkey, the latter of which has recently faced an increase in terrorism. 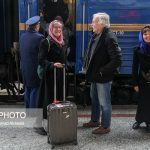 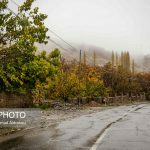 By contrast, Iran is considered to be a safe destination”, Nikola Kosutic added. 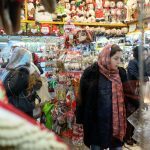 The largest source markets at the moment are Iraq and Azerbaijan, but the fastest growth has come from countries in Europe, and Americans are returning as well after decades of Iranian isolation. 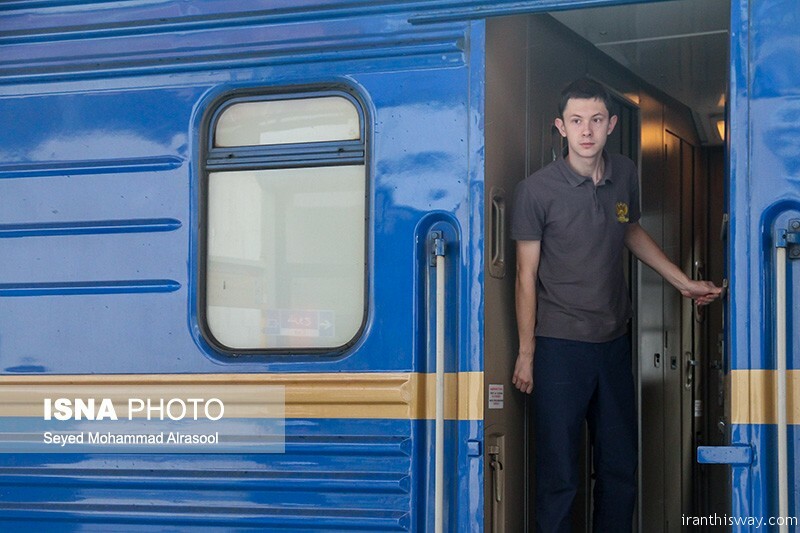 Nikola predicts that Russians will also arrive in big numbers. 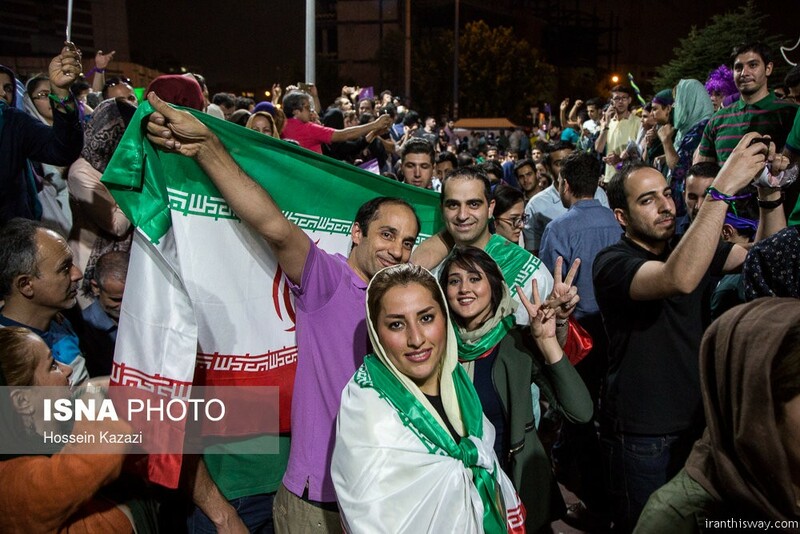 Visa procedures are being relaxed – Iran has started issuing 30-day visas for tourists from 58 countries on arrival. 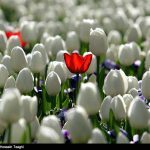 For investors things are not quite as easy. 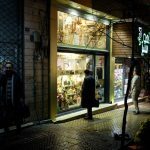 A reliable local partner – to navigate bureaucracy, business rivalry, and even corruption – is crucial. 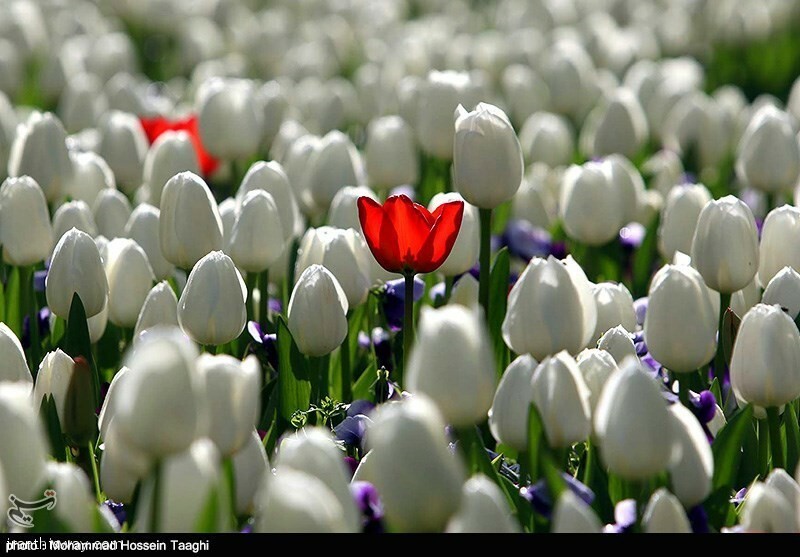 Without one, the task is impossible. 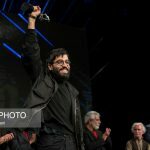 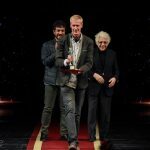 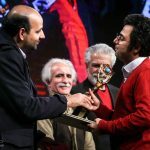 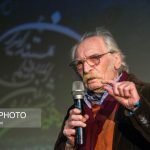 Filmmaker Saeid Kart has received three awards including the best director award for his “Avantage” in the national competition section of the 10th Cinema Verite, Iran’s major international festival for documentary cinema. 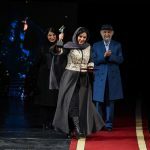 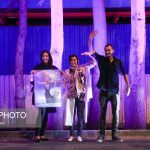 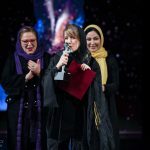 “Avantage” also brought the best music award for Saba Nedai and the best sound award for Arash Qasemi, the organizers have announced. 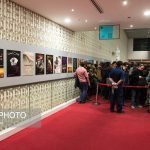 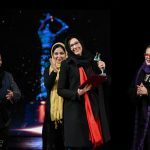 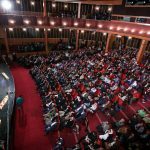 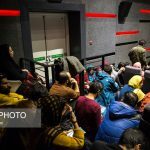 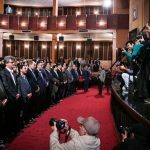 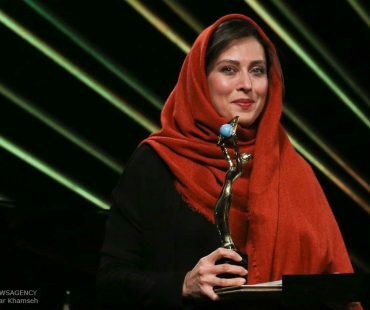 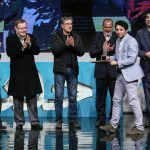 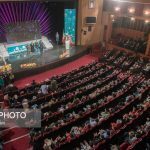 Winners were announced during a ceremony held at Tehran’s Art Bureau on Friday during a ceremony attended by large number of cineastes. 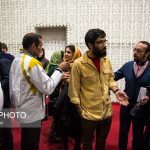 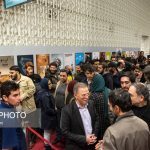 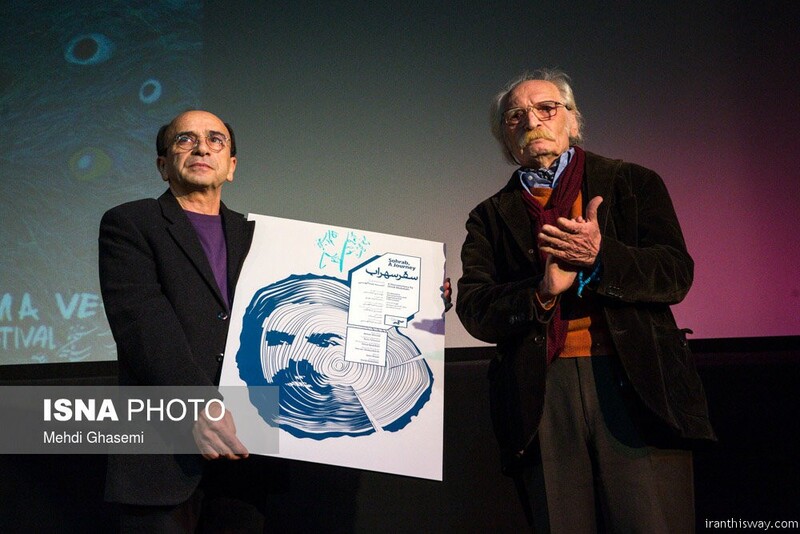 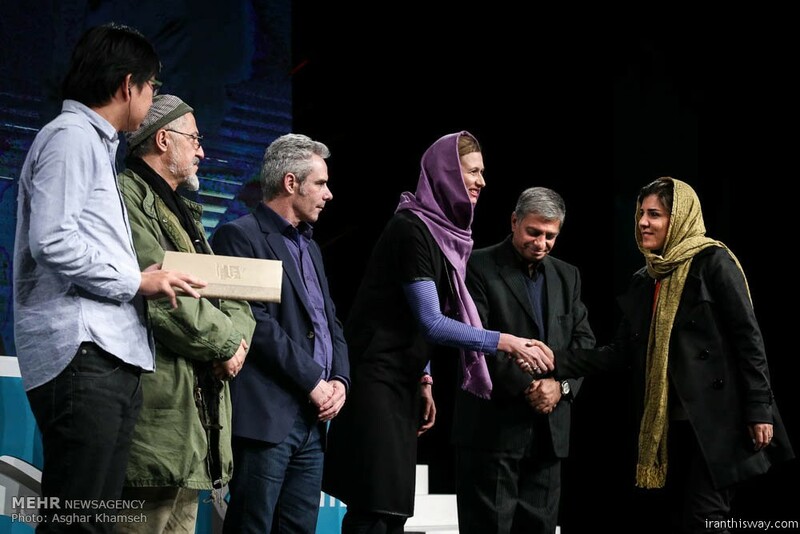 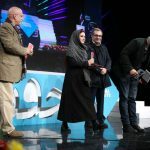 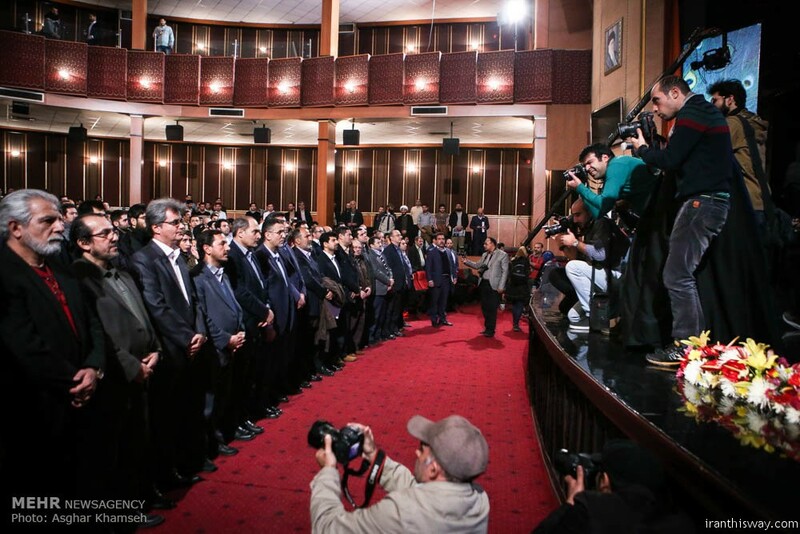 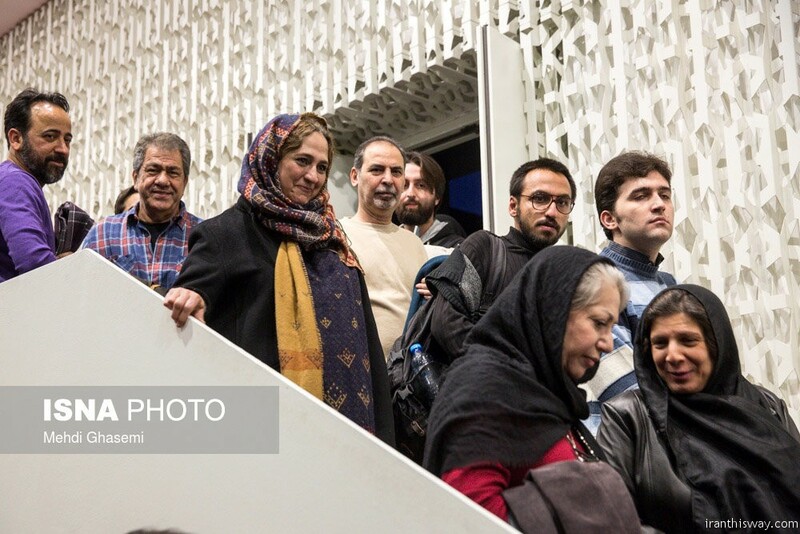 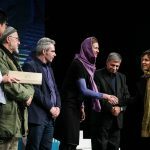 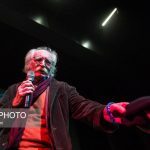 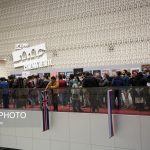 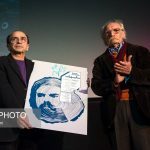 Cinema Organization of Iran Director Hojjatollah Ayyubi and Documentary and Experimental Film Center (DEFC) Director Mohammad–Mehdi Tabatabainejad were among the officials participating at the ceremony. 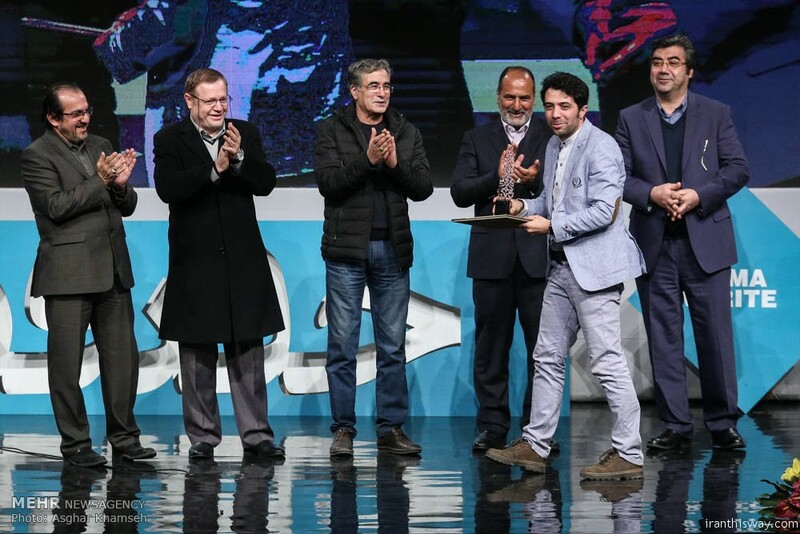 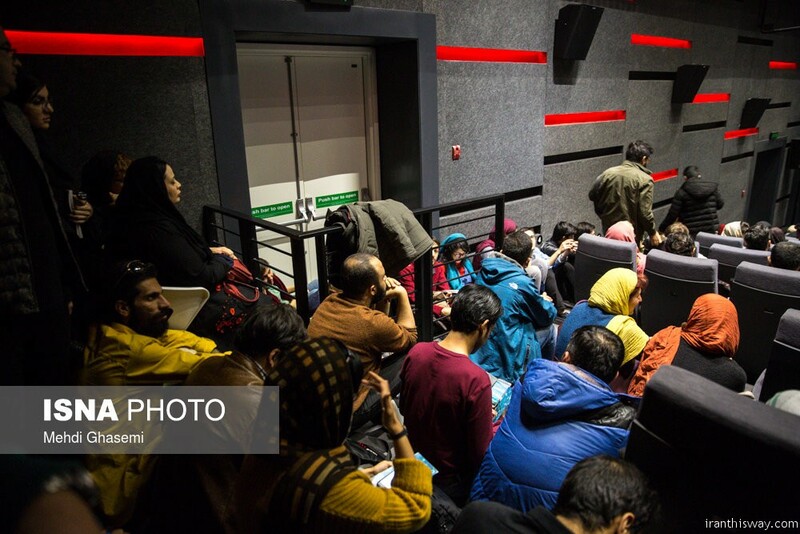 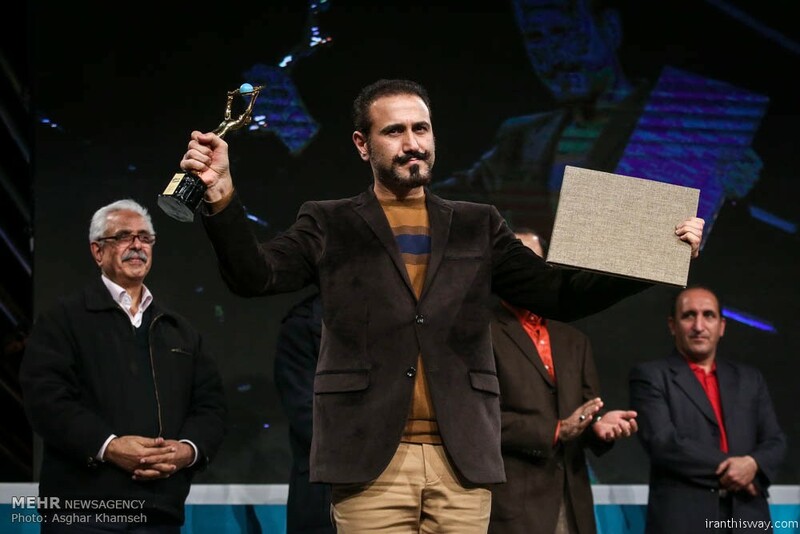 Mehdi Asadi received the best short doc award for his “Friday Carpet” (highlighting the ritual of the carpet washing in Mashhad Ardehal), and the best mid-length doc award went to Mohammadreza Hafezi for “Passageless Path”. 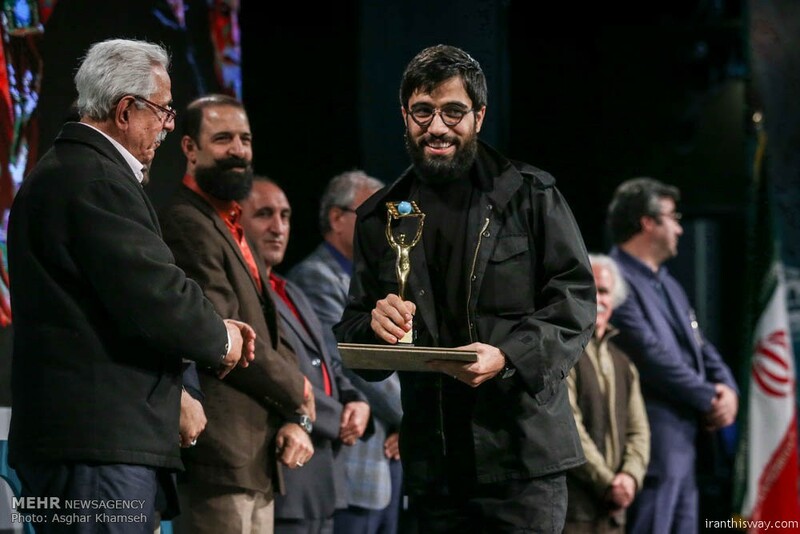 The best research award went to “ Fight Feast” by Vahid Hosseini and Hojjat Taheri won the best cinematography award for “Birds in Shadow”. 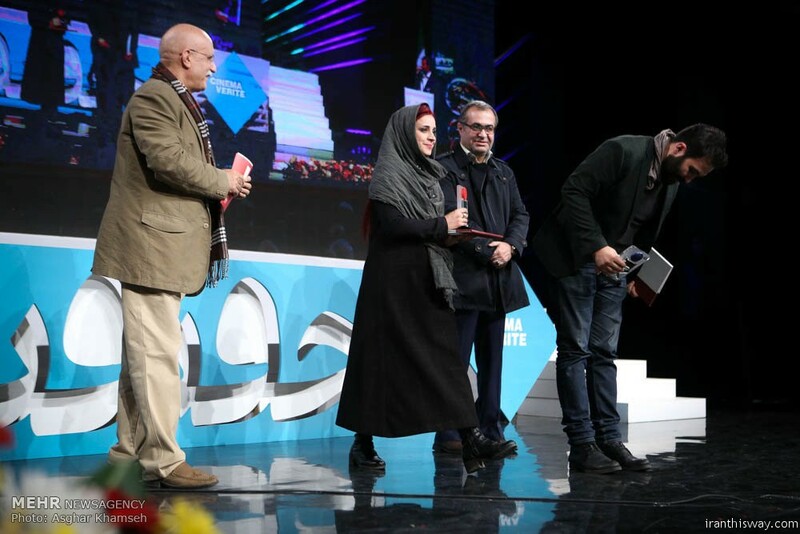 Next, Arash Lahuti was presented with the best editor award for “Light Blue”, and the best film ward went to “Zero to Stage” by producer Mahtab Keramati. 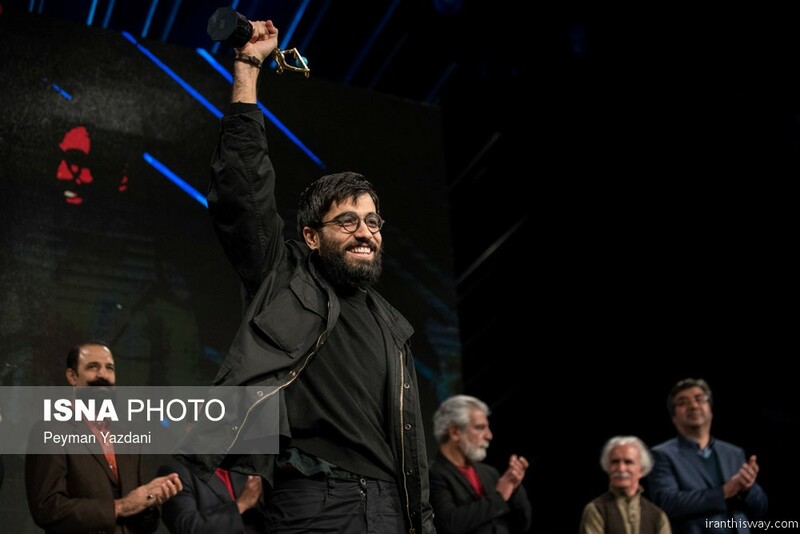 The jury special award was presented to “Nena” by Mohammadreza Vatandust. 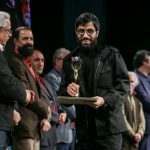 The winners of the international section were also honored at the ceremony. 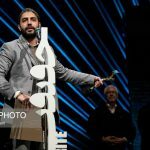 “Bread and Tea” by Sarah Kaskas (Lebanon) won the best short doc award and the best mid-length doc award was given to “Hamja” by Mehdi Qanavati(Iran). 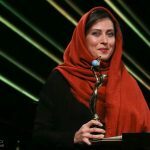 The jury did not selected a best long documentary in the international section. 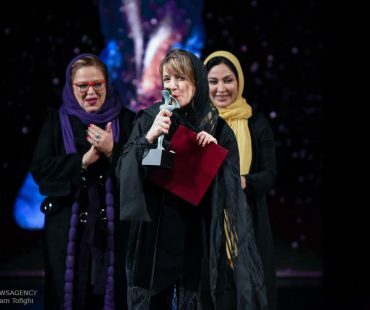 However, the jury special award was given to “Under the Sun”, a production of Russia, Germany, Czech Republic and North Korea by director Vitaly Mansky. 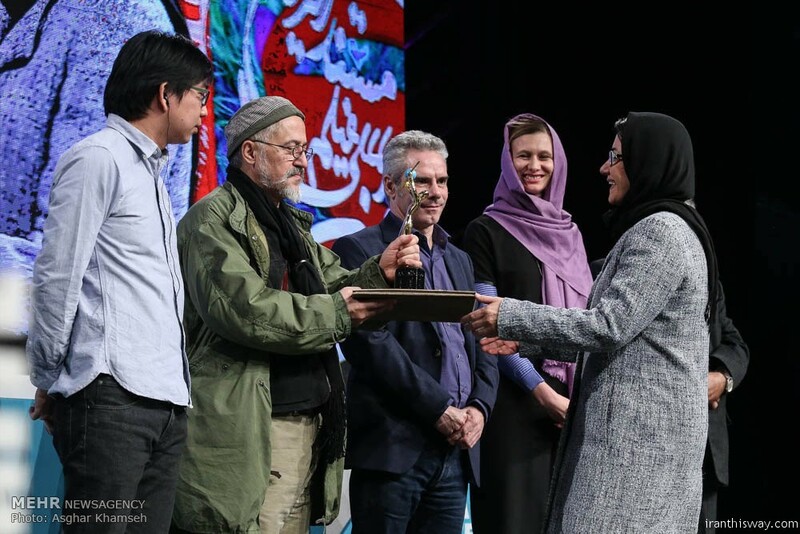 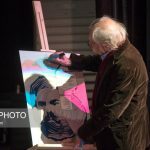 The award-giving ceremony was followed by honoring Austrian specialist Professor Dr. Gerhard Freilinger, who appeared in Mostafa Razzaq-Karimi’s “Memories for All Seasons”. 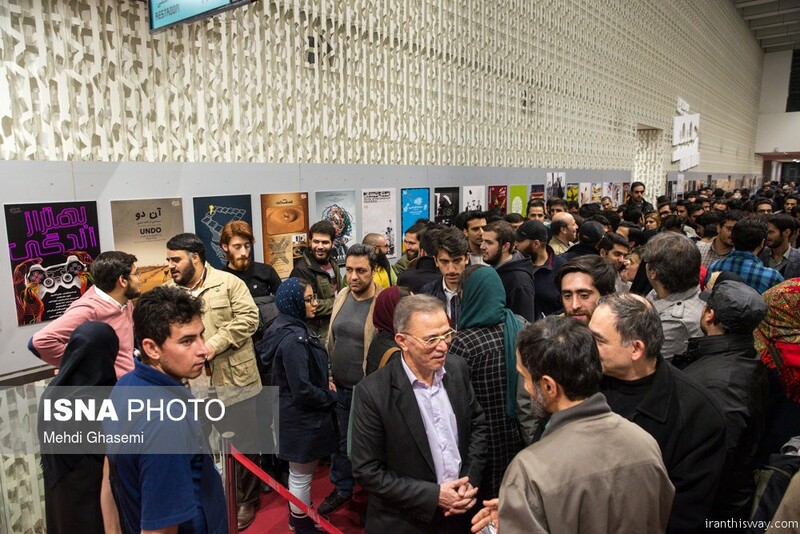 “Memories for All Seasons” is an acclaimed documentary that narrates the memories of a group of Iranian soldiers wounded by Iraqi chemical weapons during the 1980-1988 Iran-Iraq war. 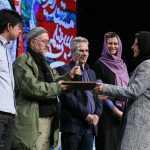 The 90-year-old professor, who is a specialist in plastic reconstructive surgery and treated chemically-wounded Iranian soldiers in those years, was surprised at the ceremony and said he did not expect to be honored.